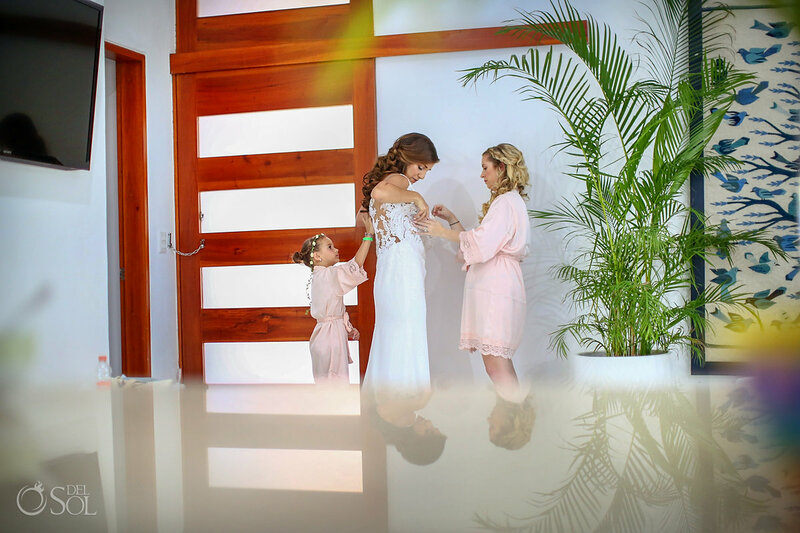 The most amazing moment was right after the first look (which was overwhelming, especially for Lex) and right before the ceremony. 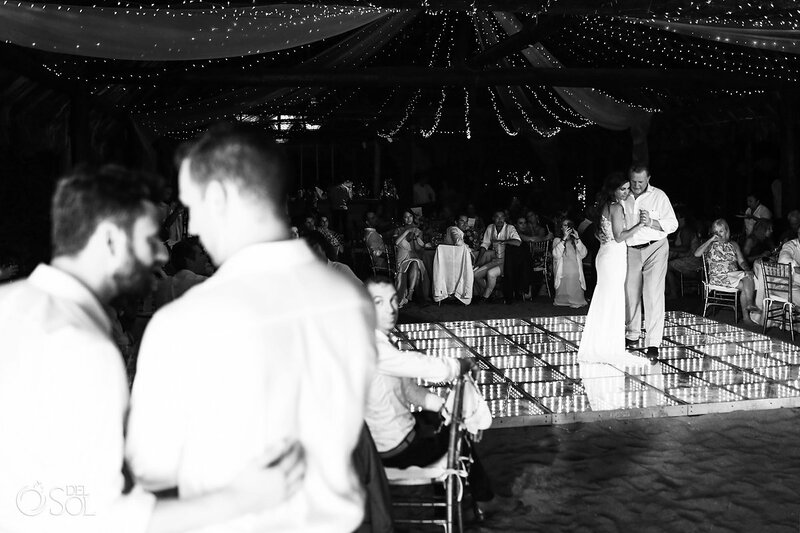 We had those 10 minutes for ourselves. 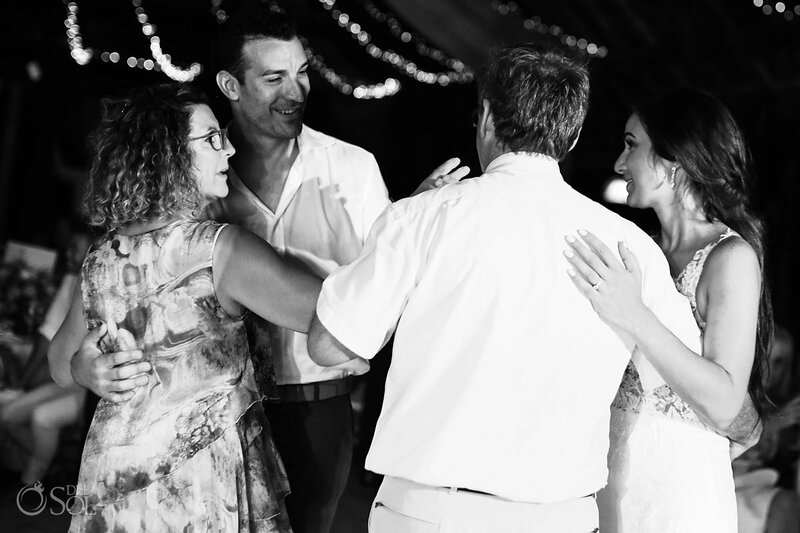 We forgot about you and all the guests and were just able to enjoy each other, the venue and the fact we were getting married. 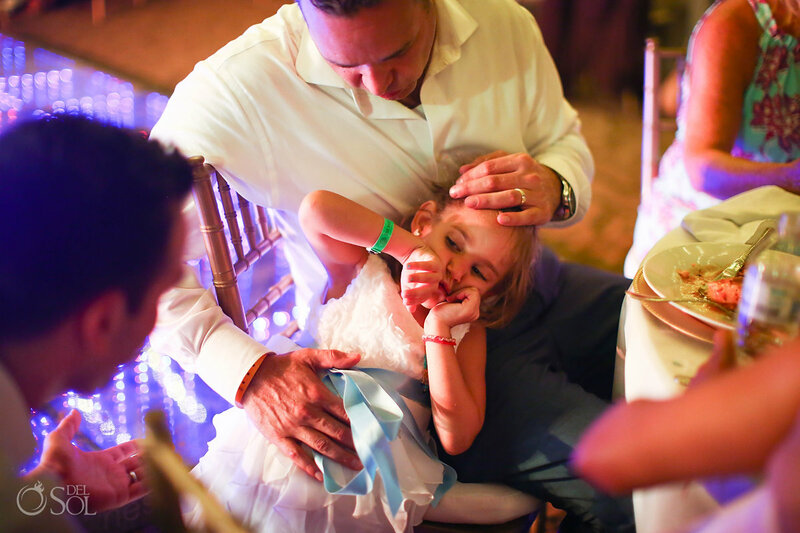 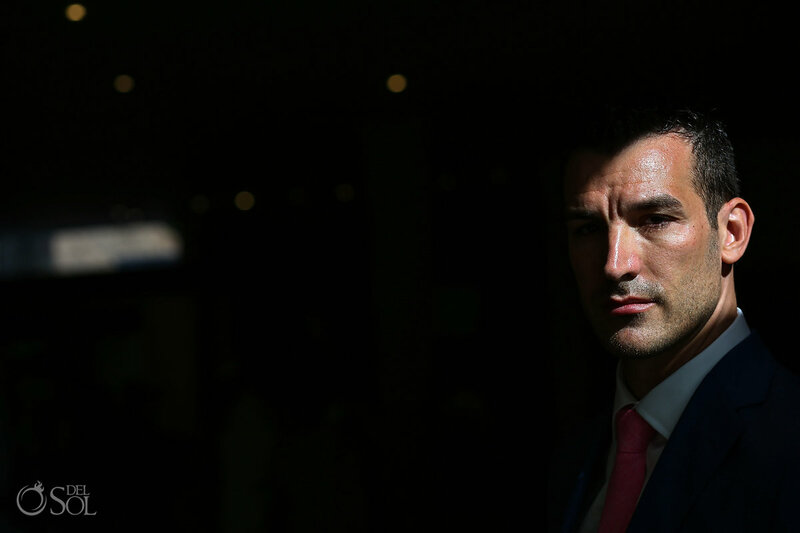 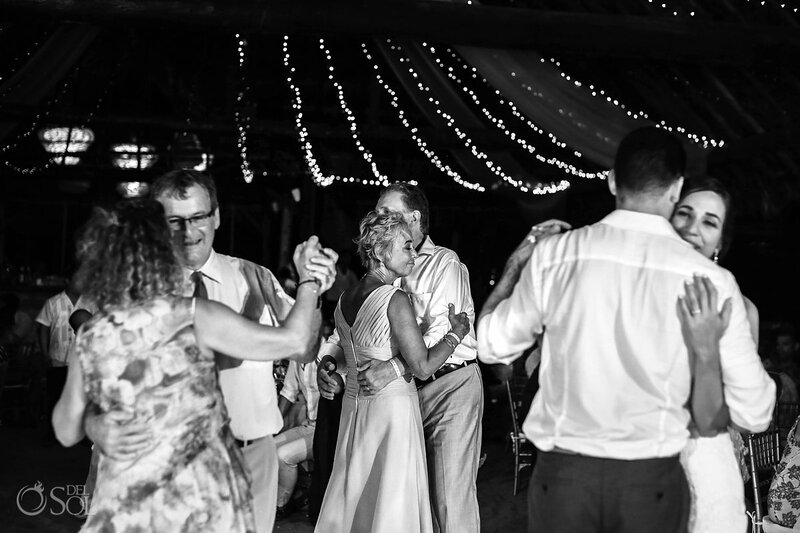 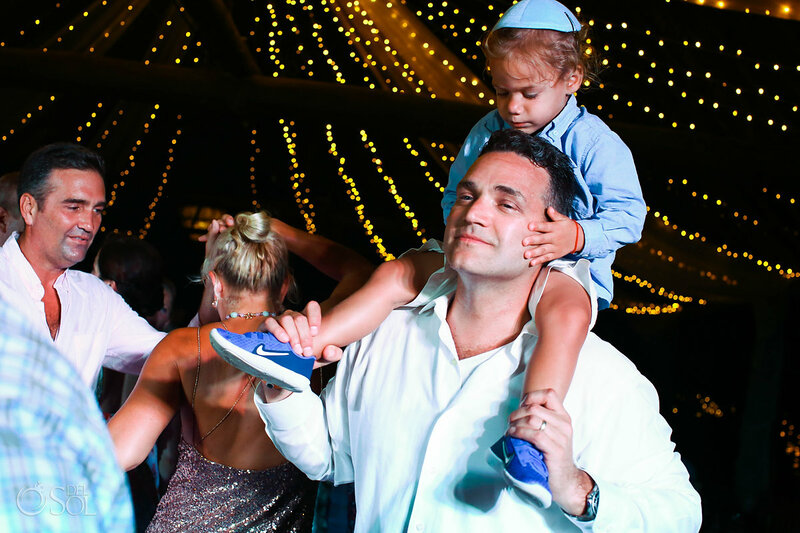 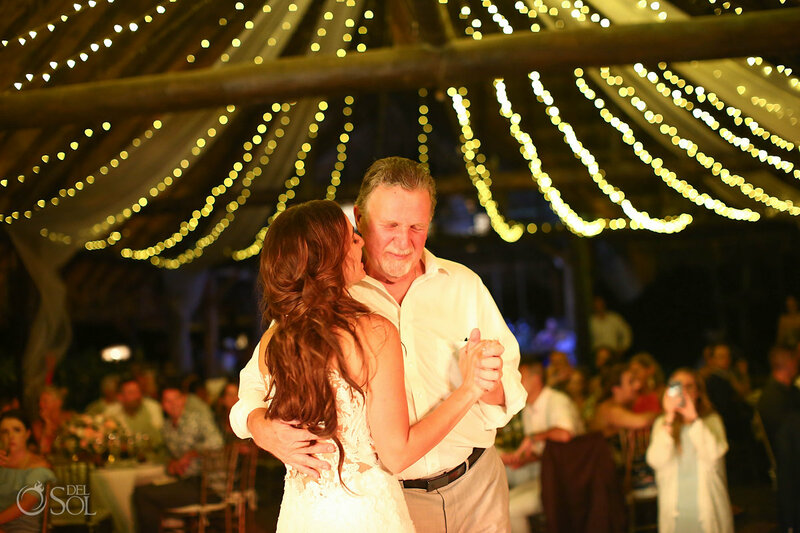 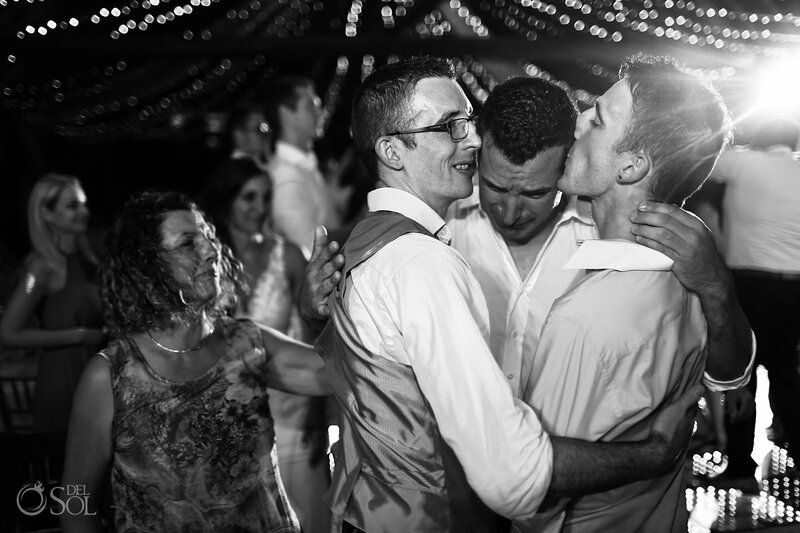 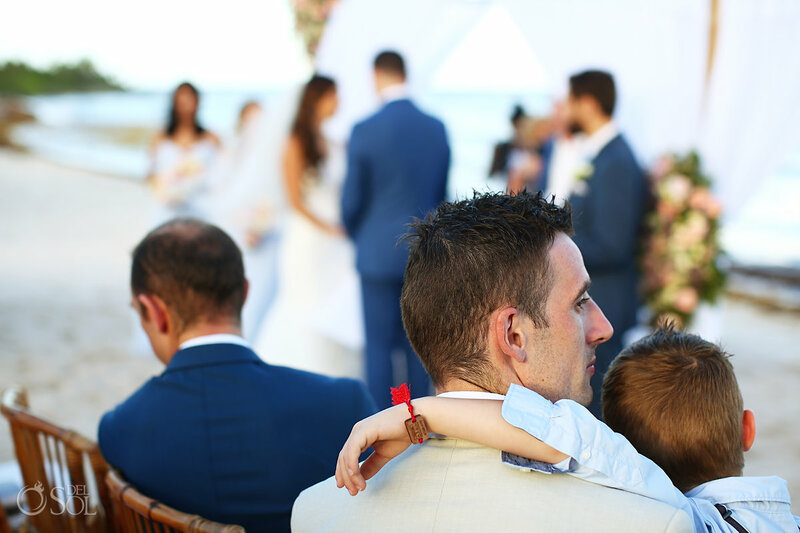 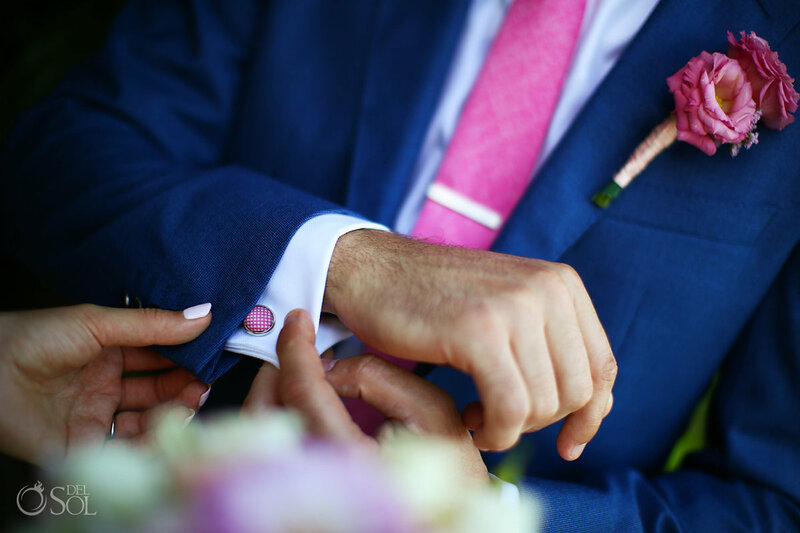 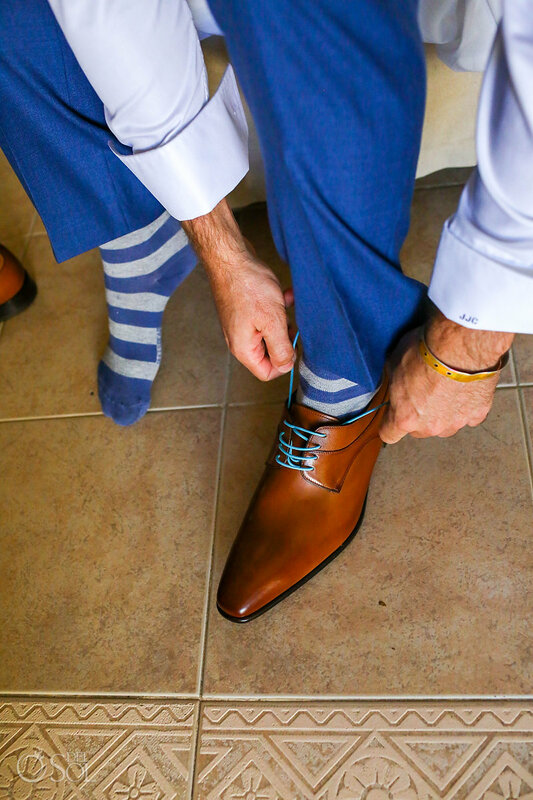 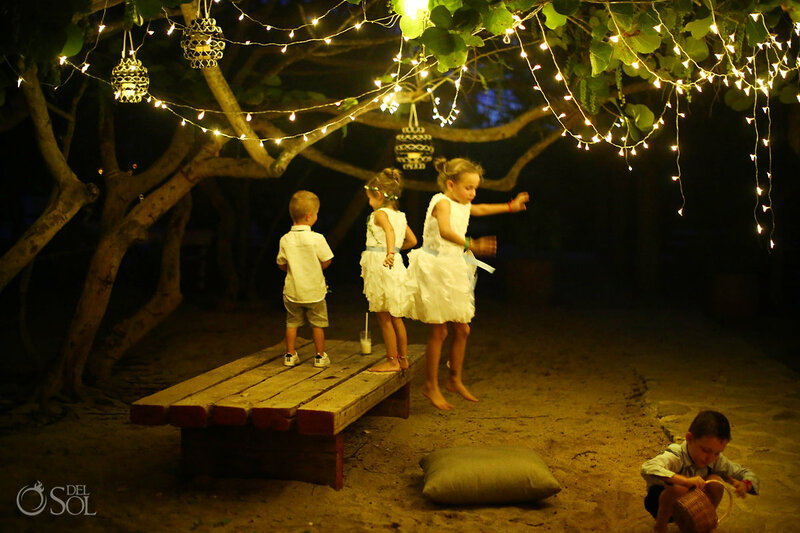 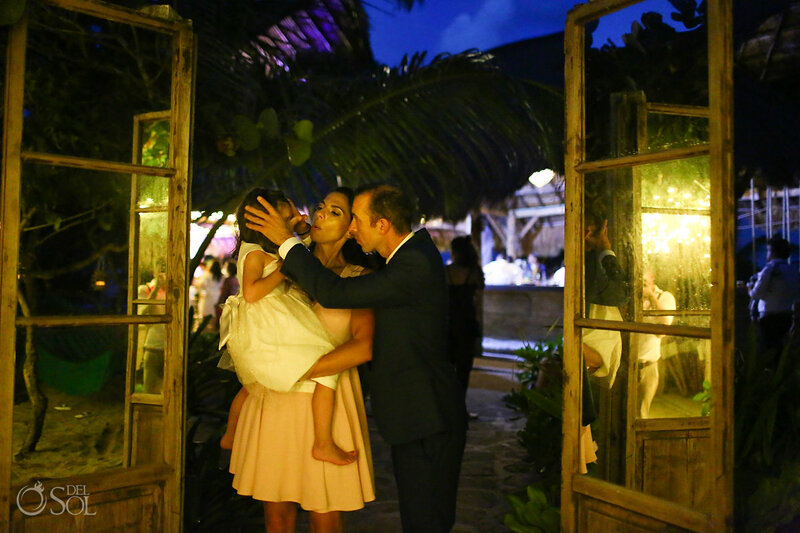 Finding a few precious of moments of calm before the storm on the wedding day is no mean feat! 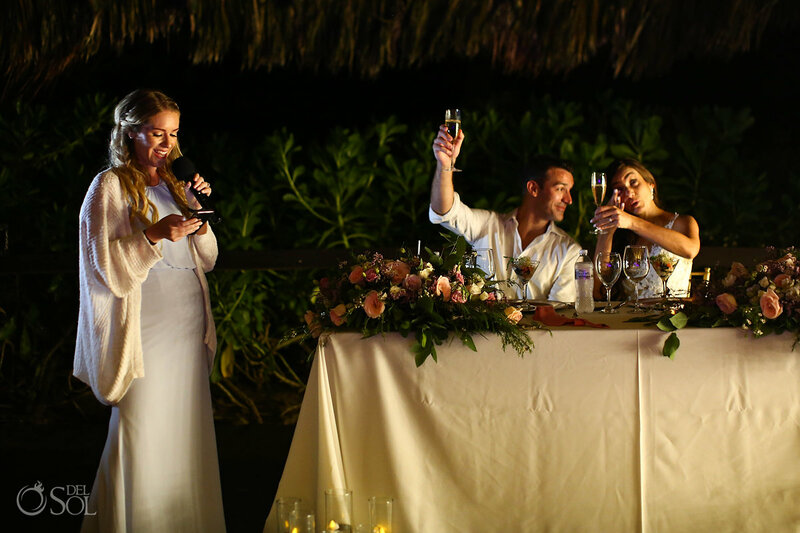 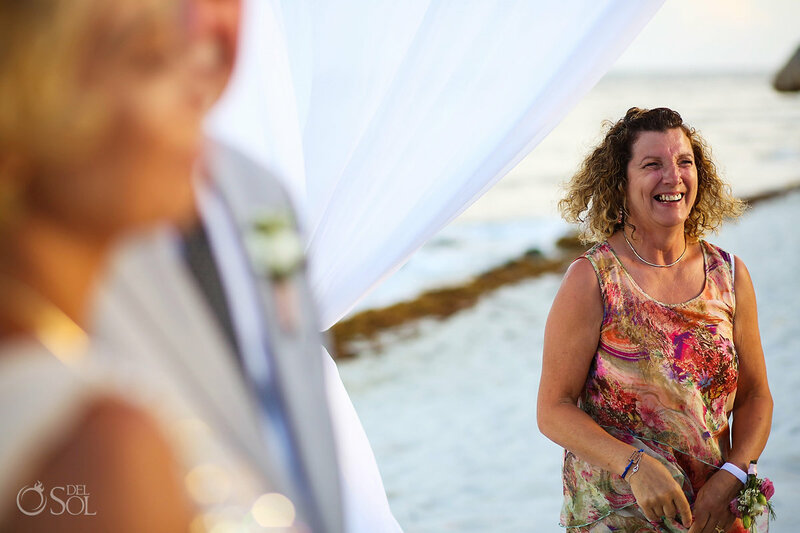 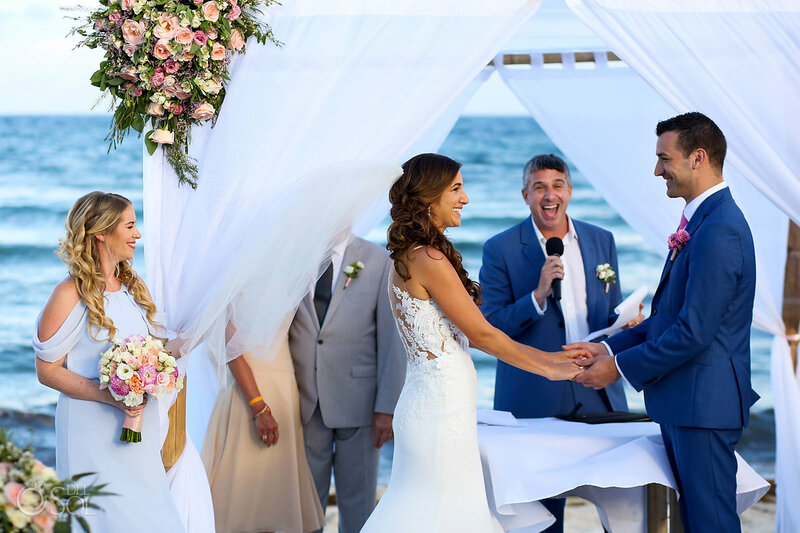 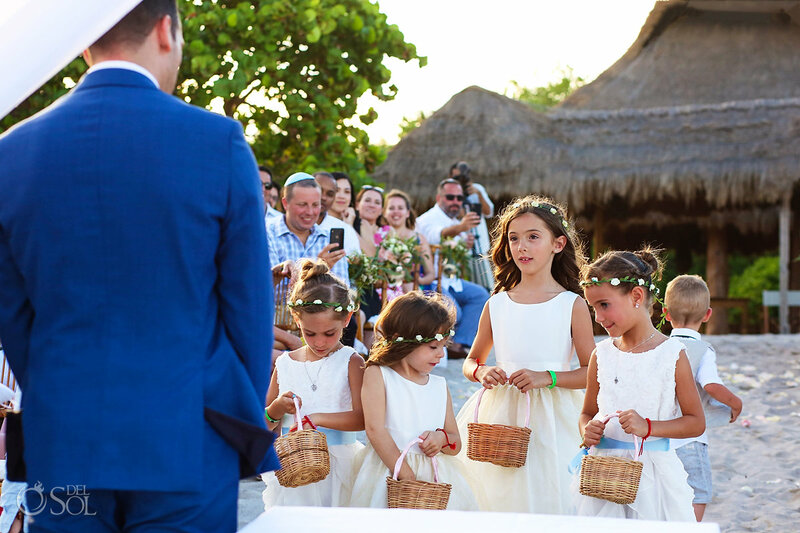 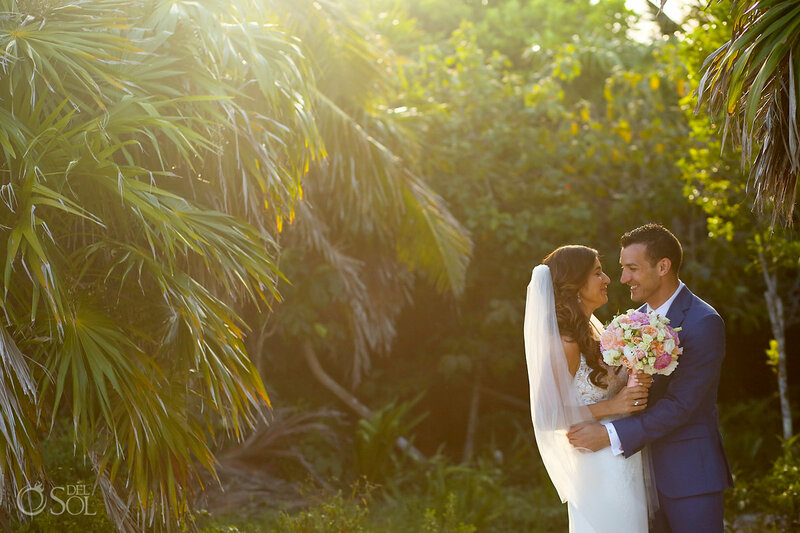 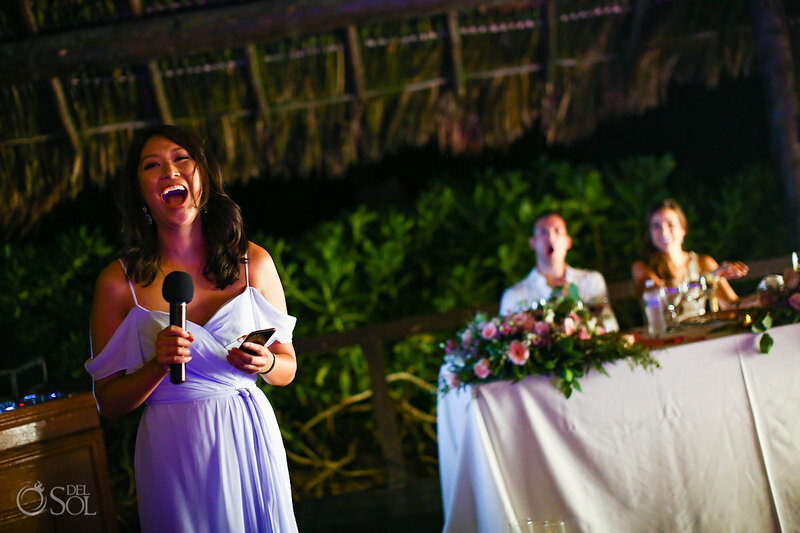 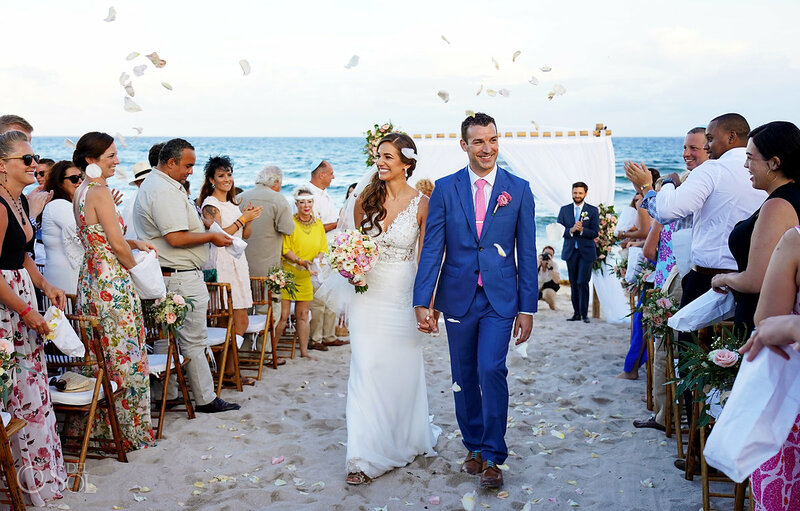 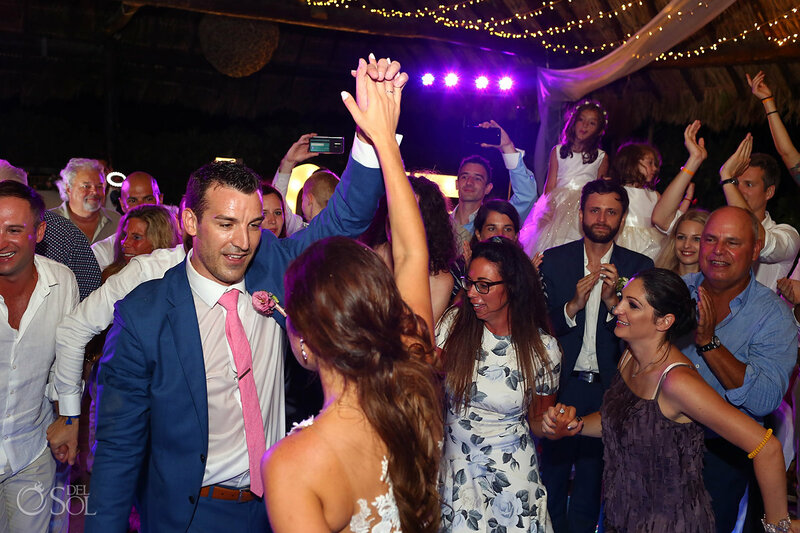 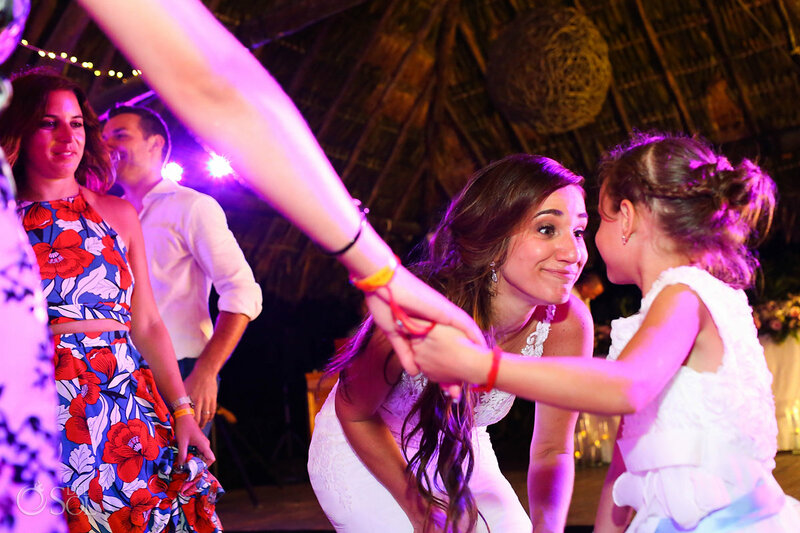 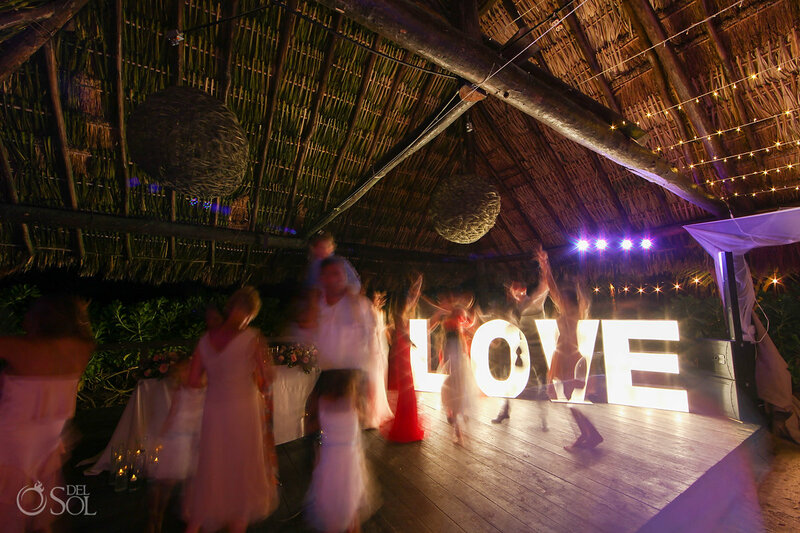 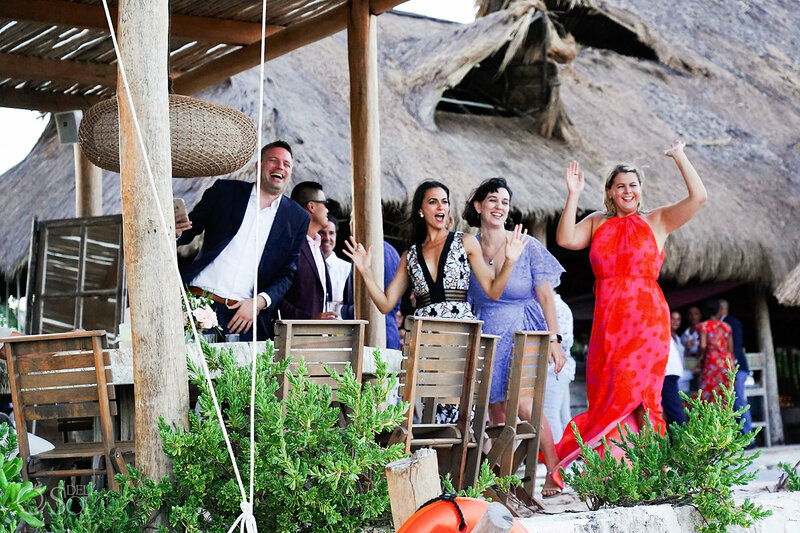 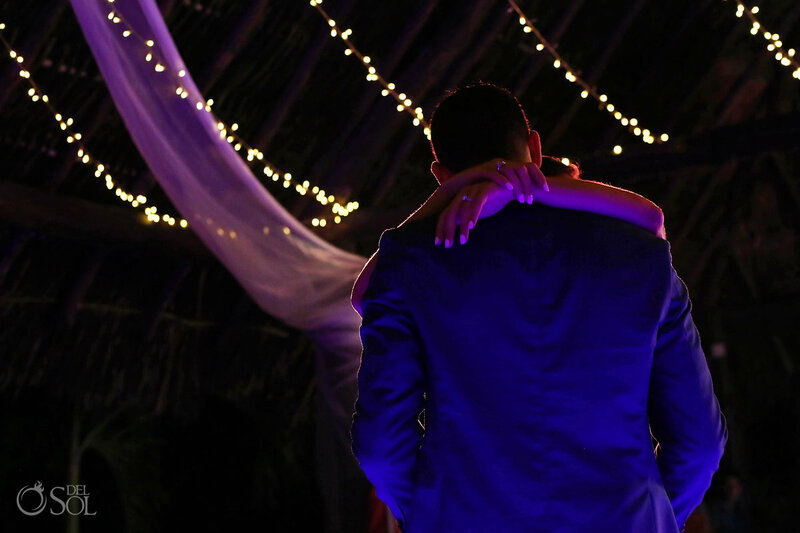 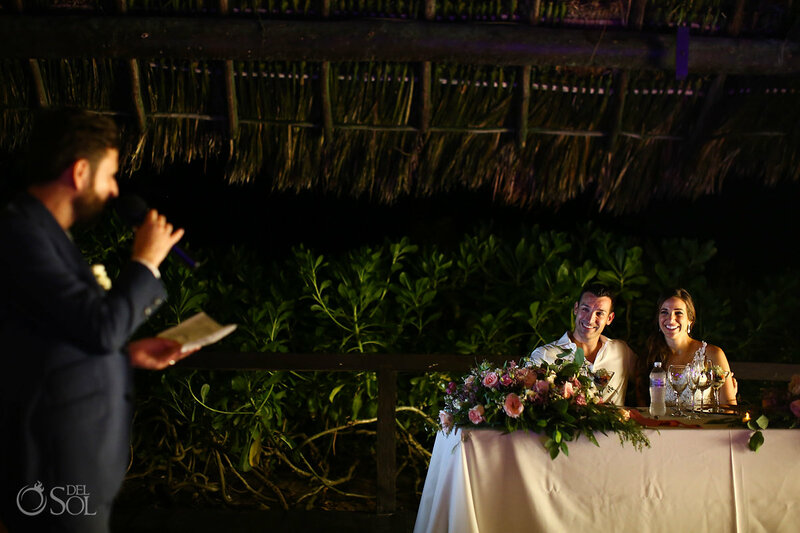 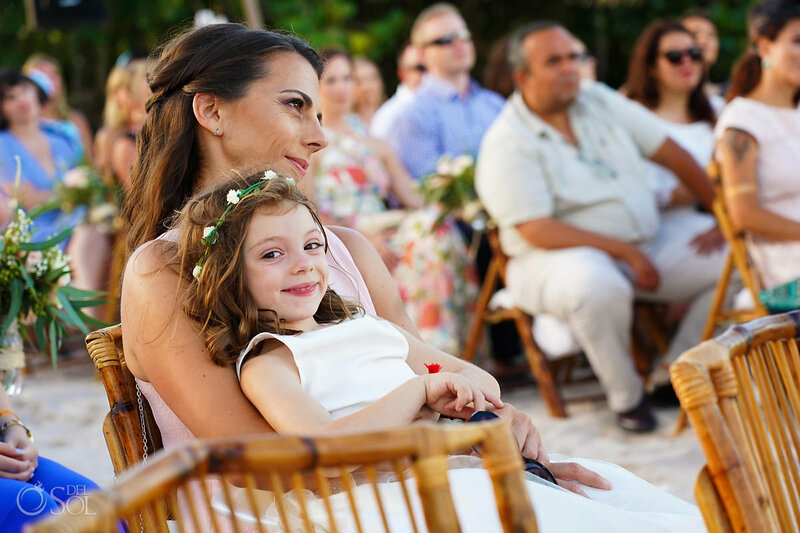 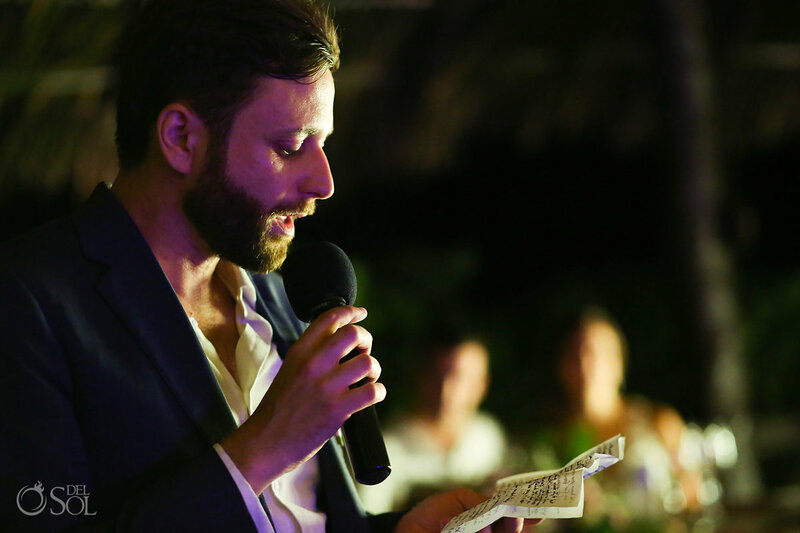 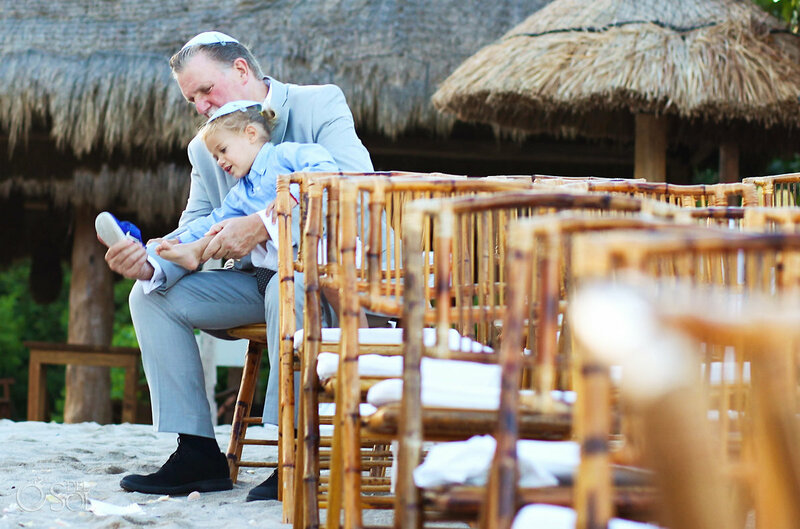 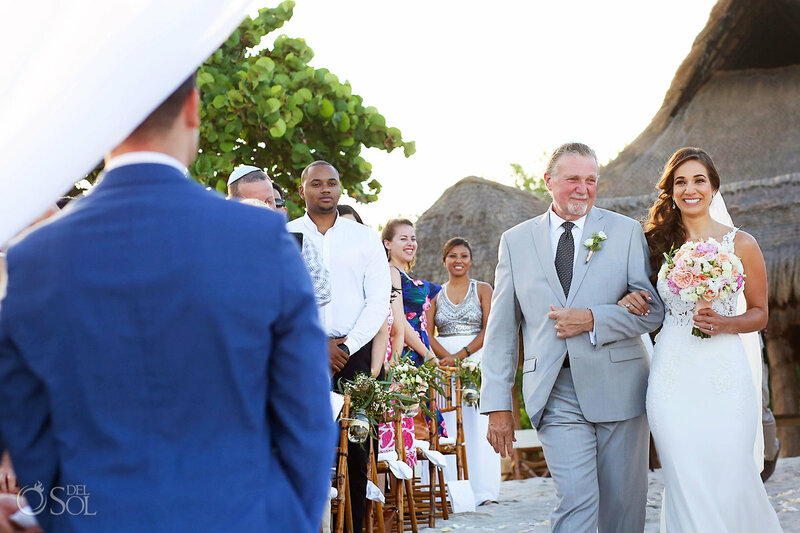 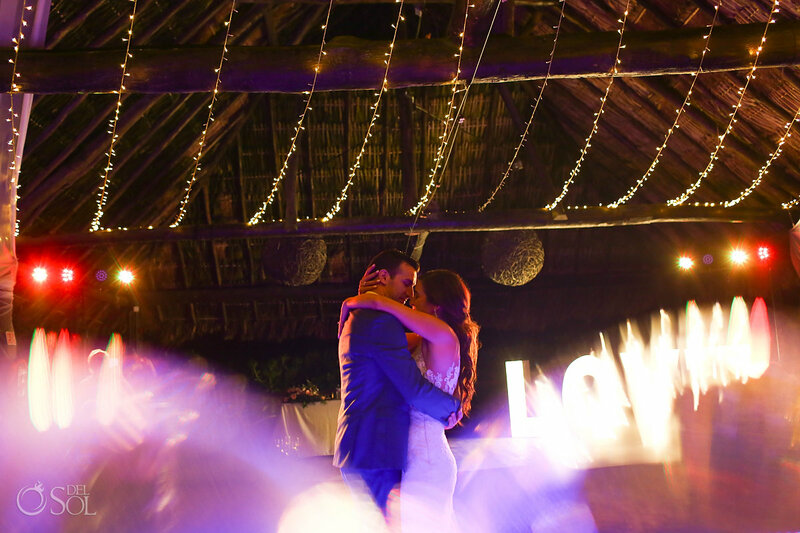 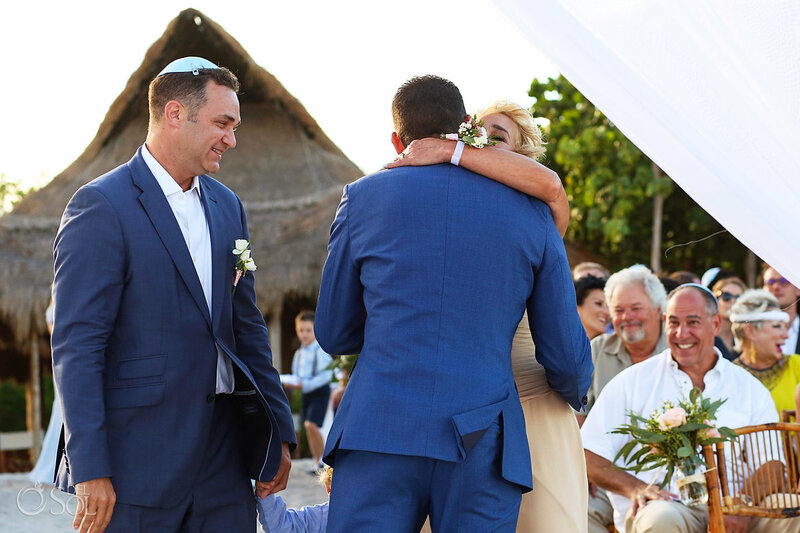 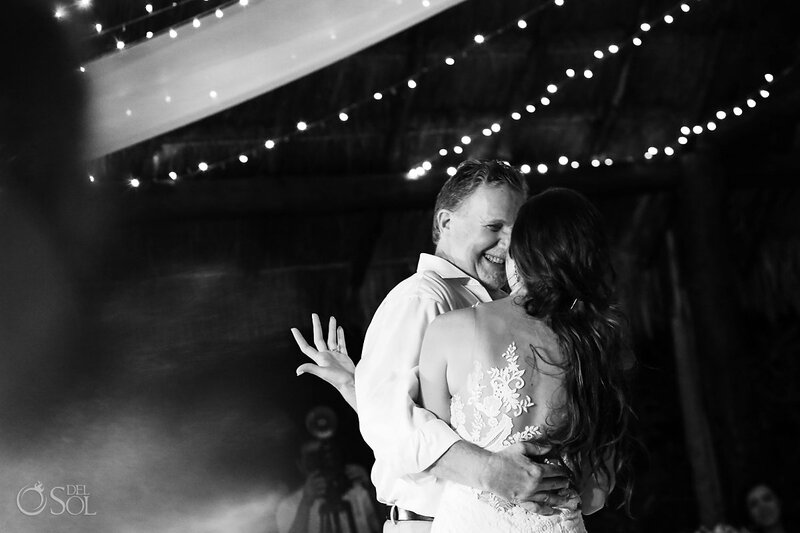 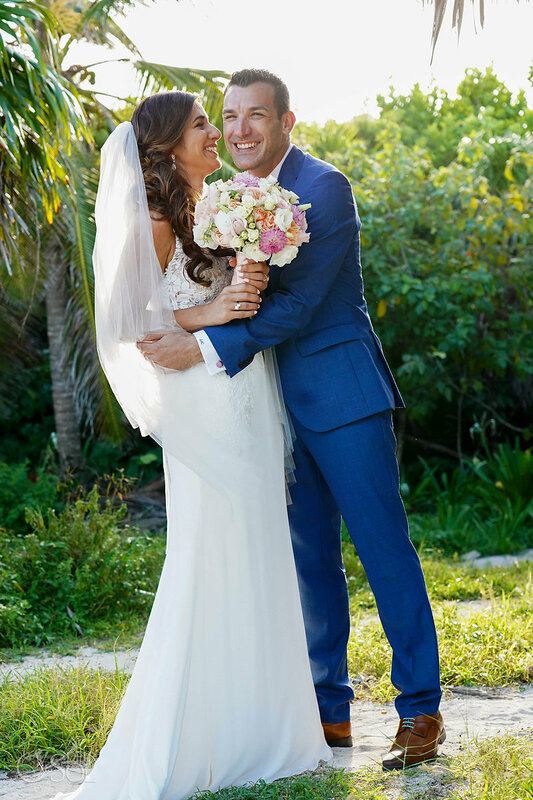 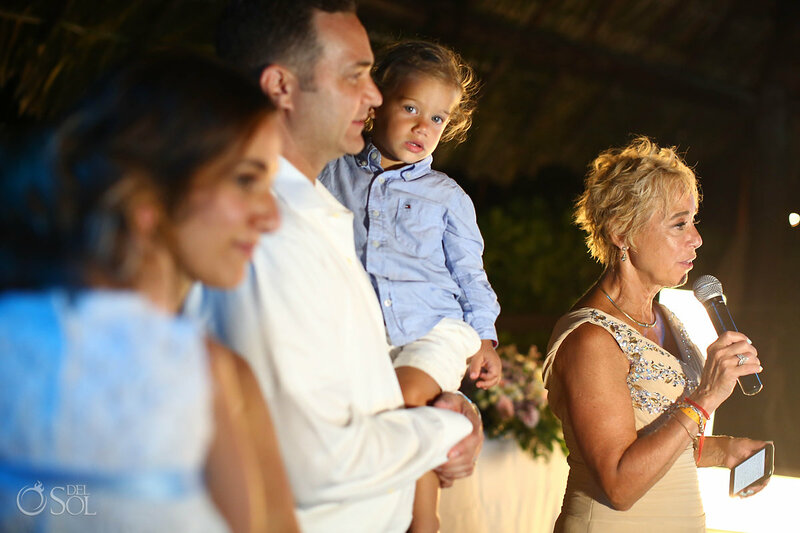 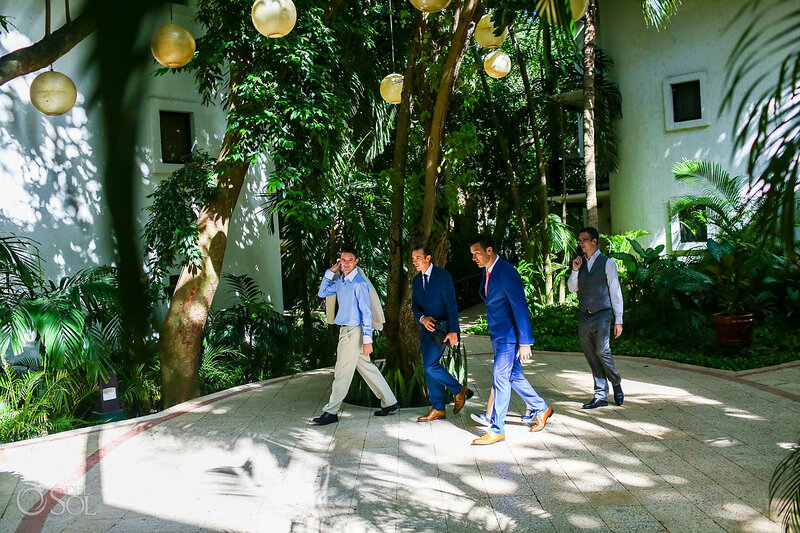 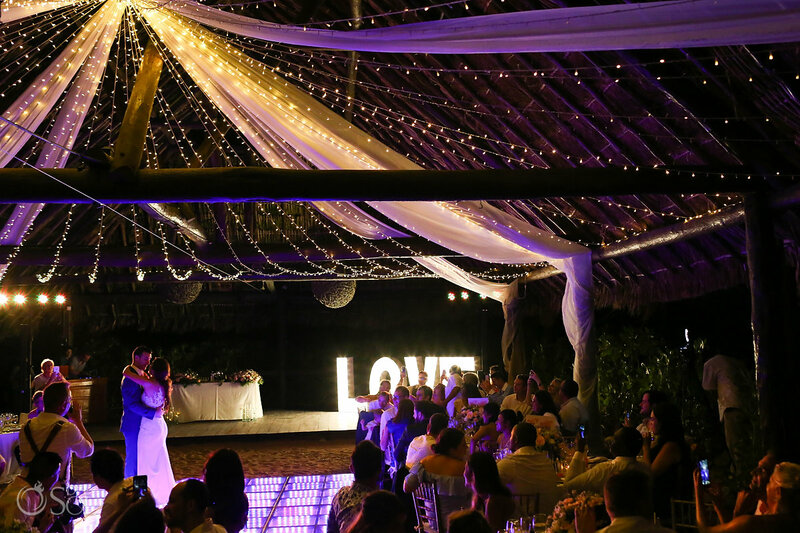 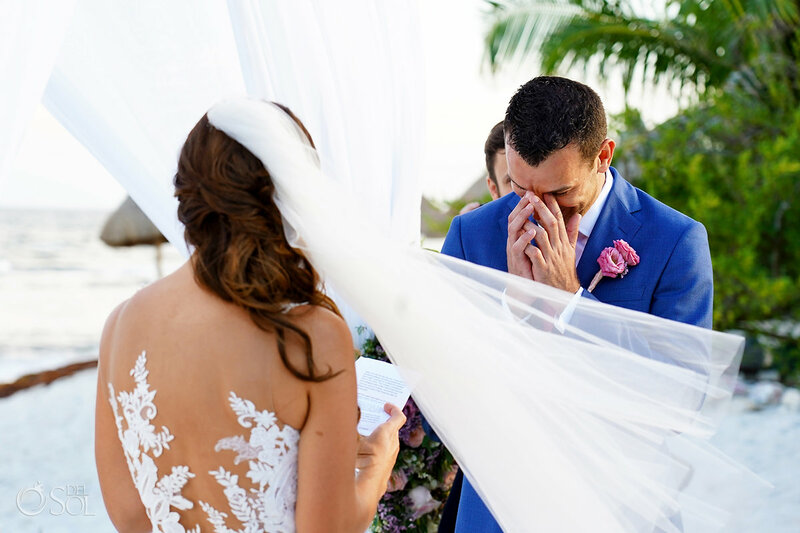 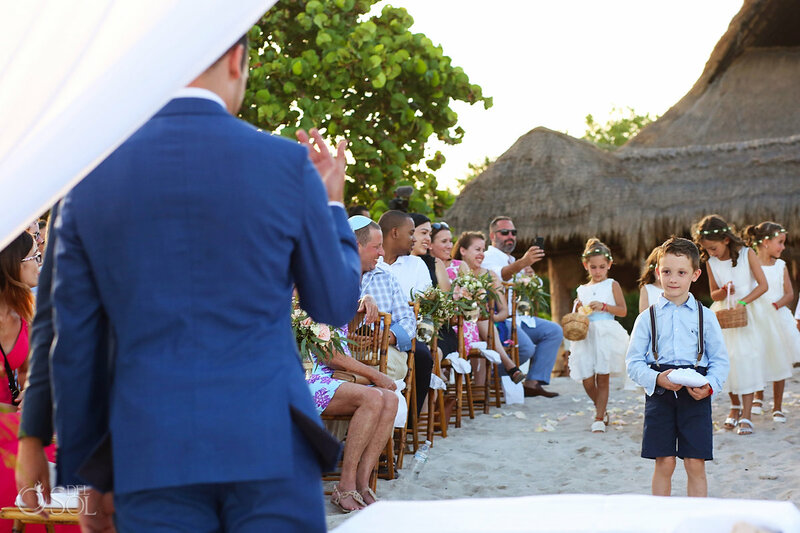 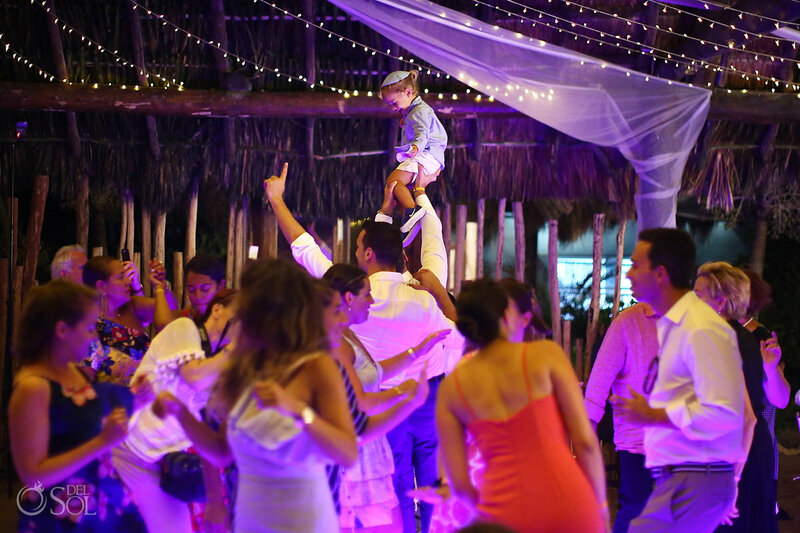 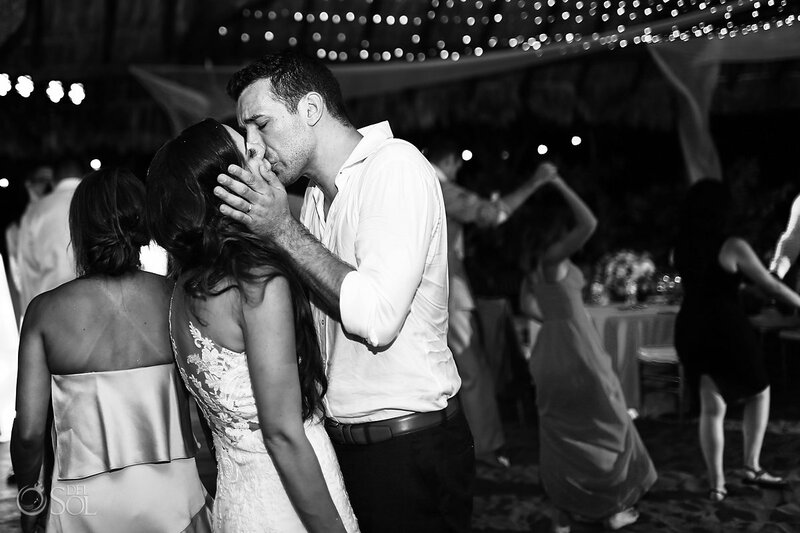 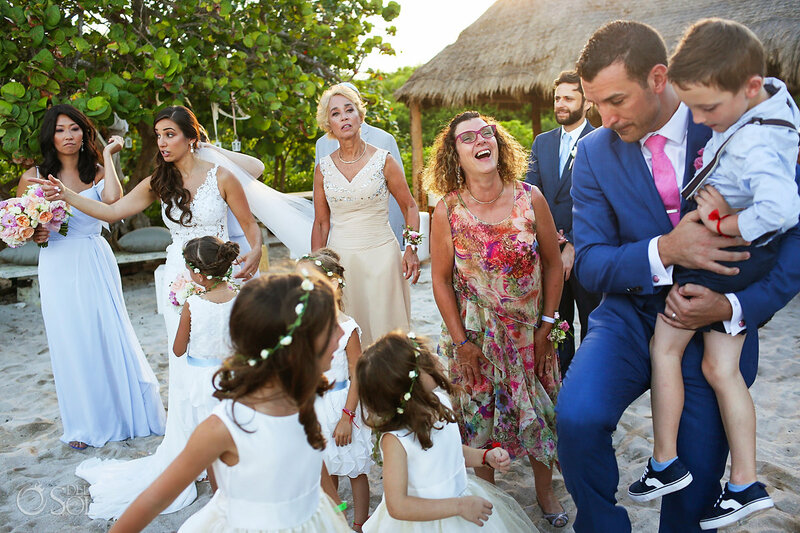 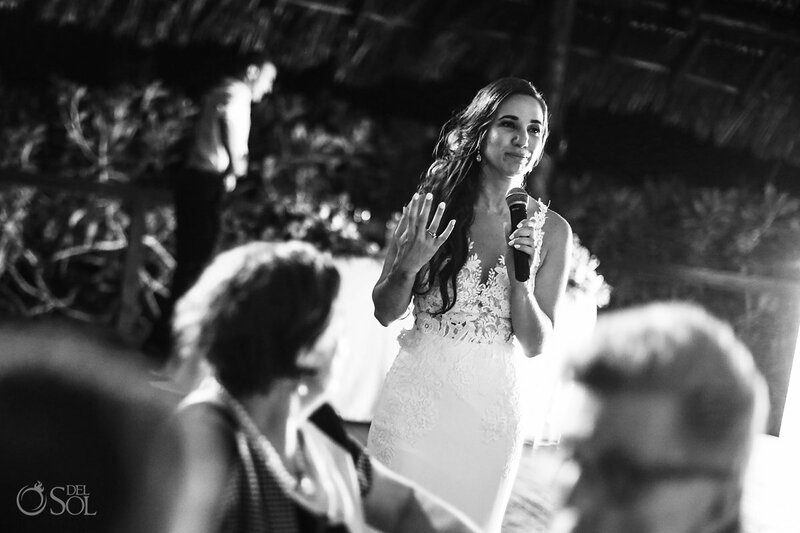 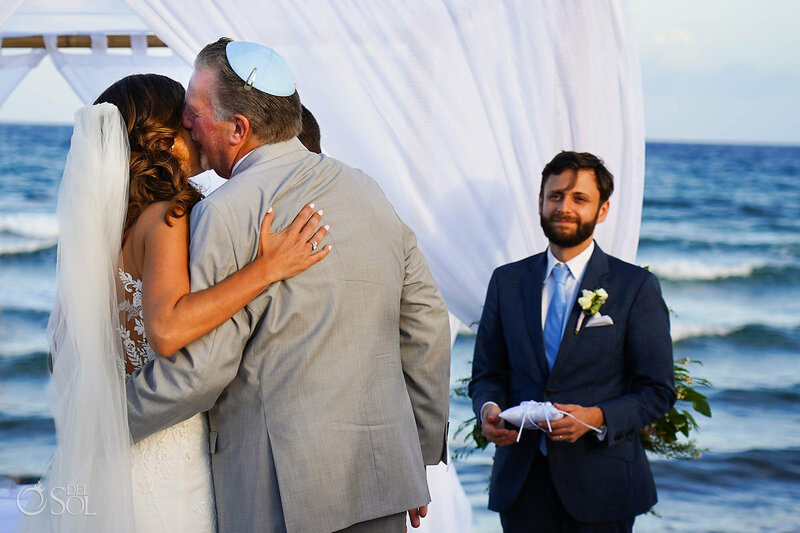 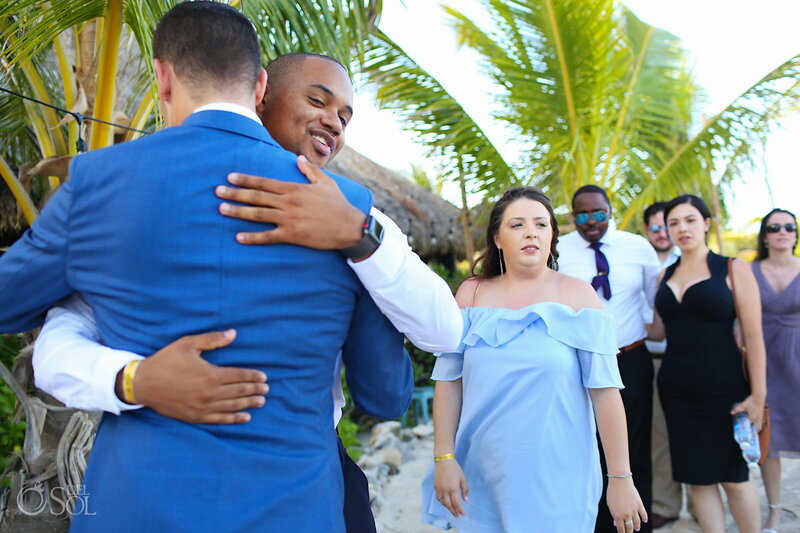 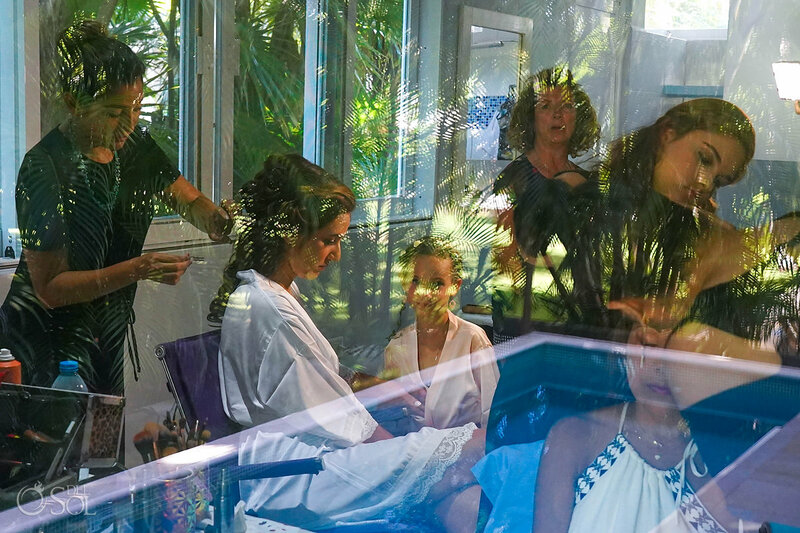 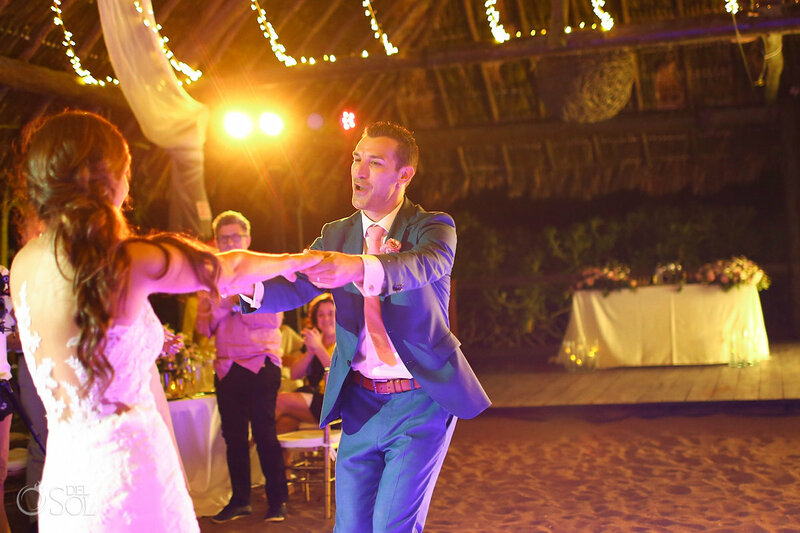 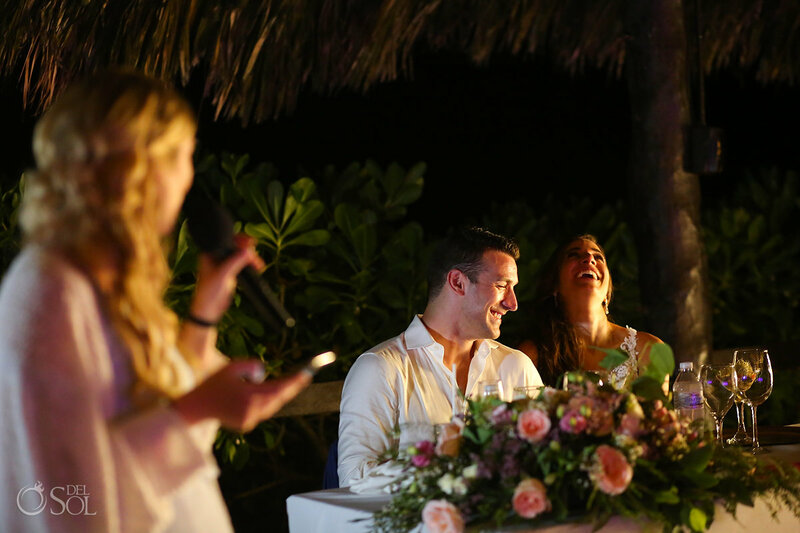 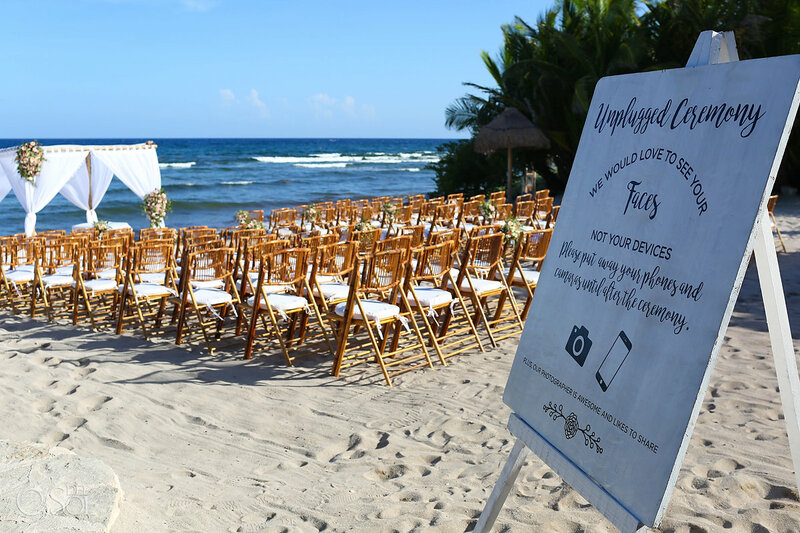 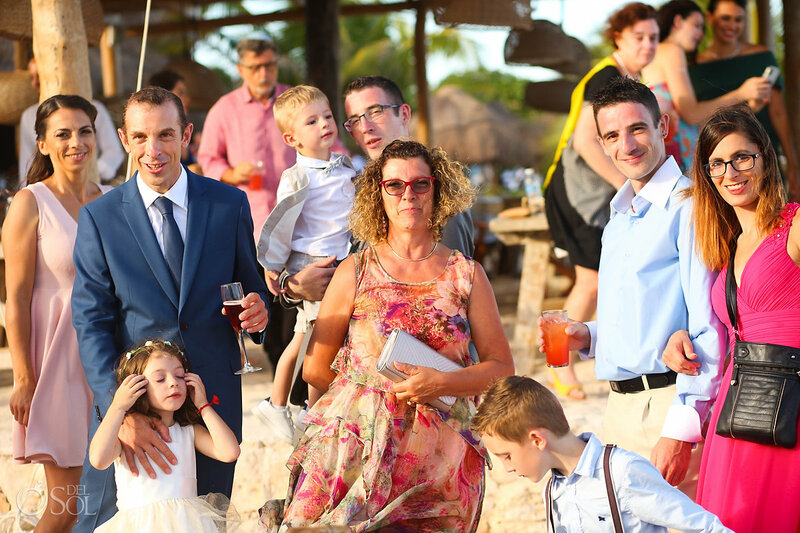 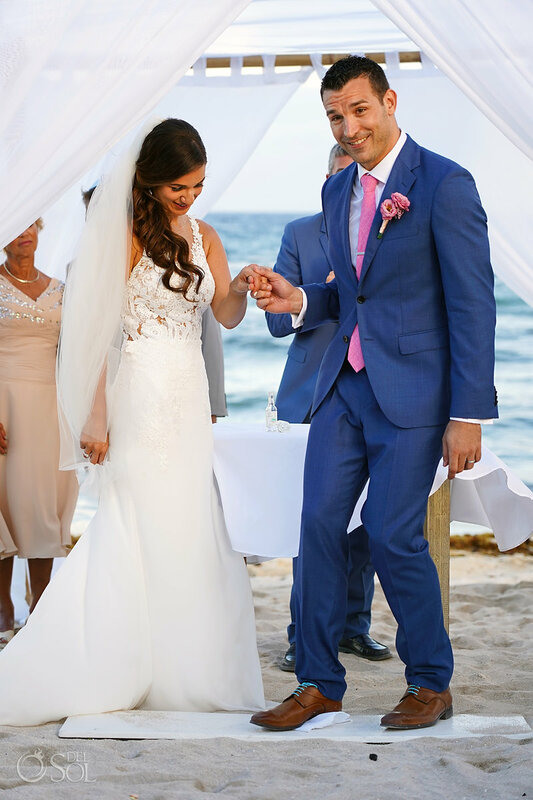 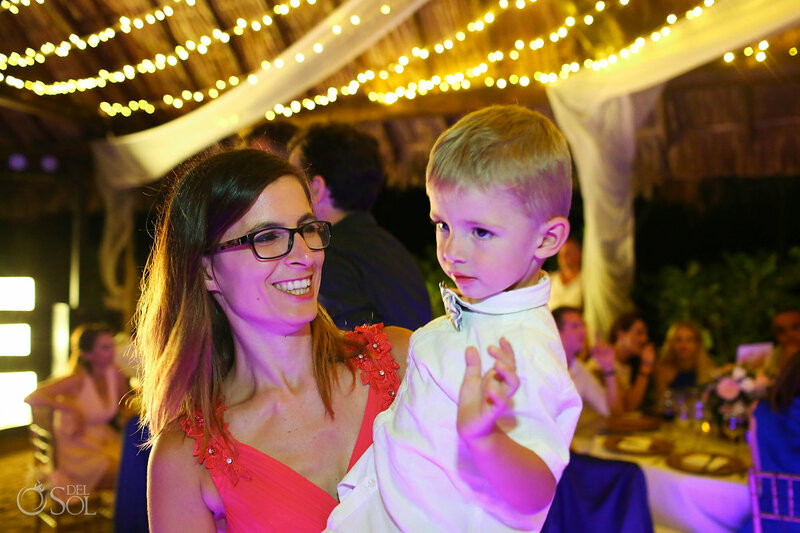 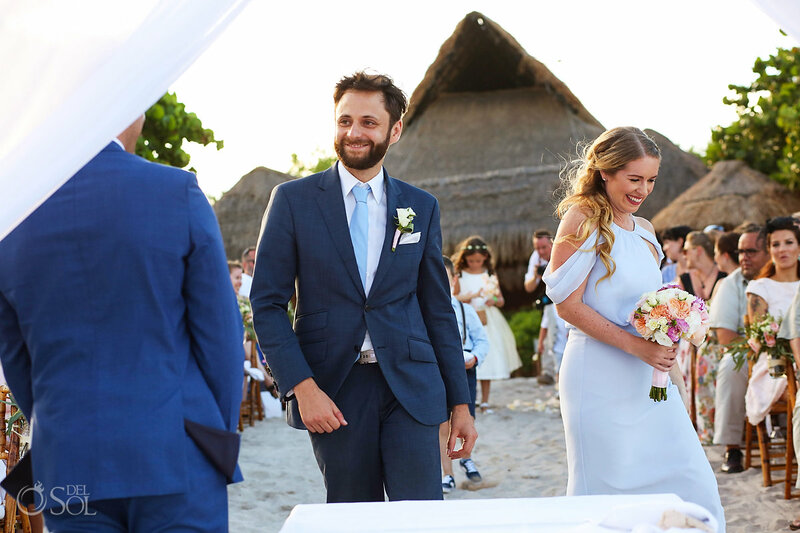 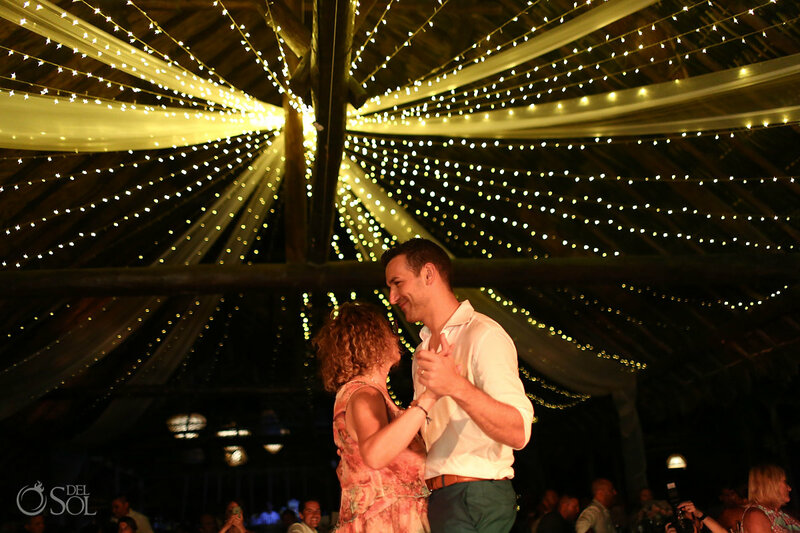 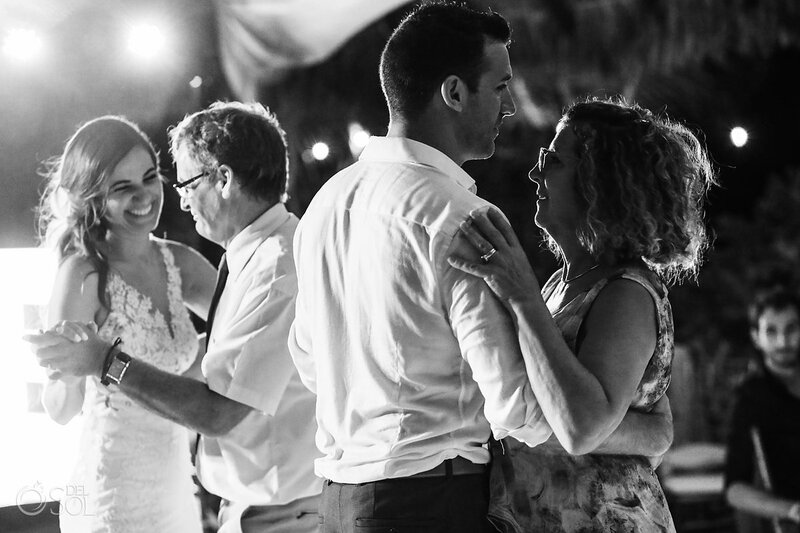 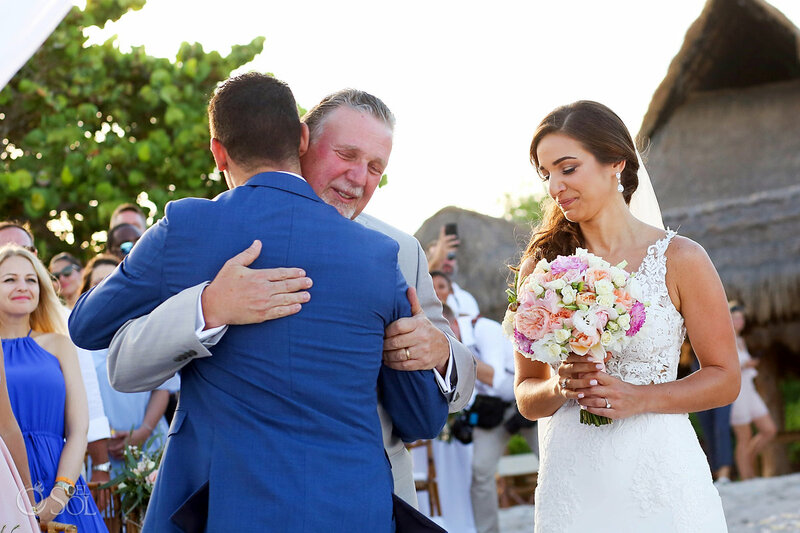 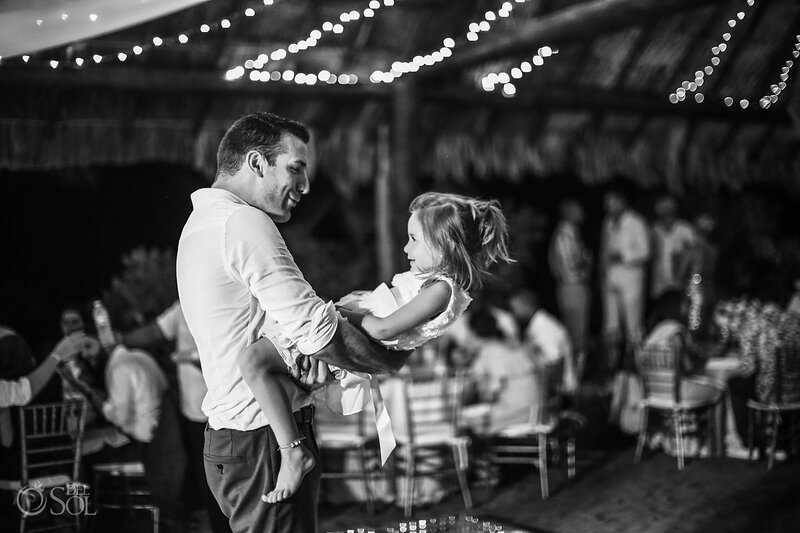 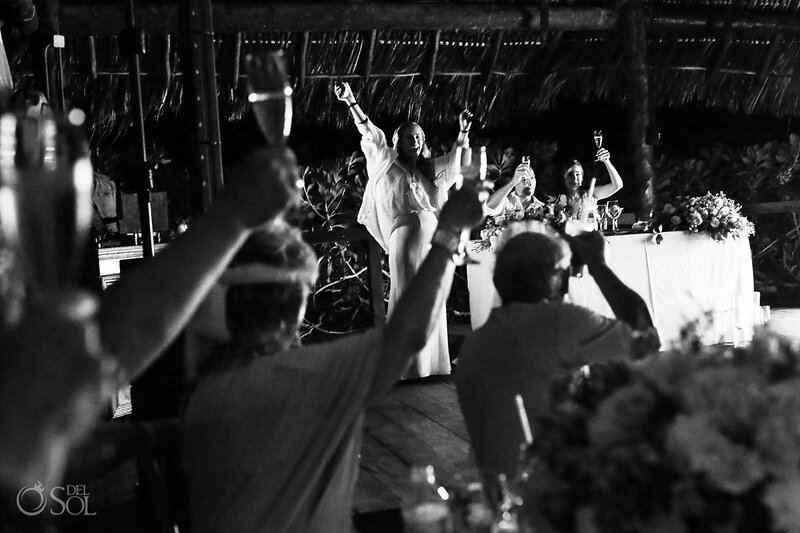 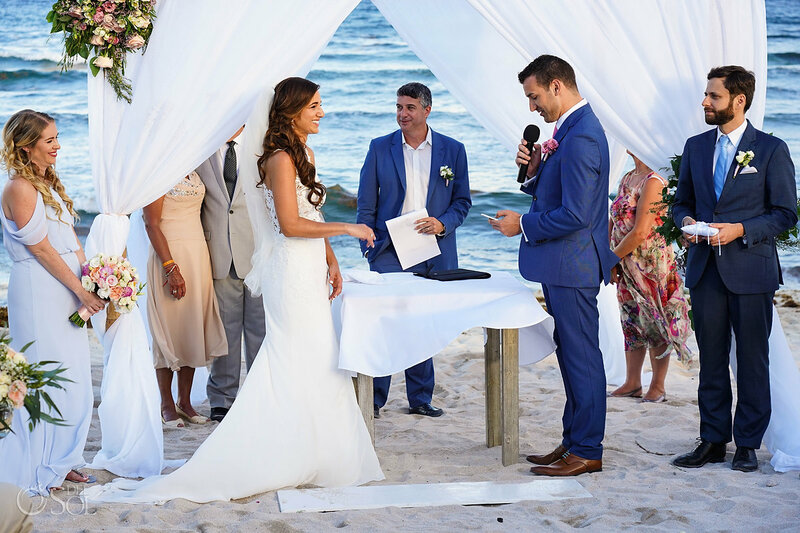 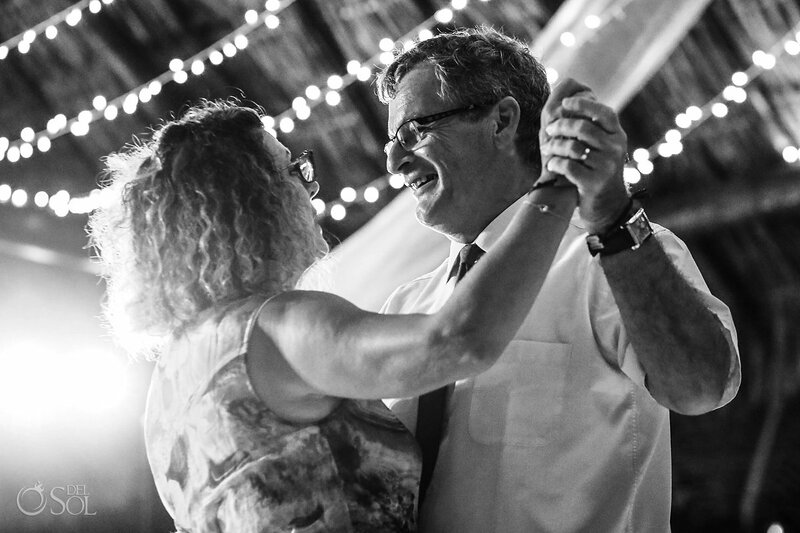 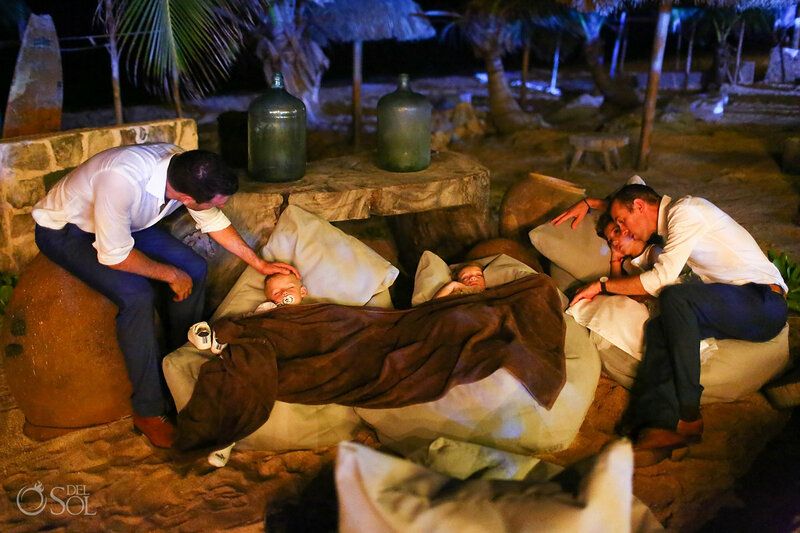 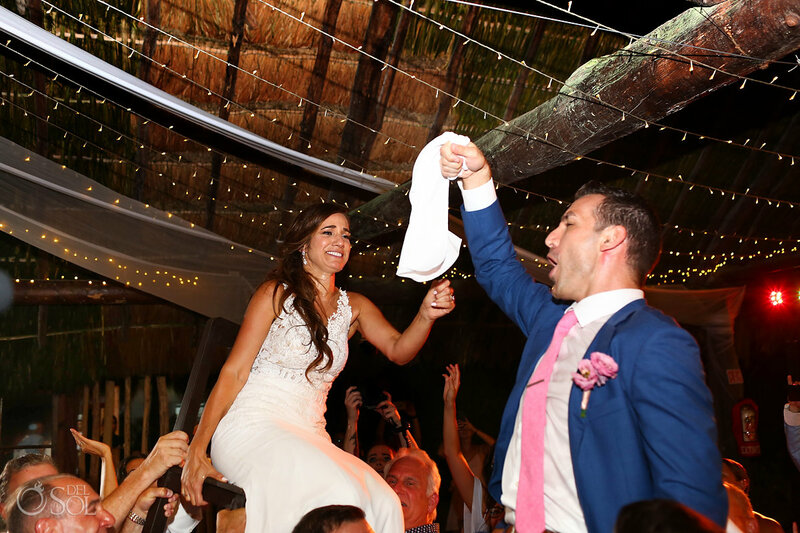 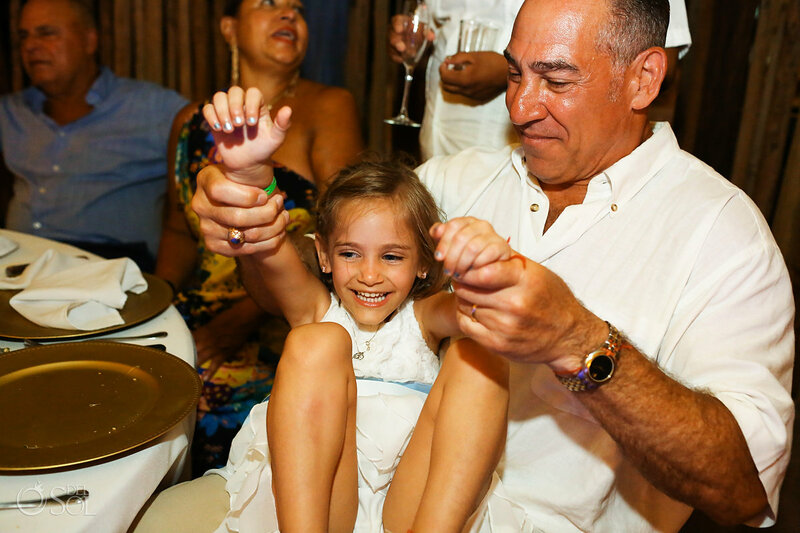 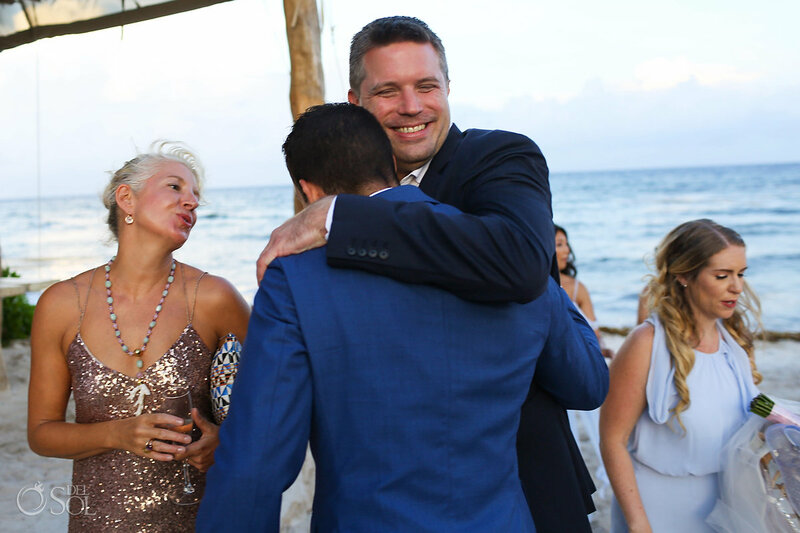 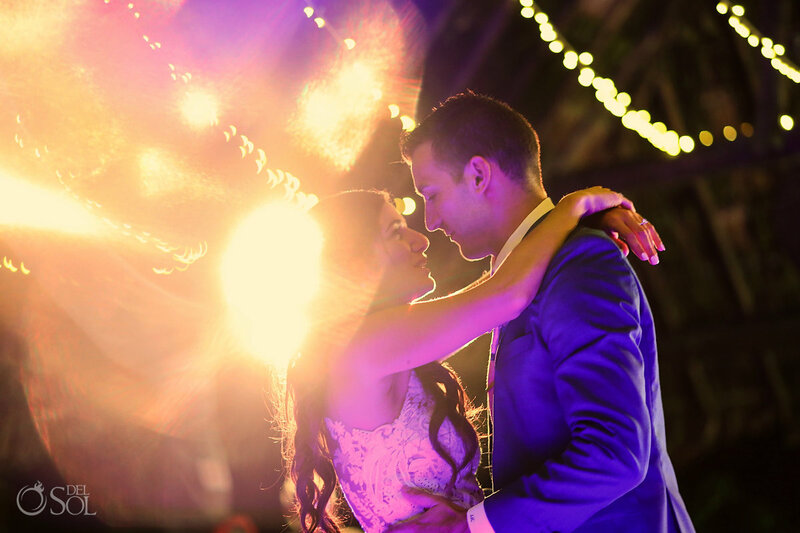 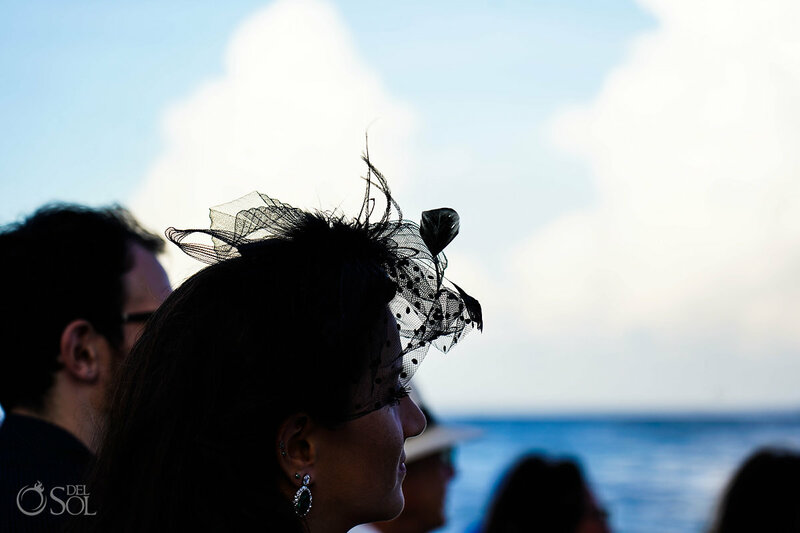 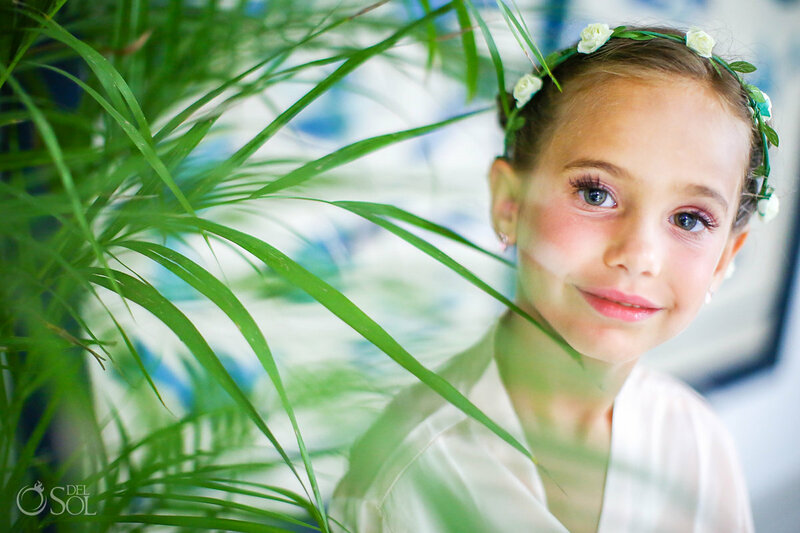 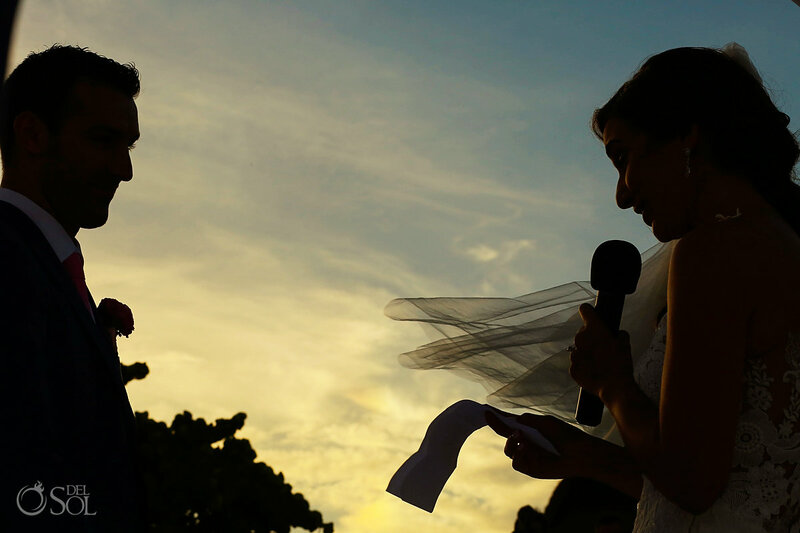 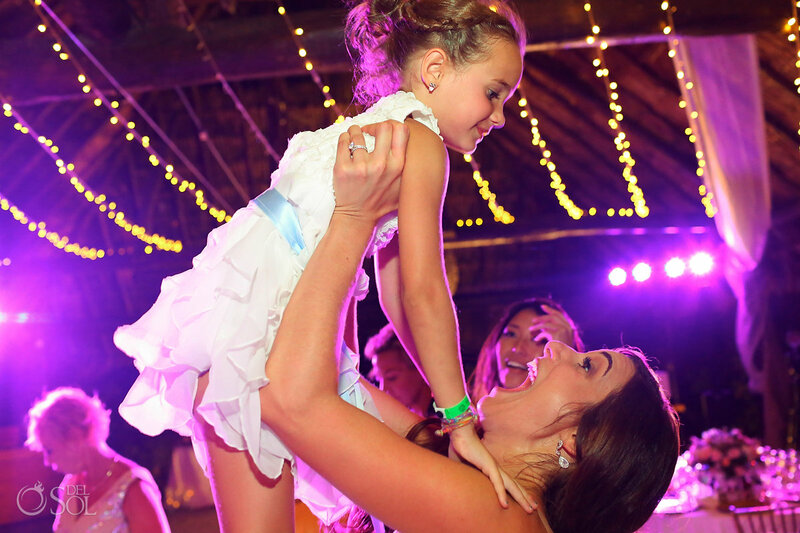 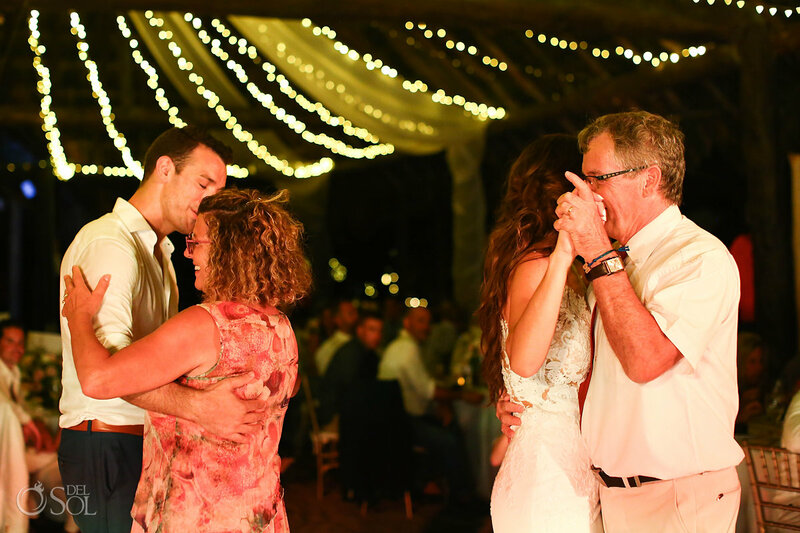 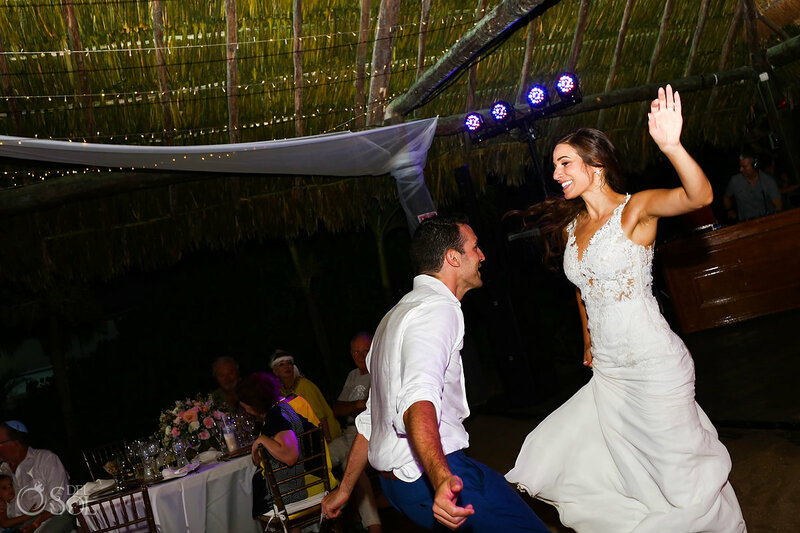 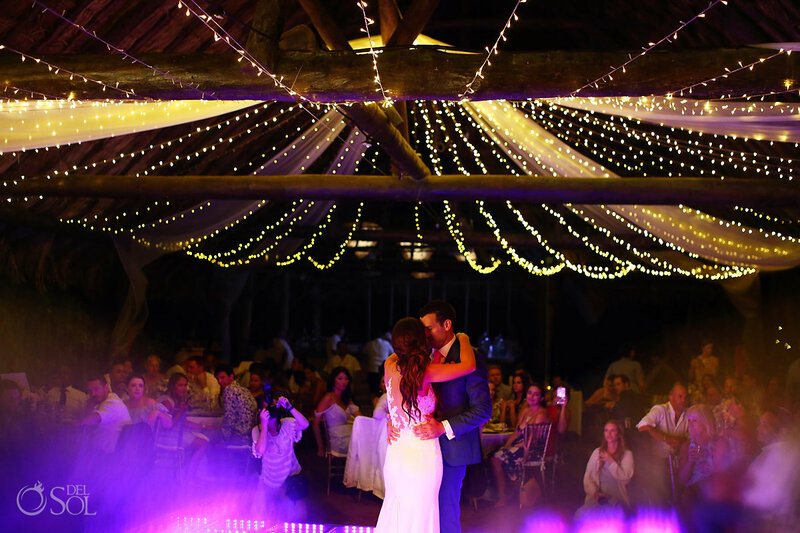 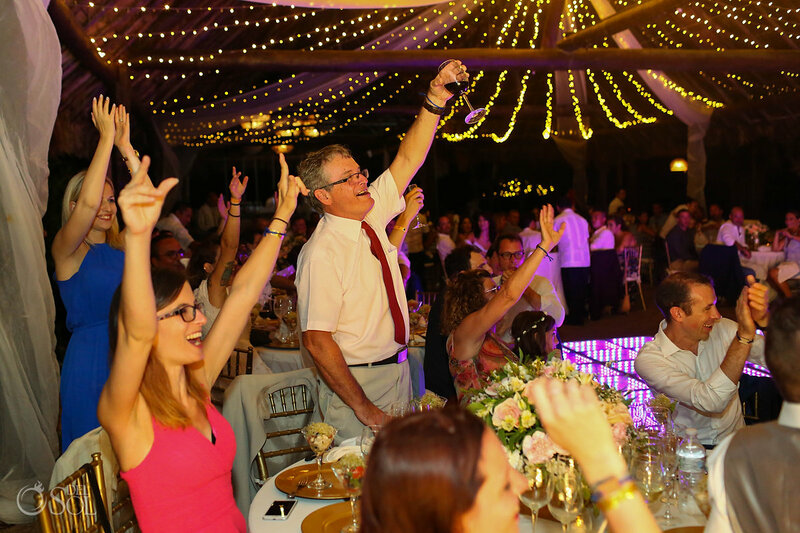 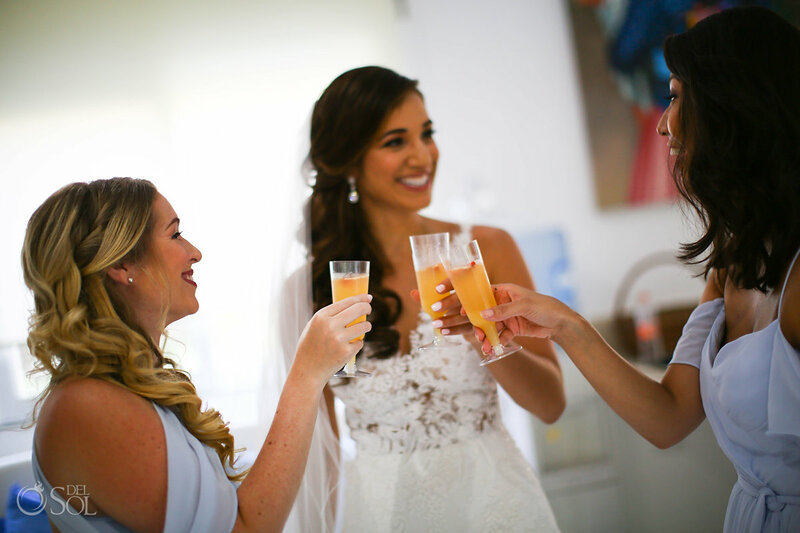 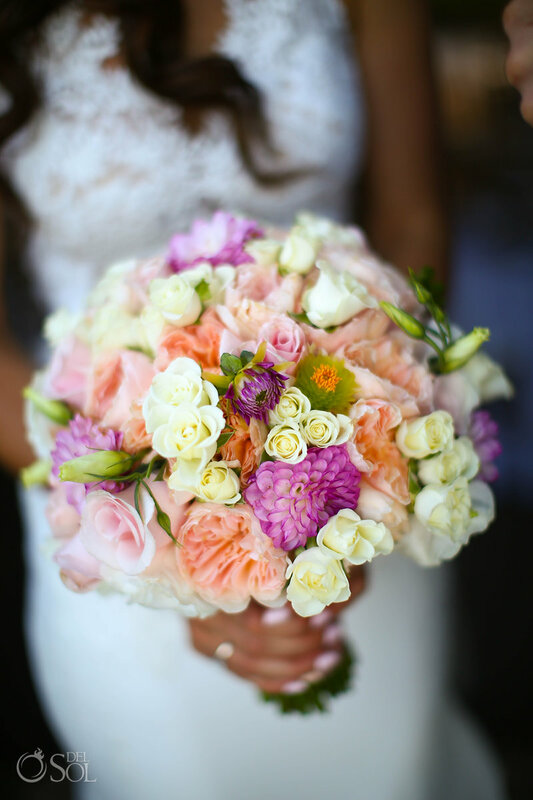 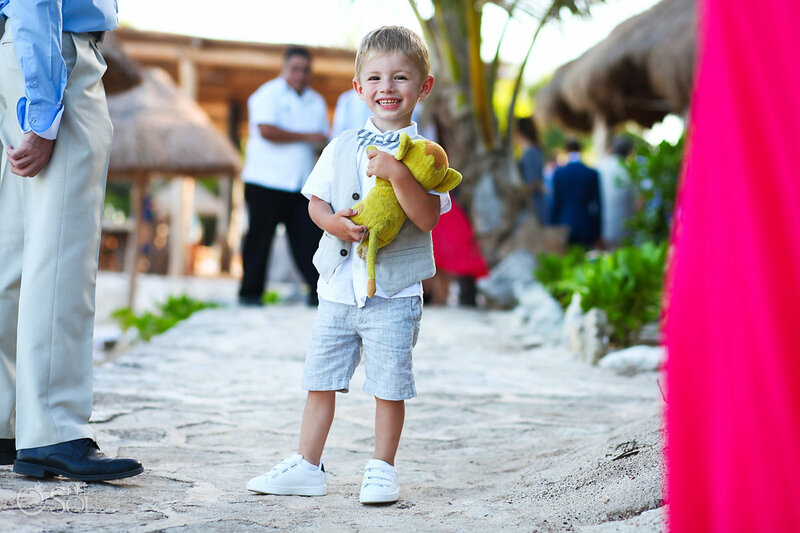 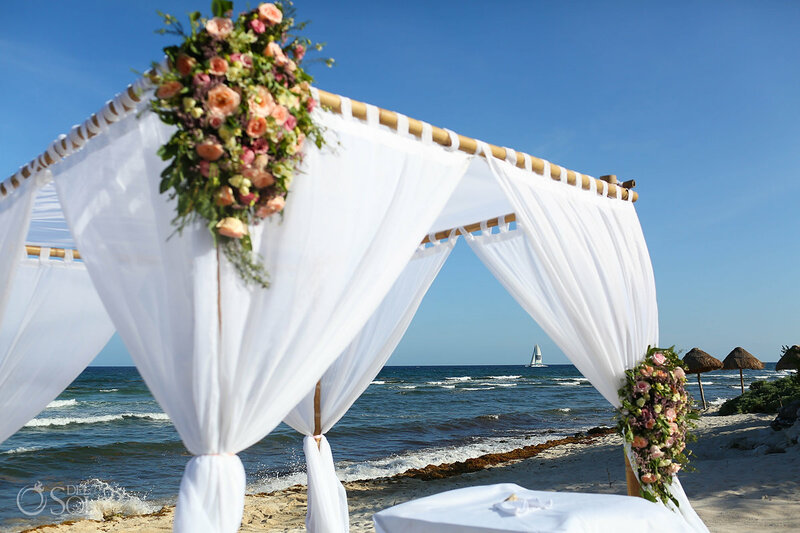 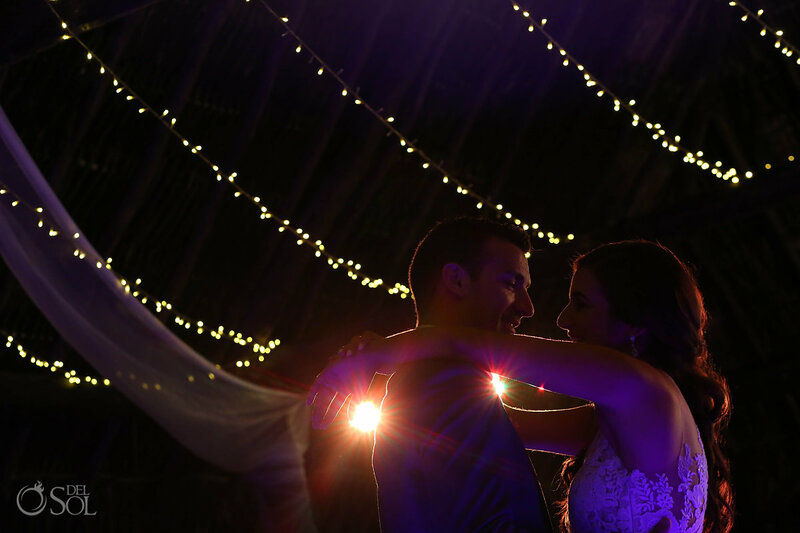 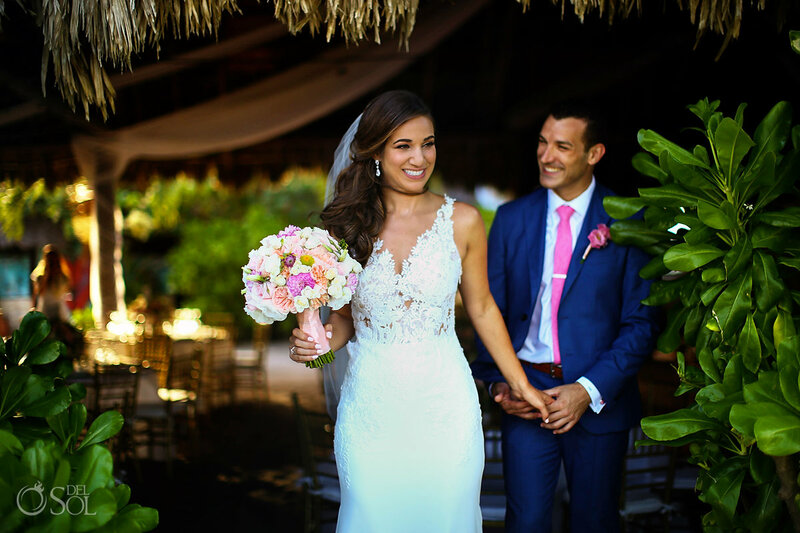 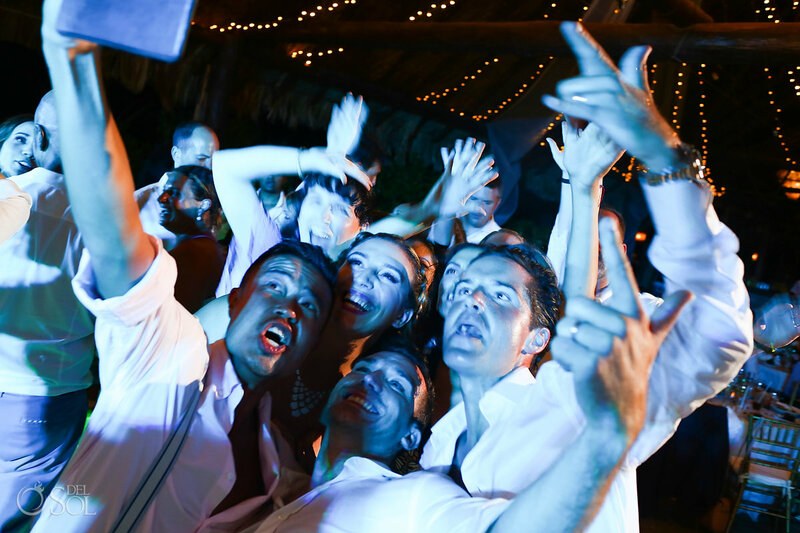 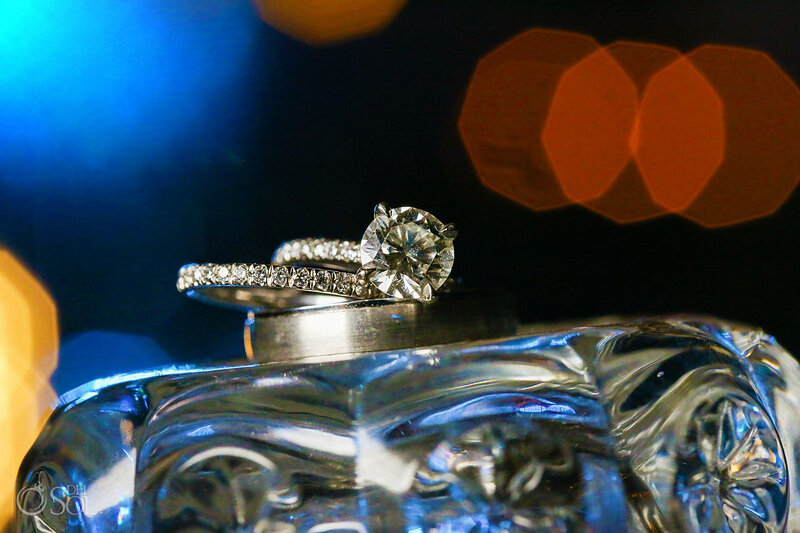 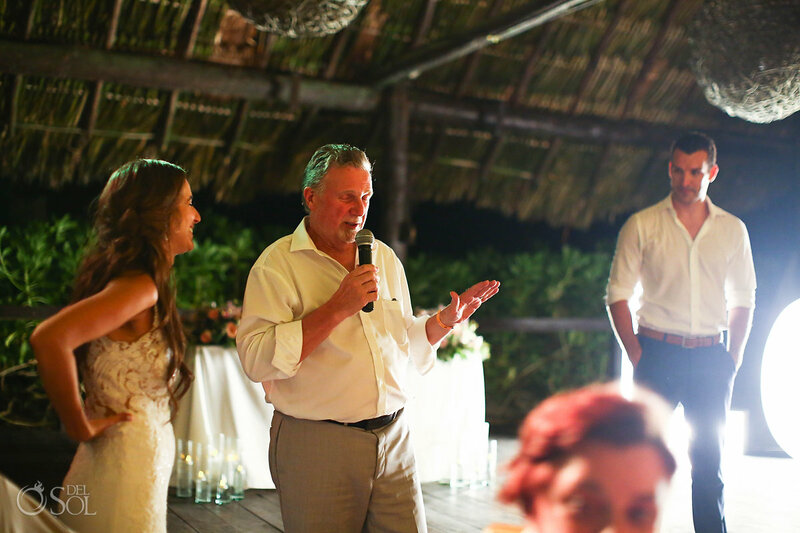 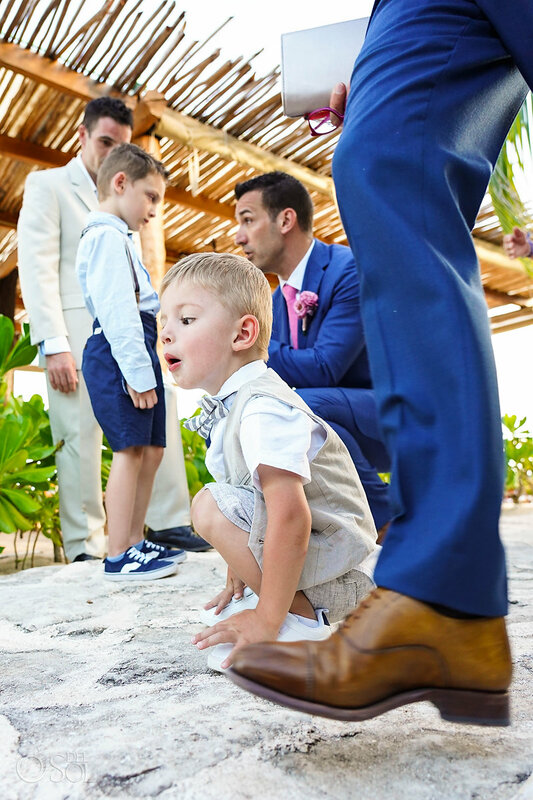 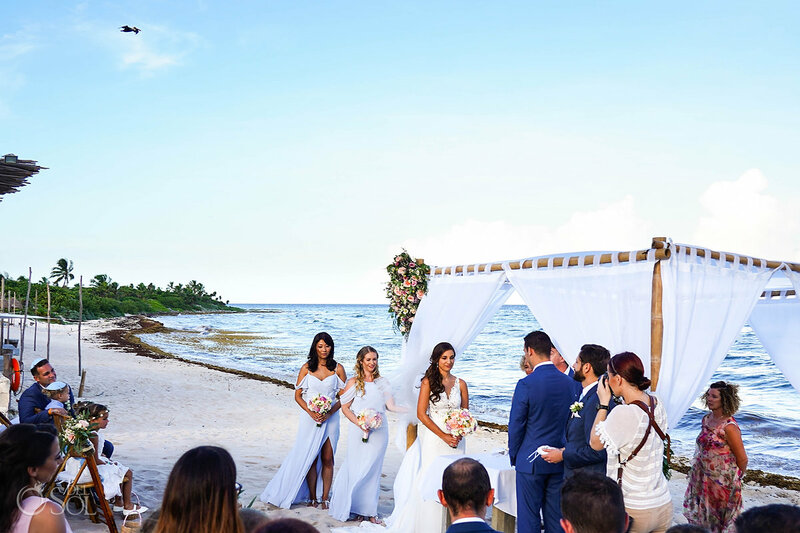 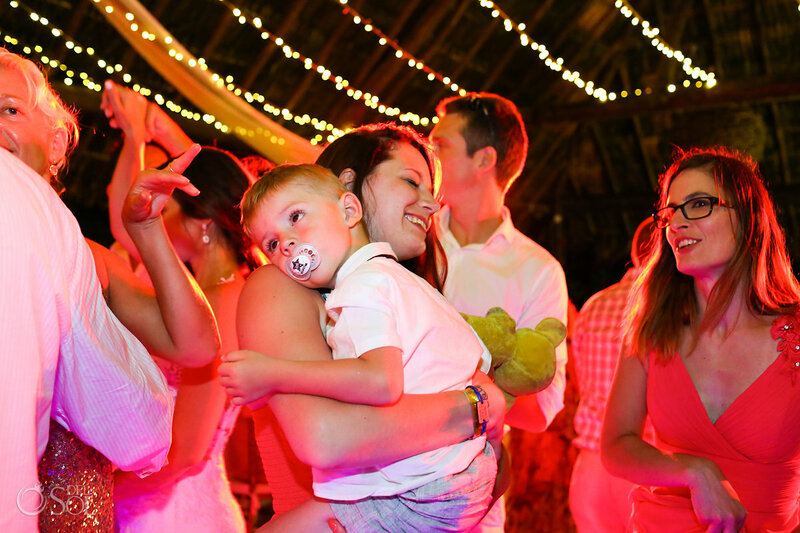 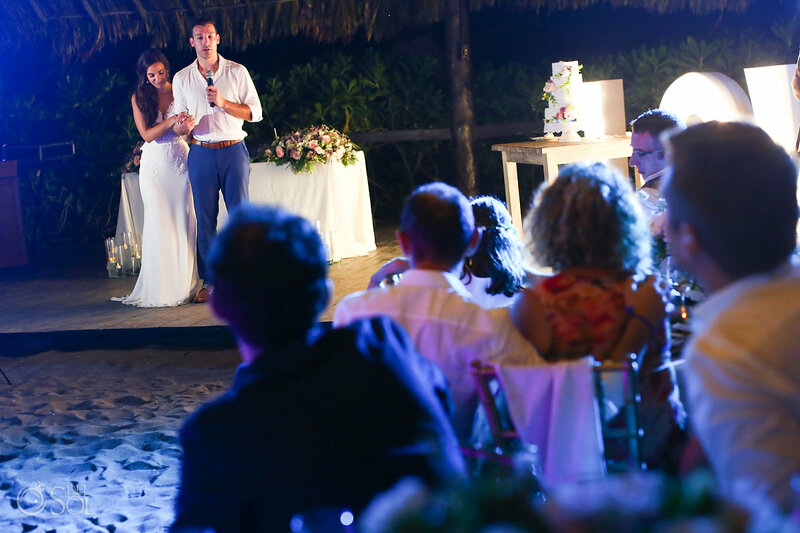 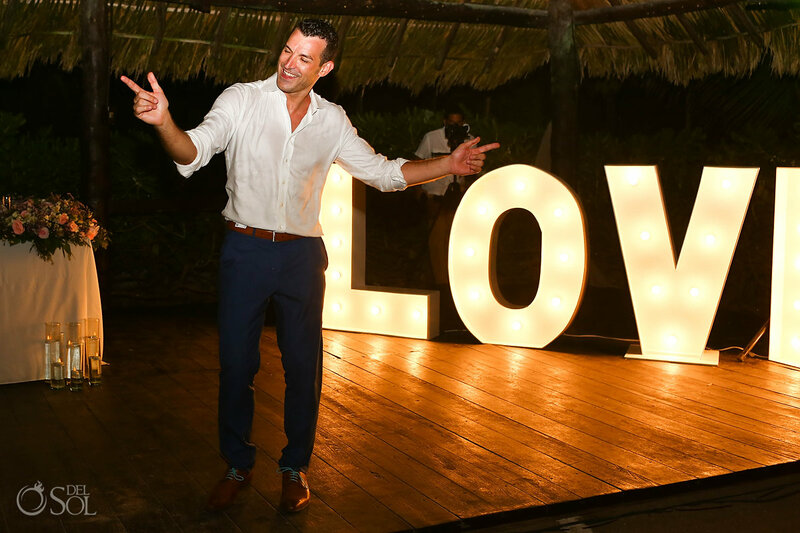 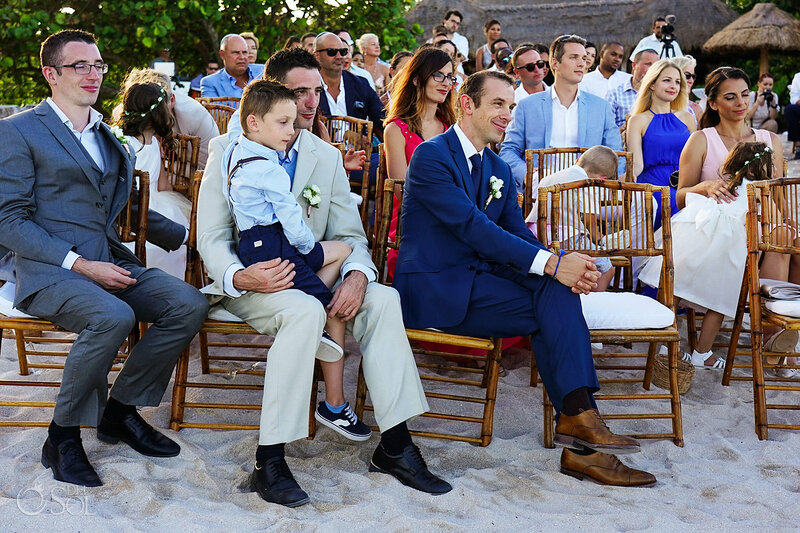 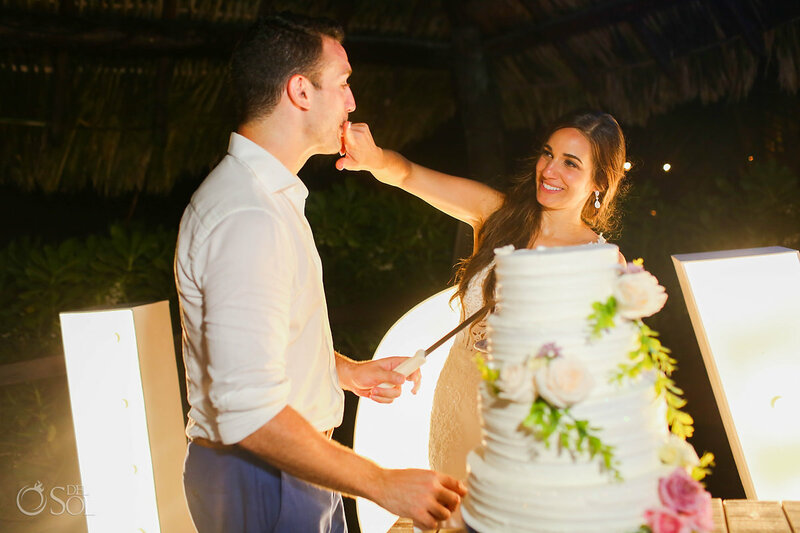 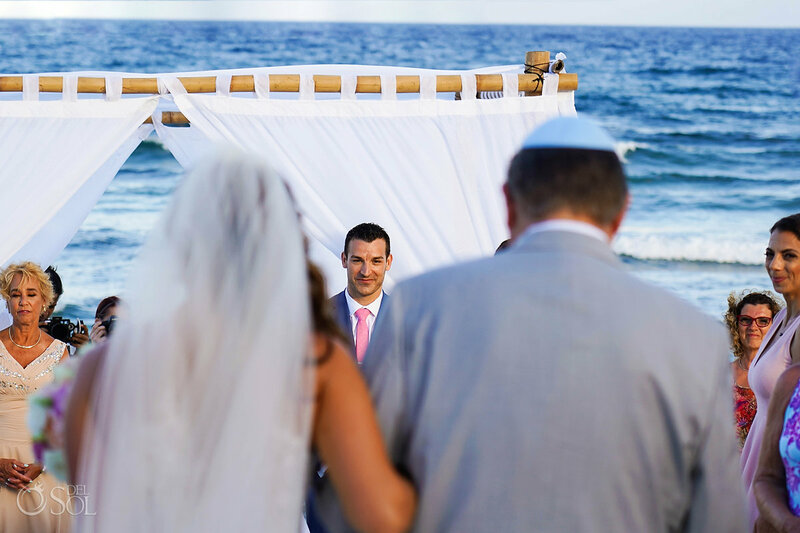 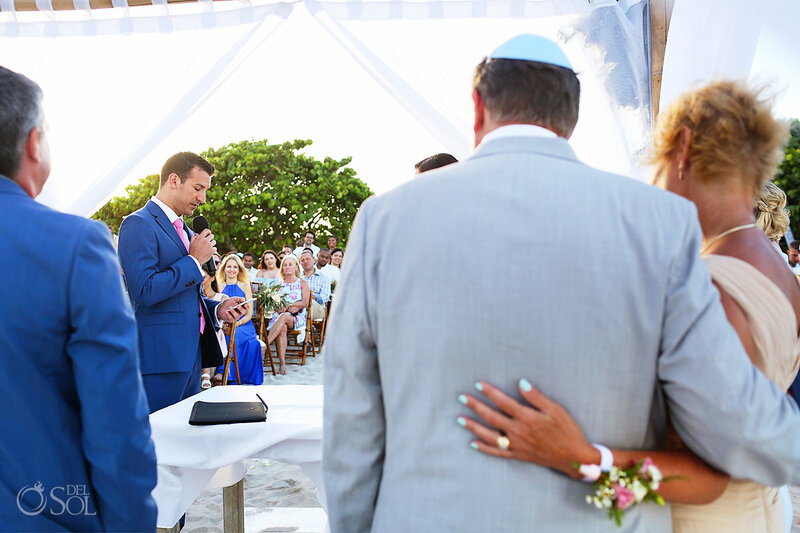 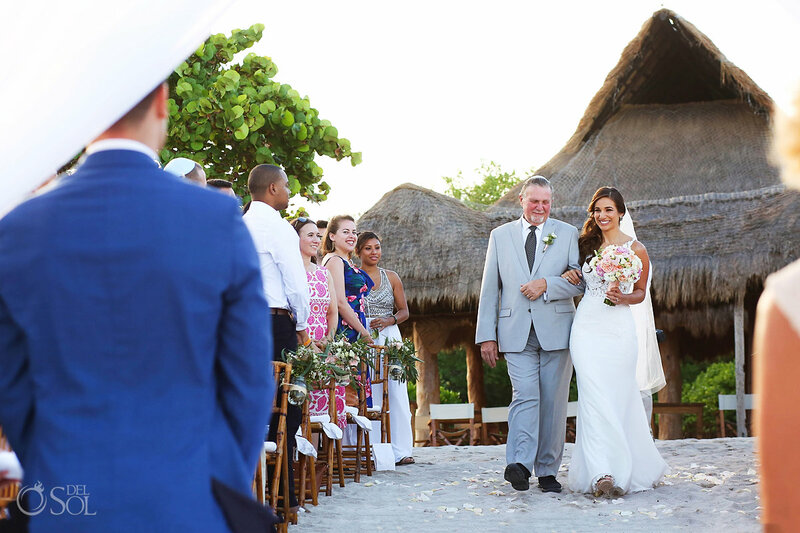 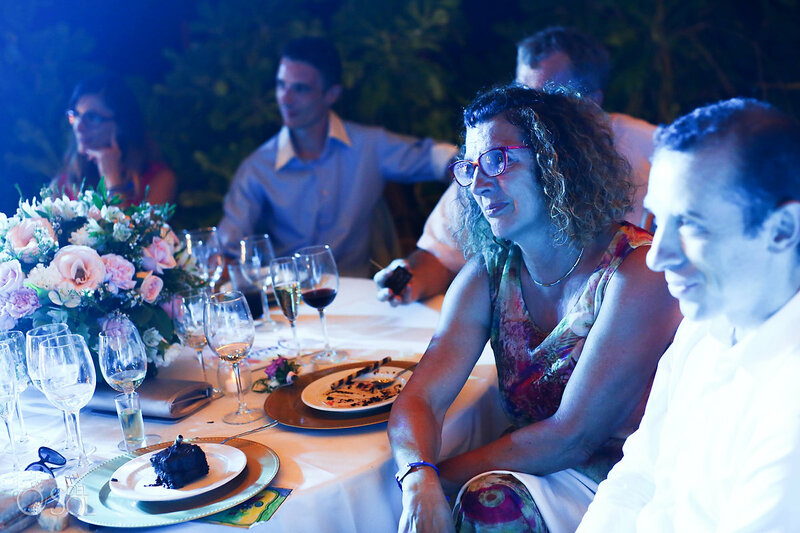 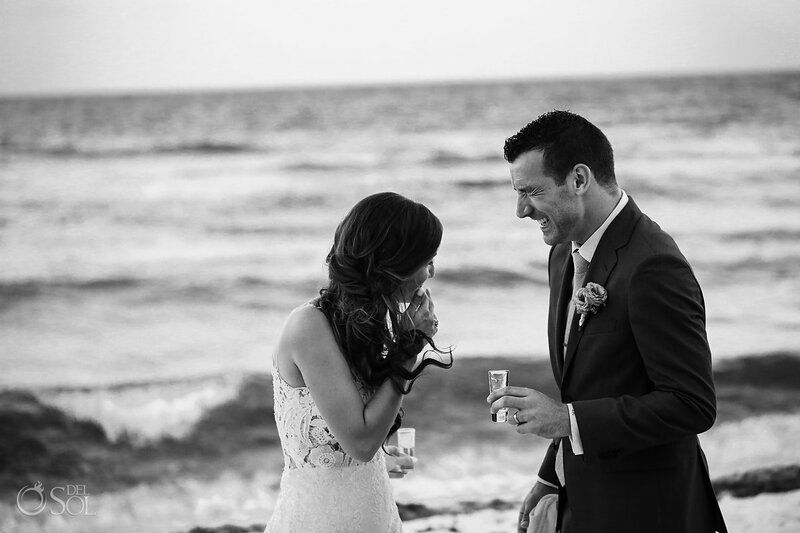 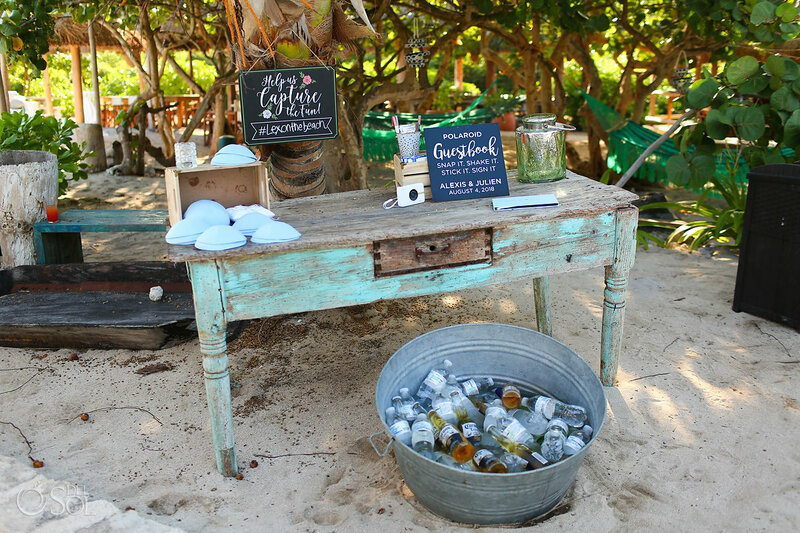 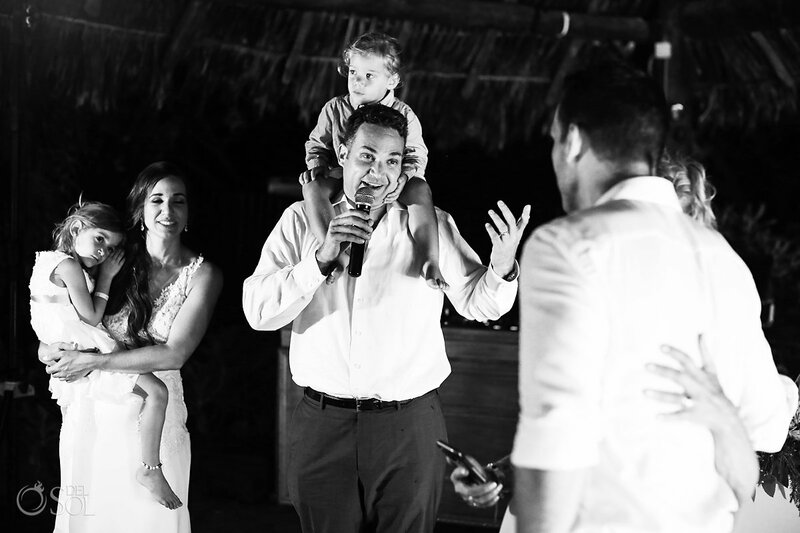 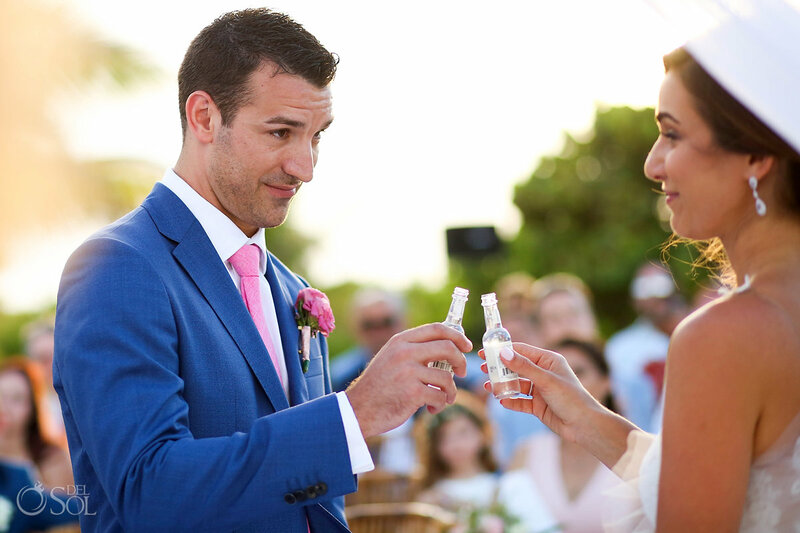 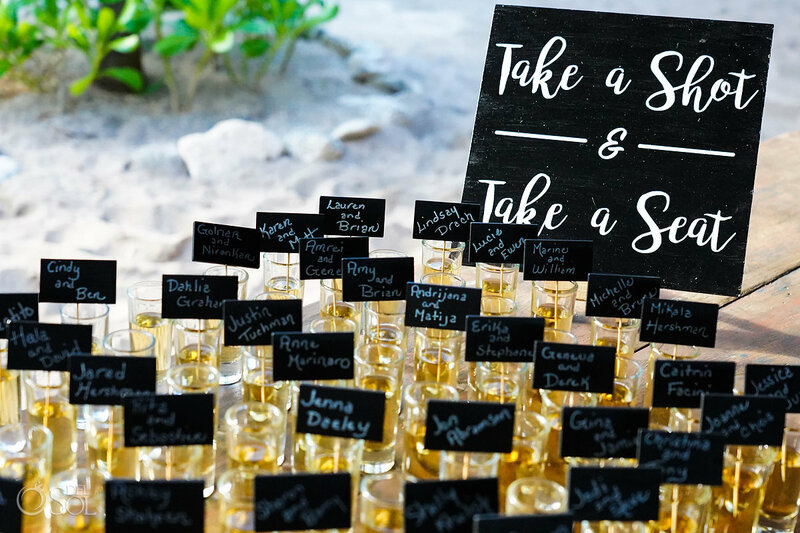 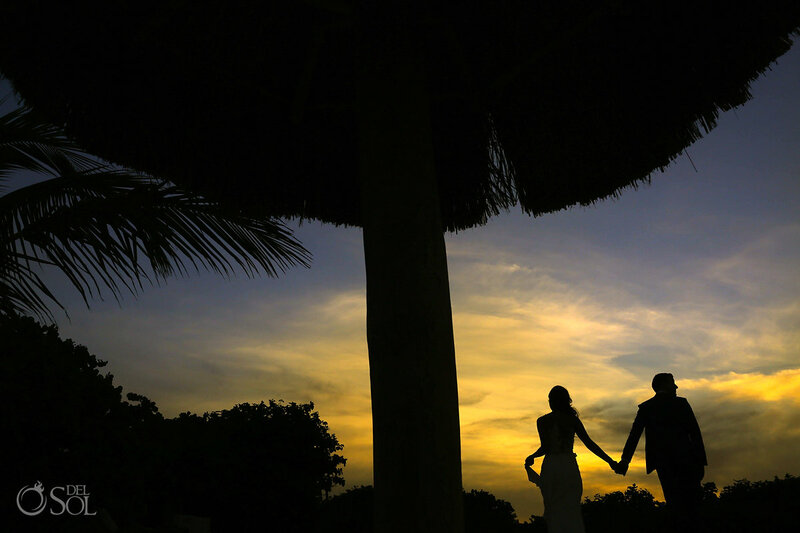 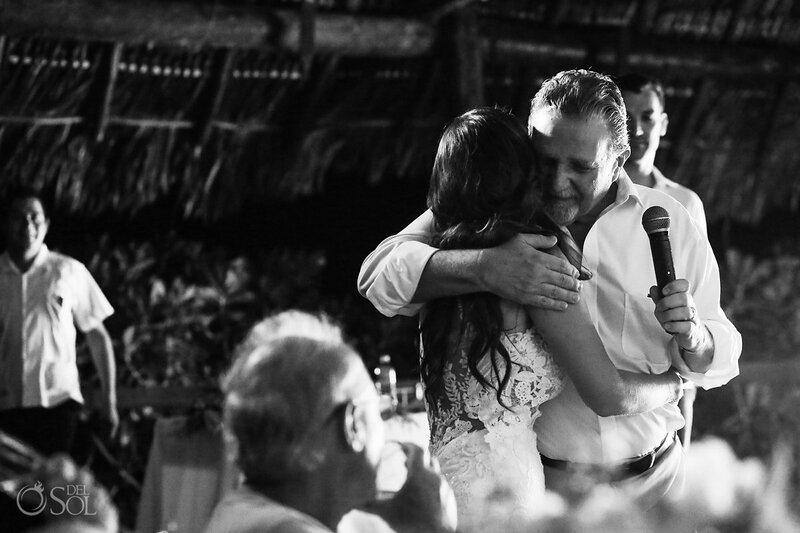 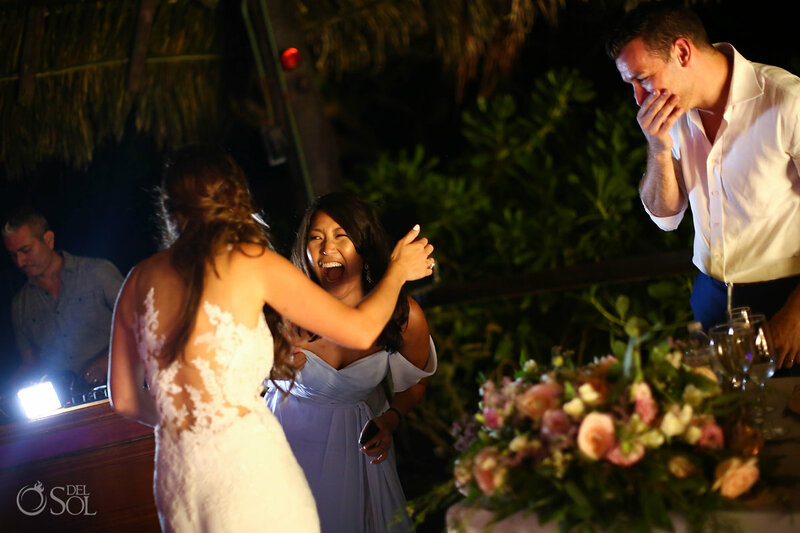 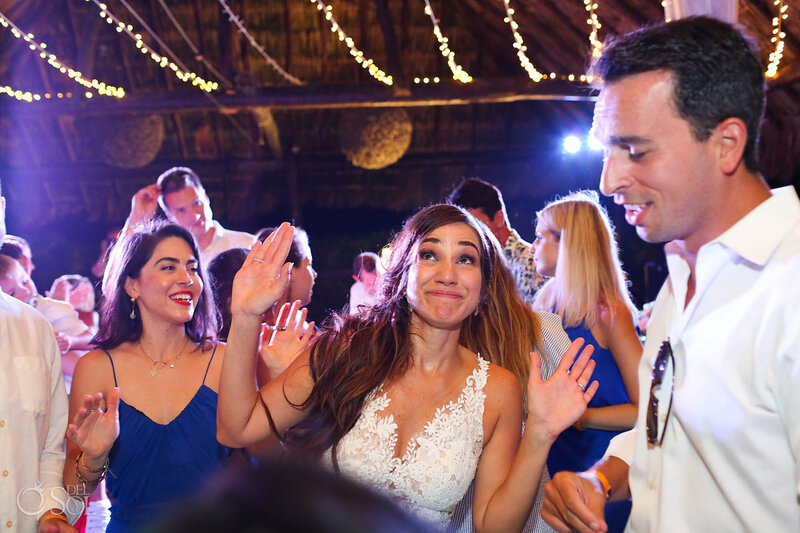 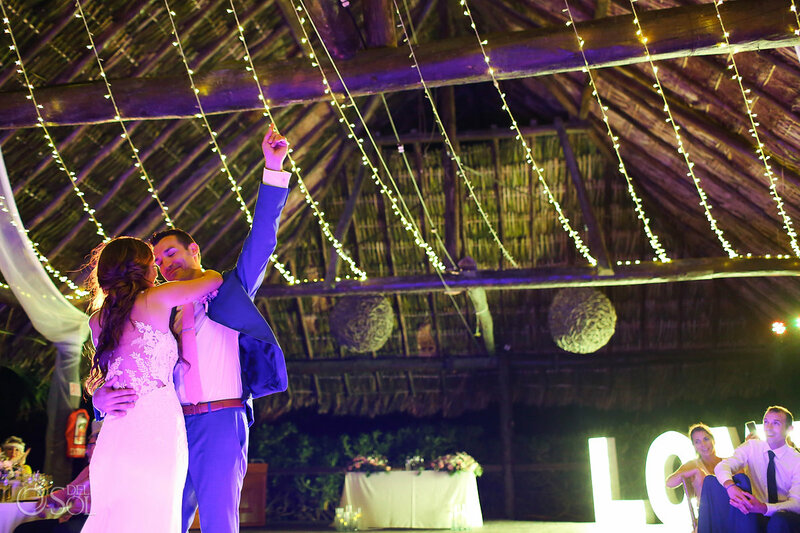 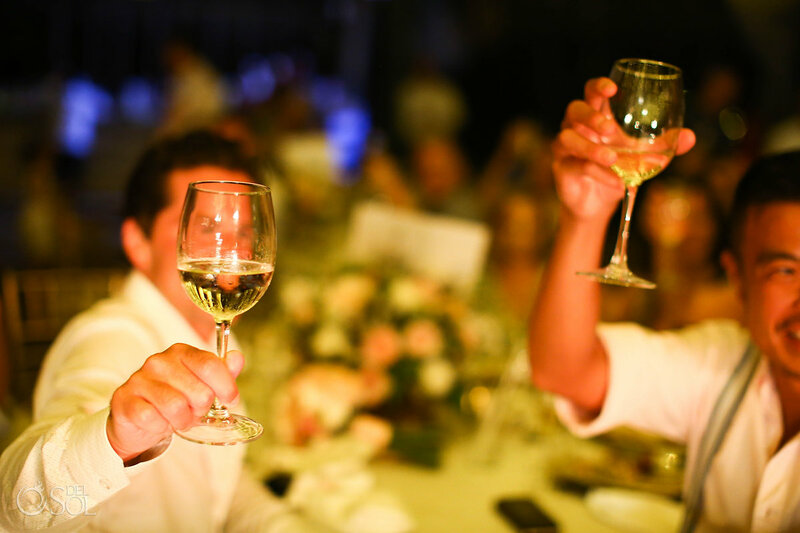 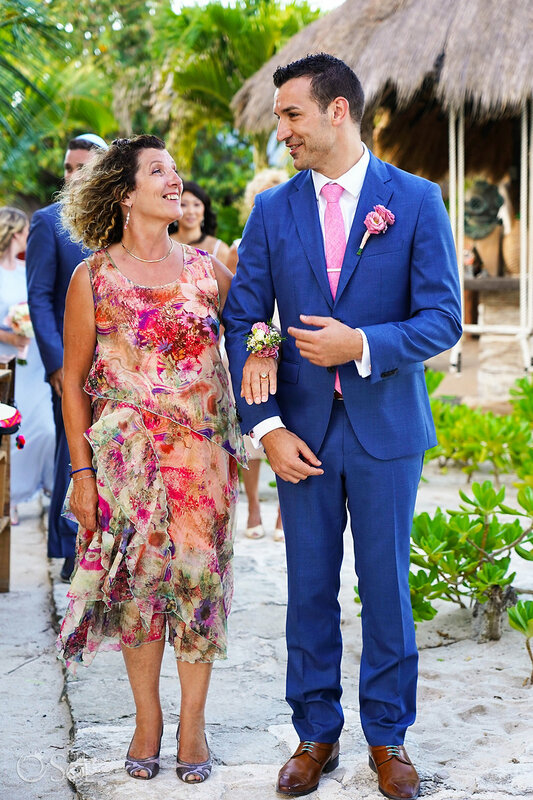 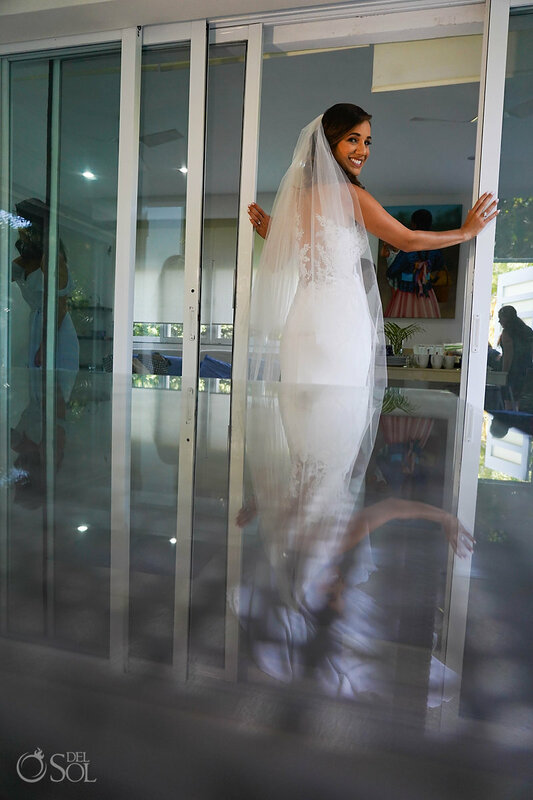 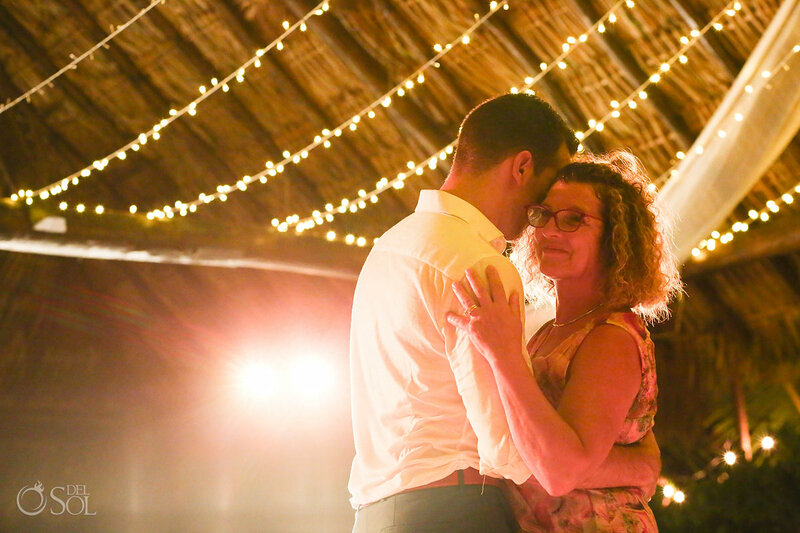 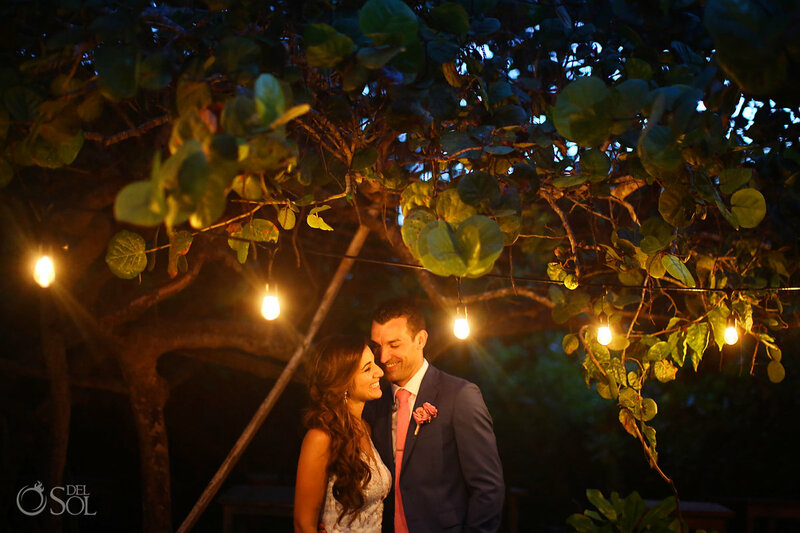 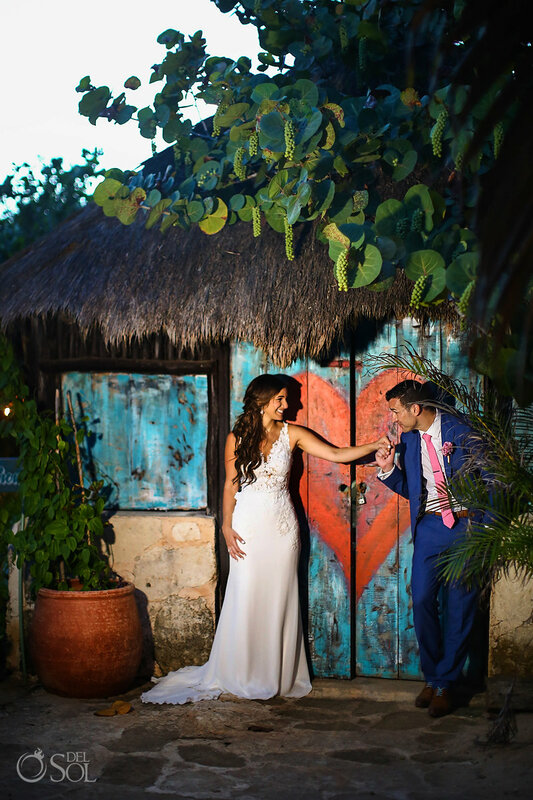 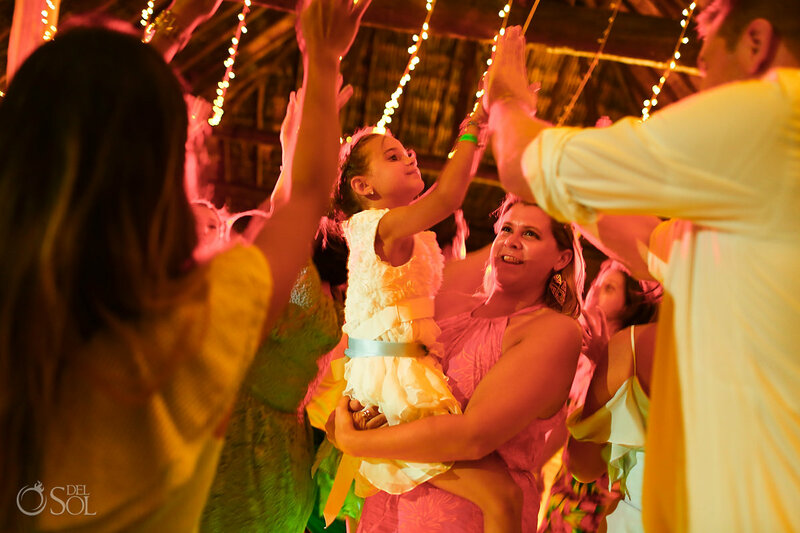 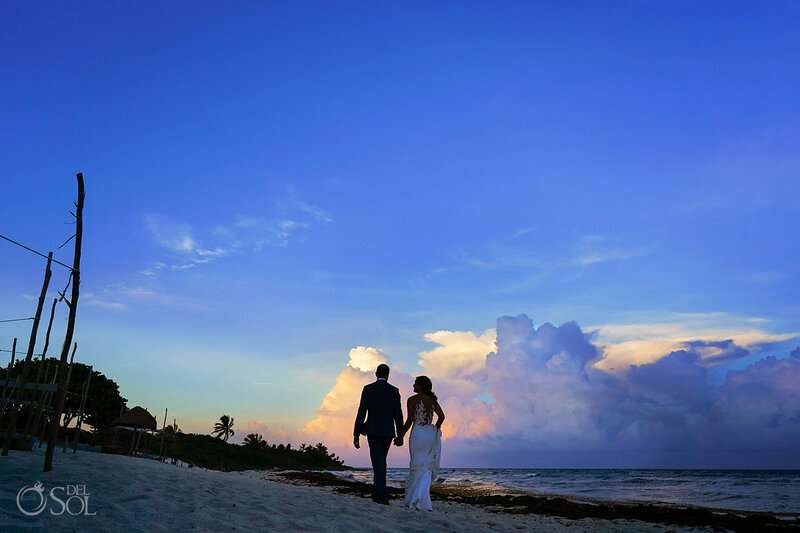 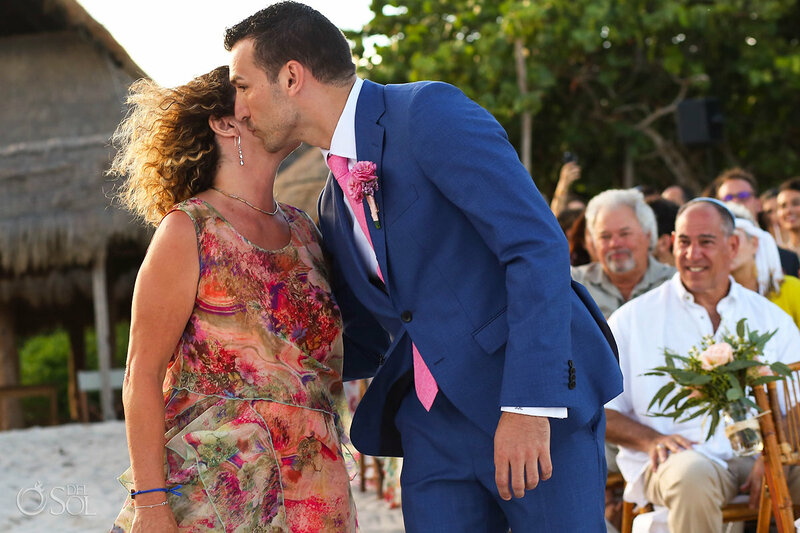 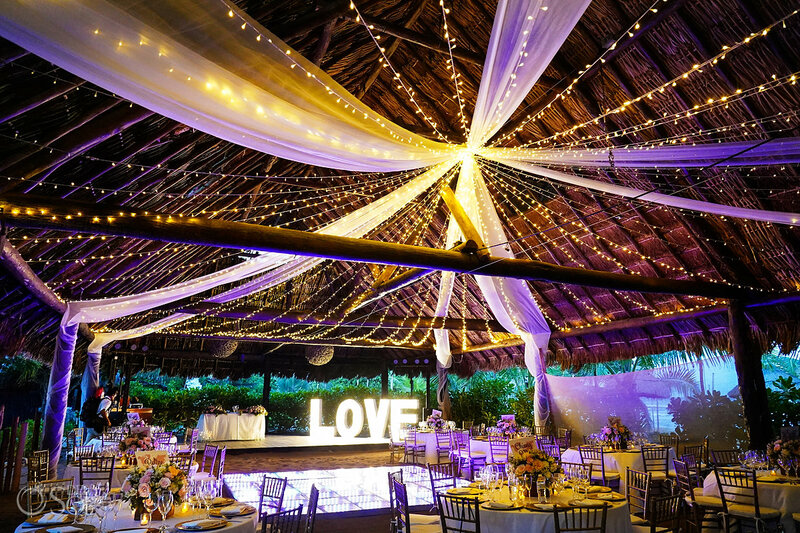 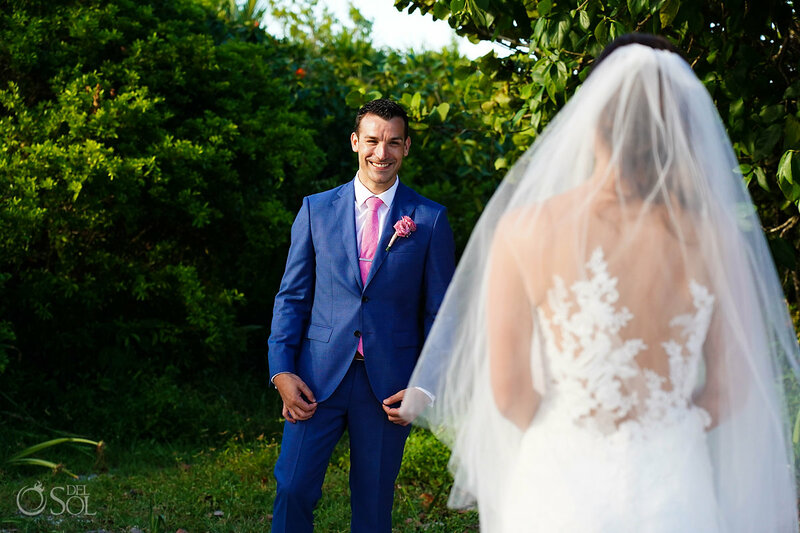 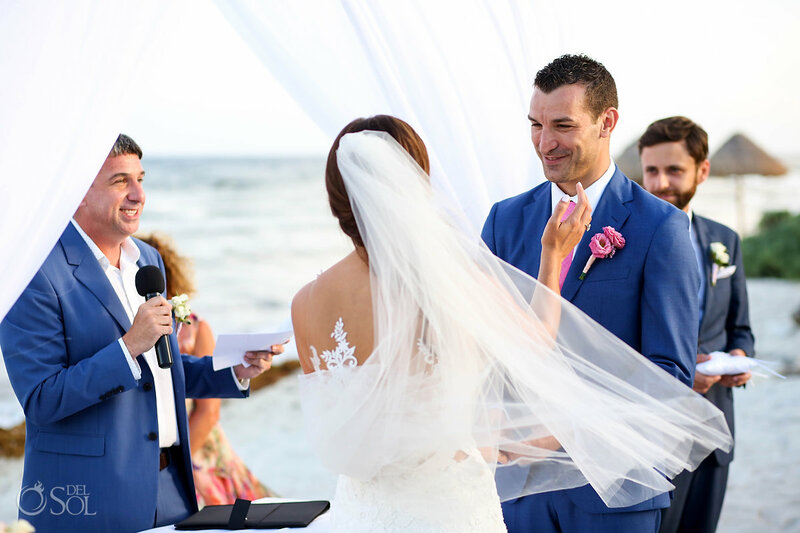 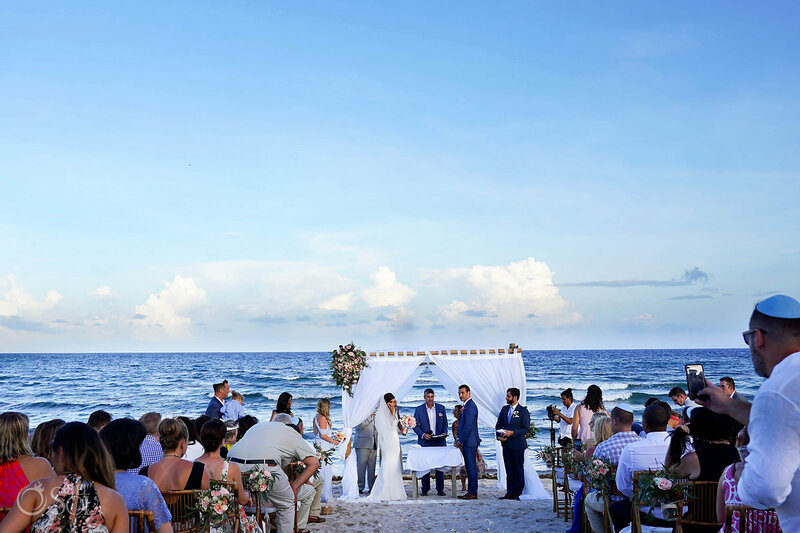 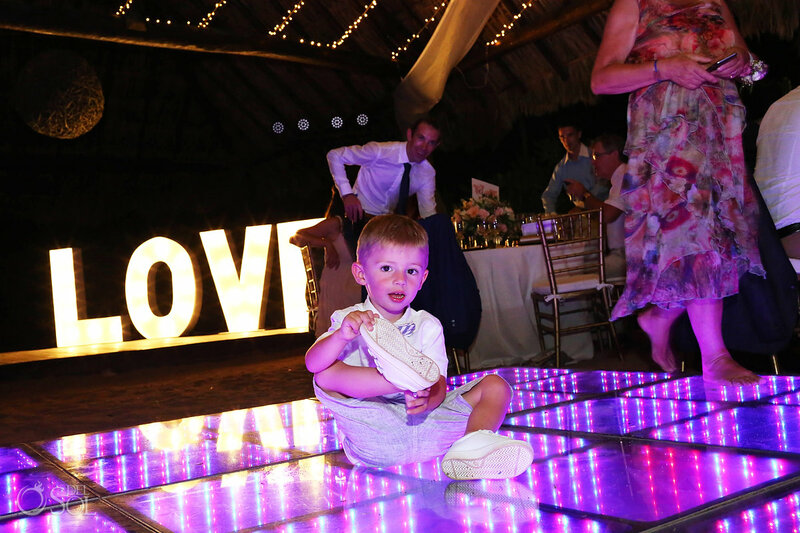 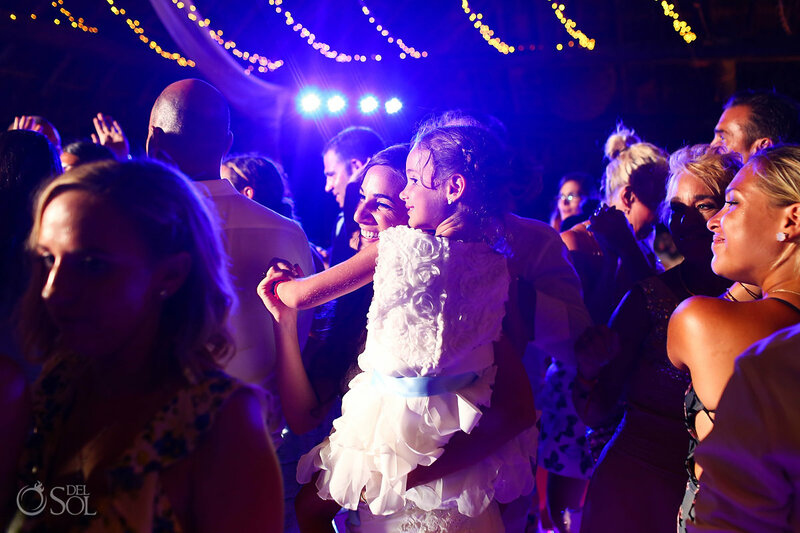 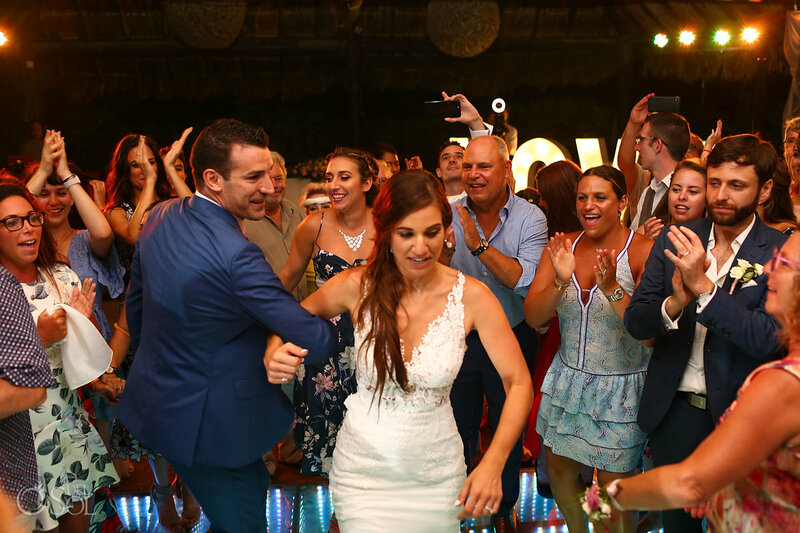 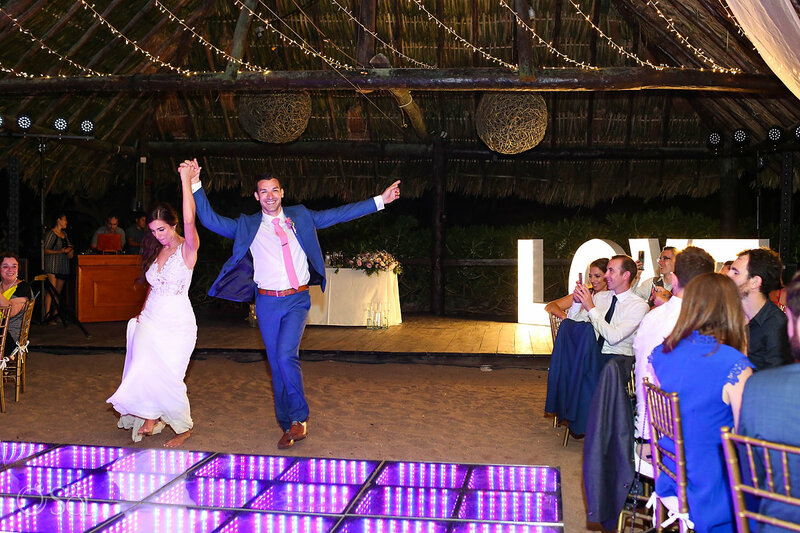 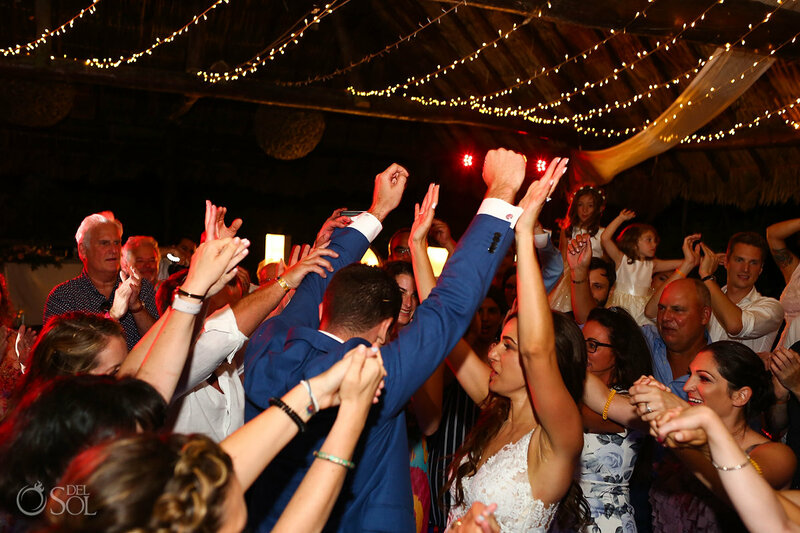 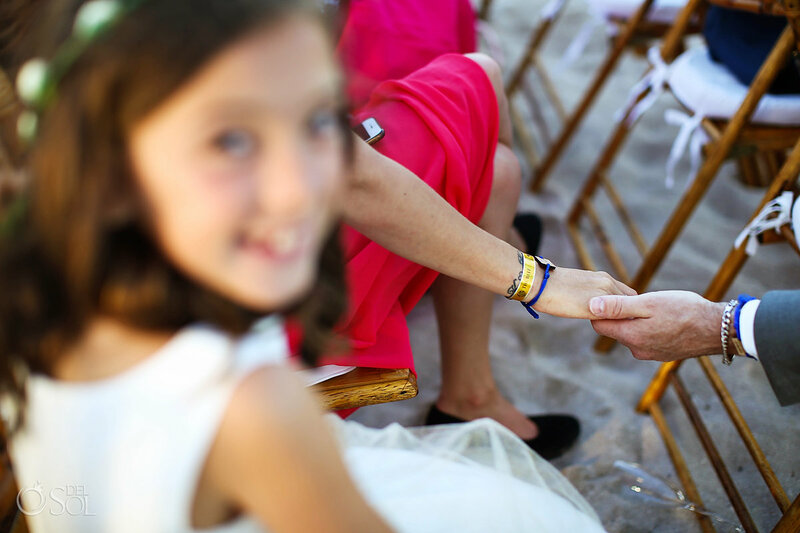 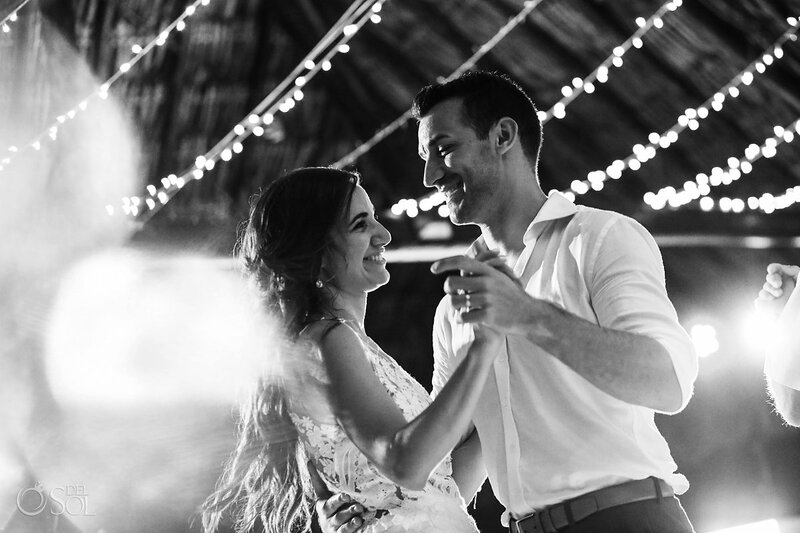 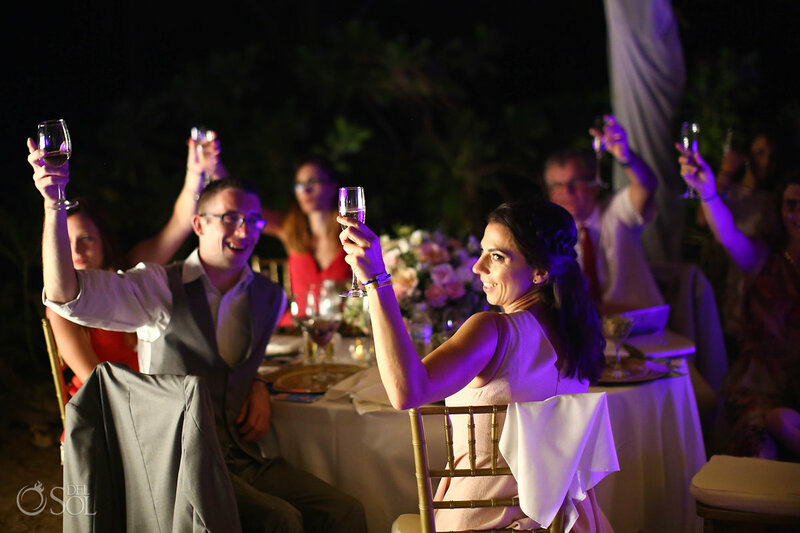 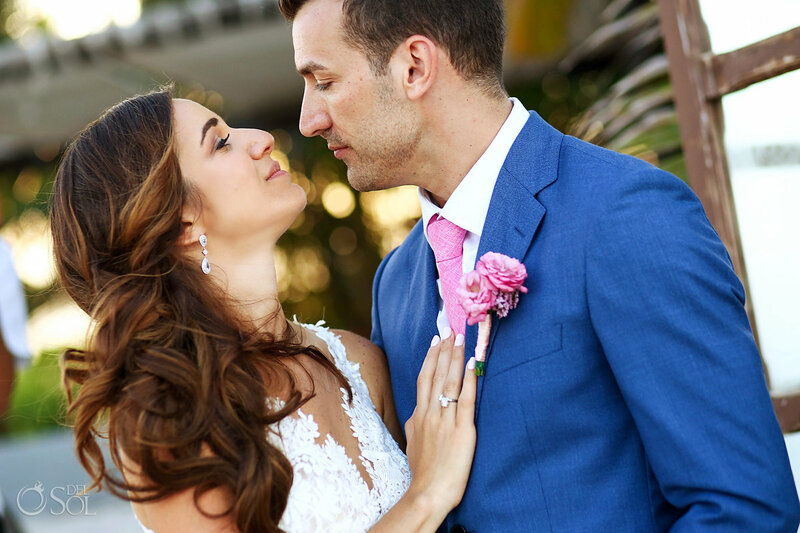 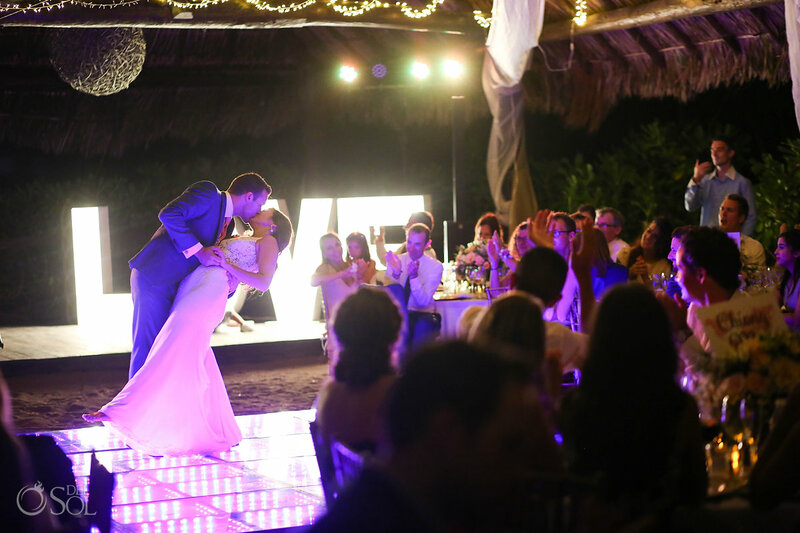 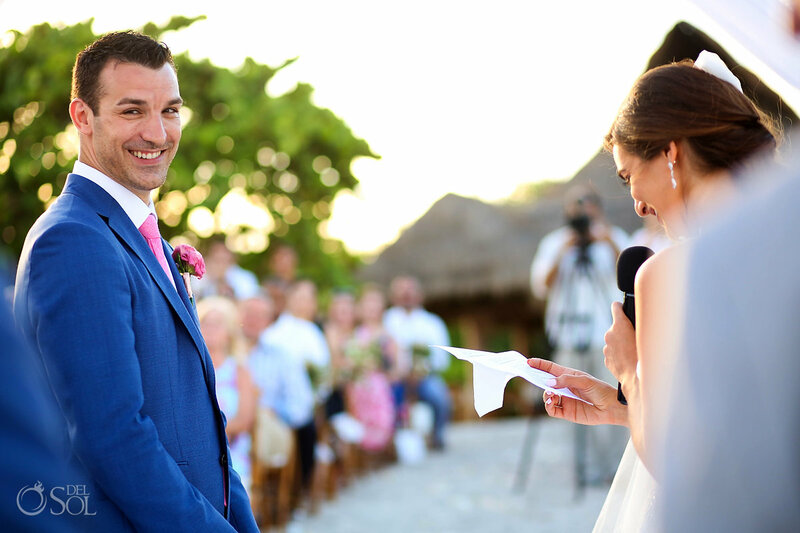 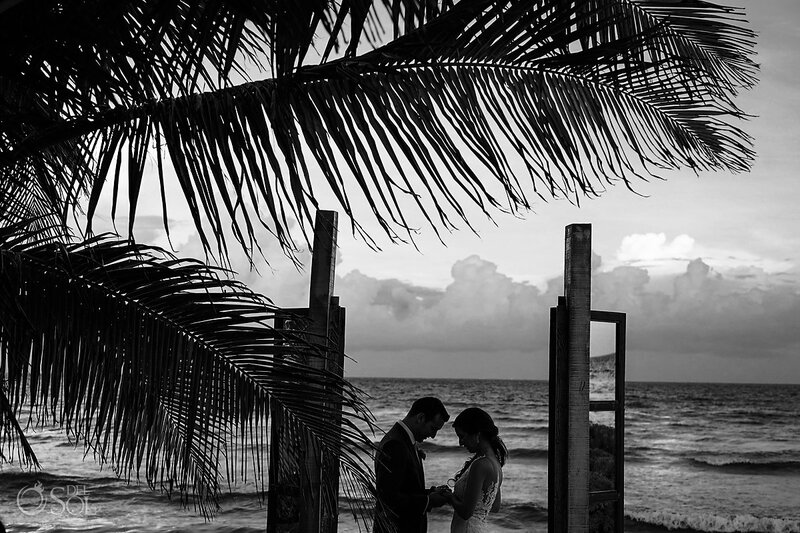 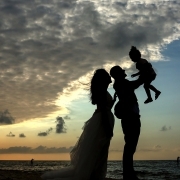 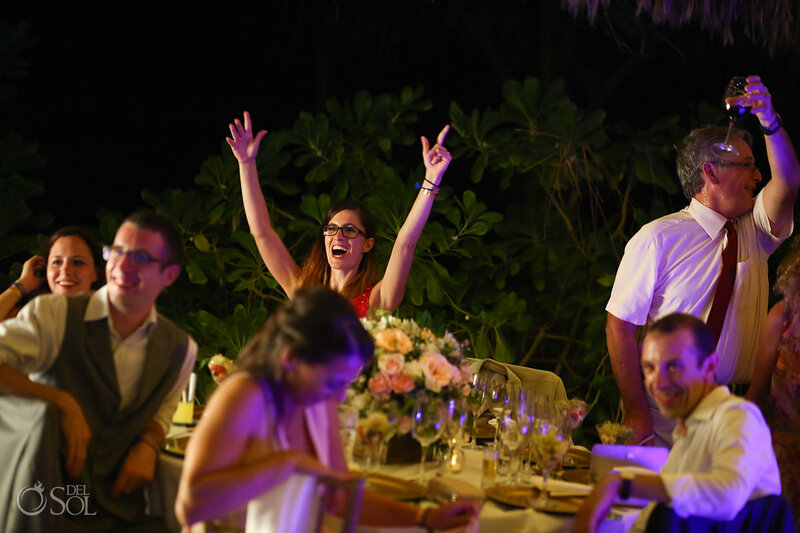 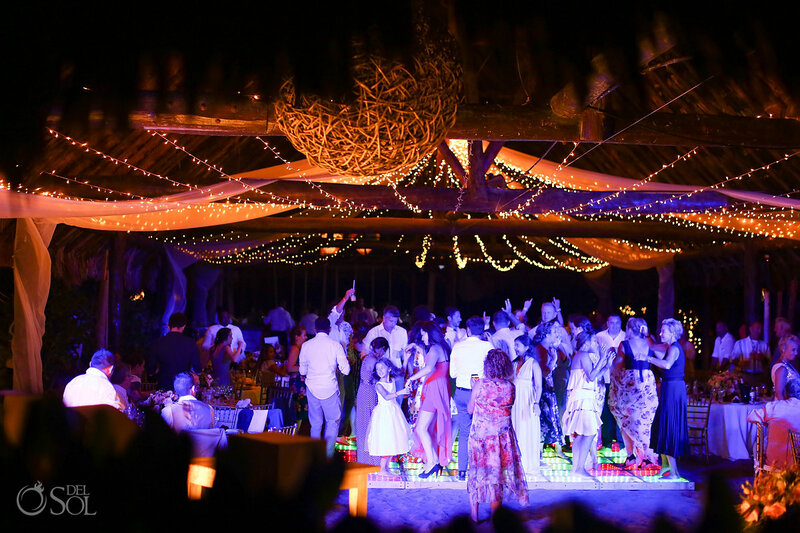 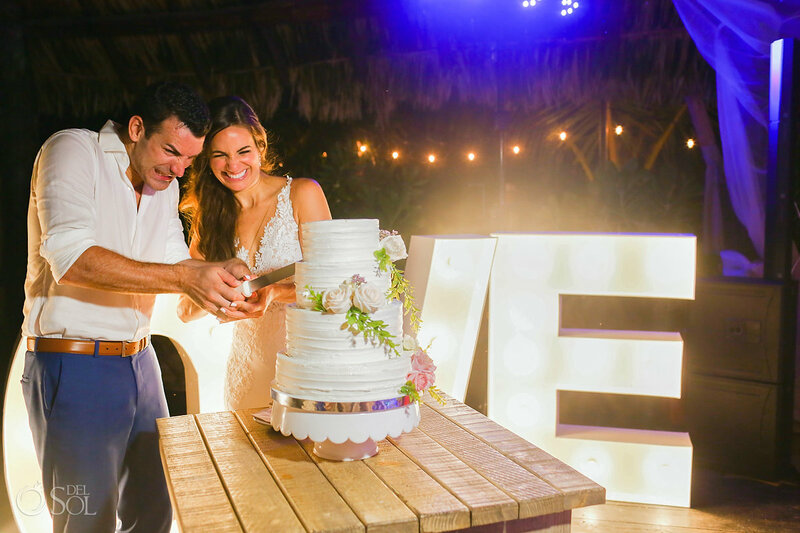 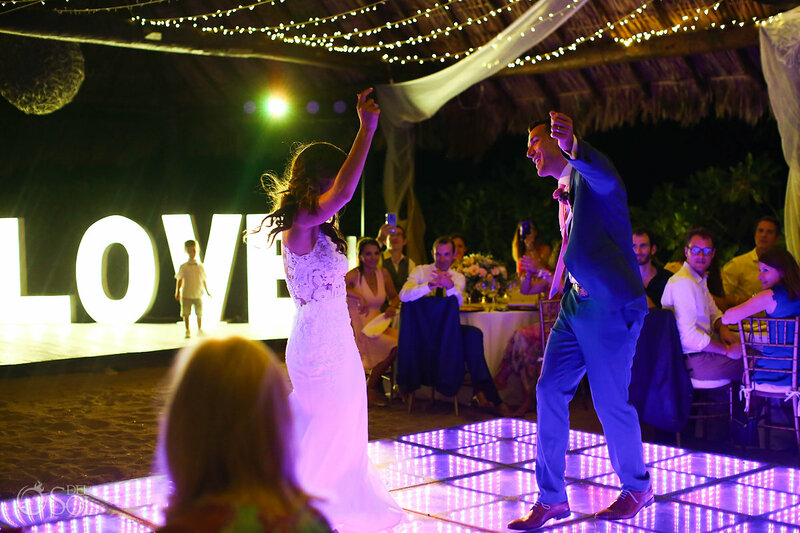 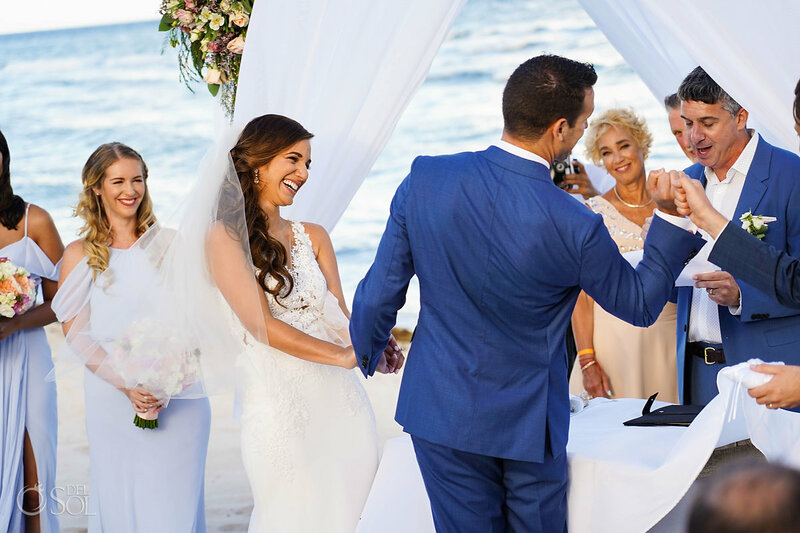 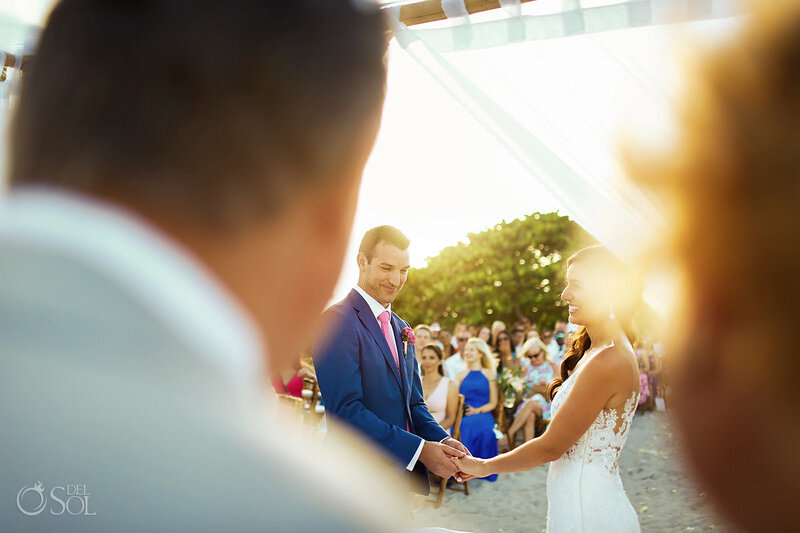 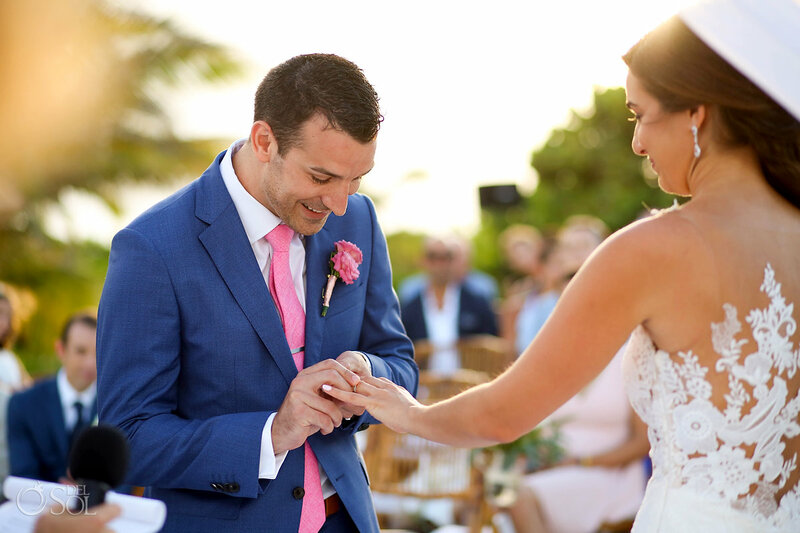 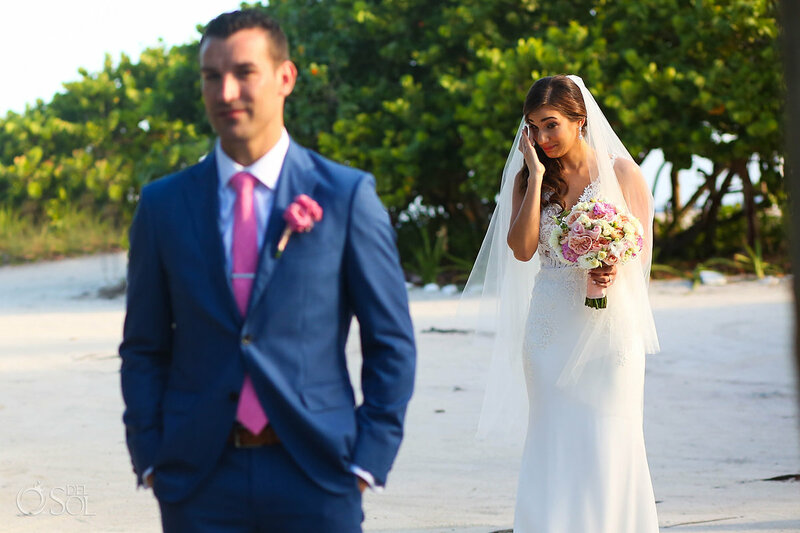 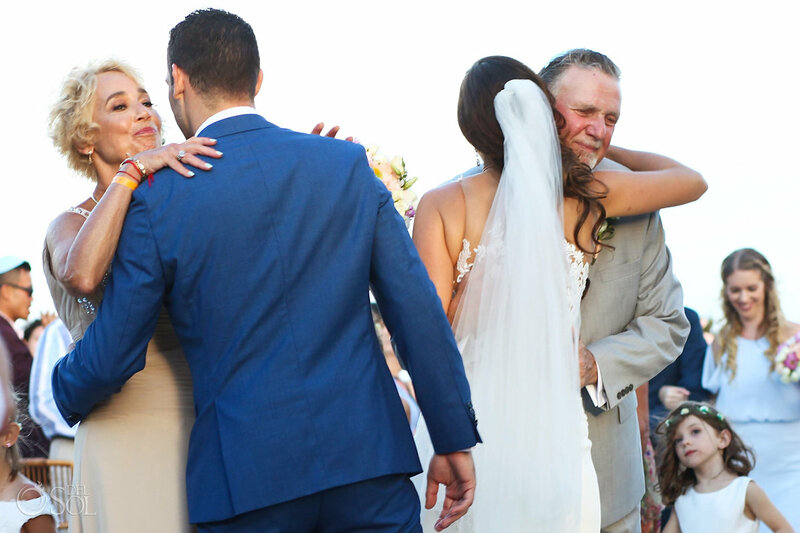 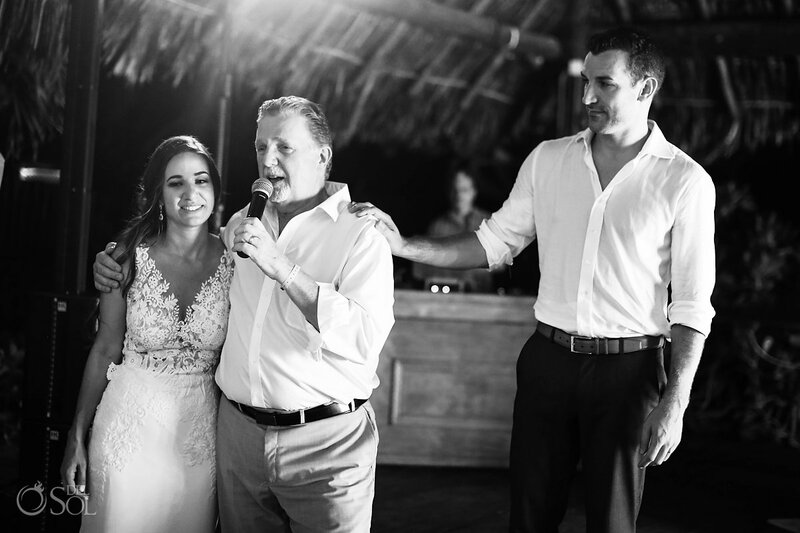 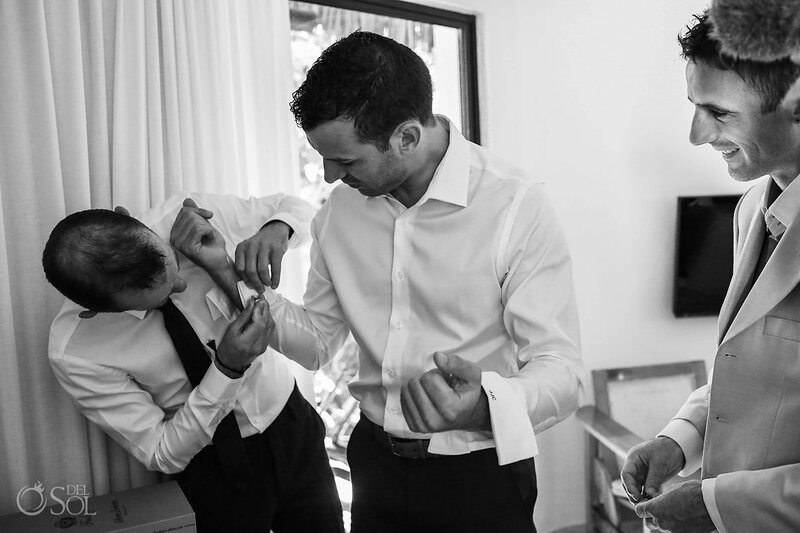 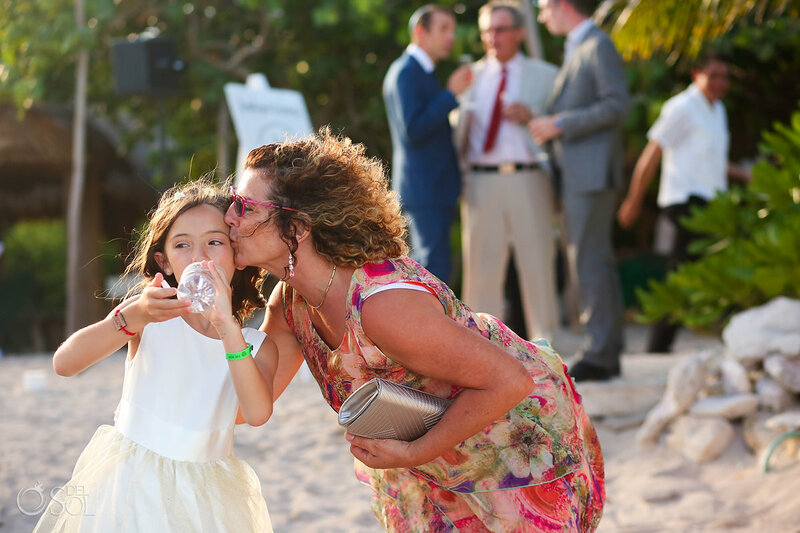 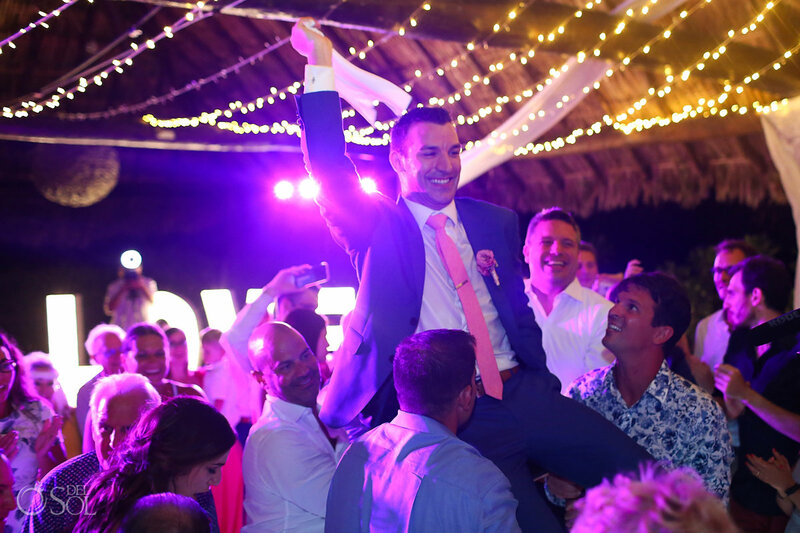 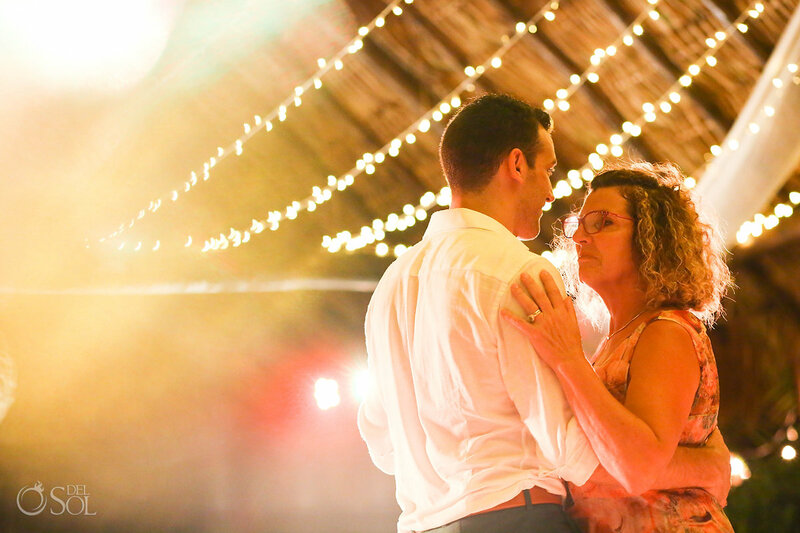 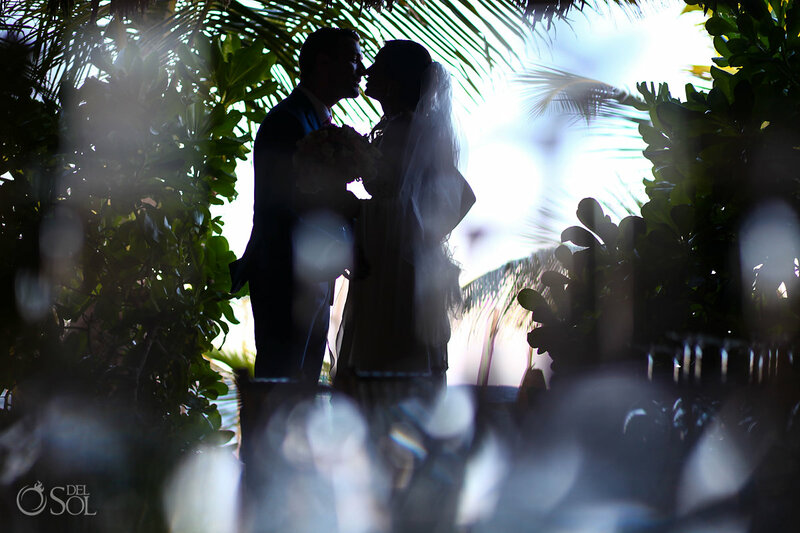 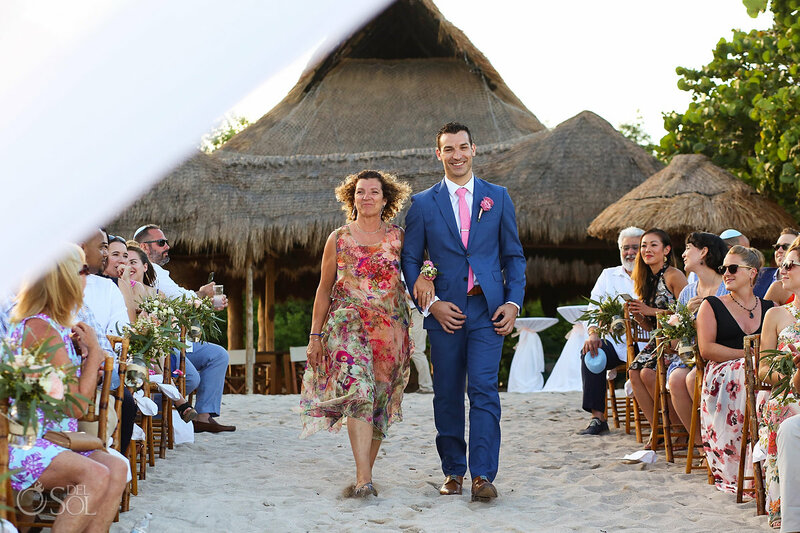 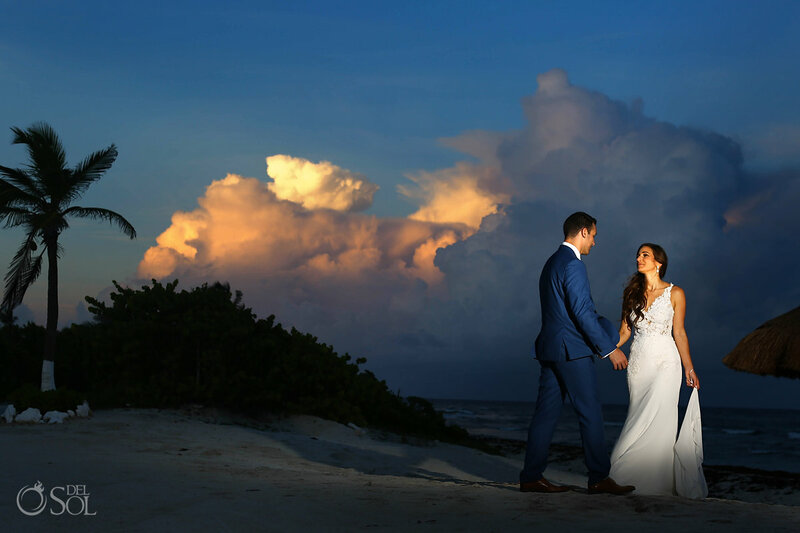 Alexis and Julien had a big and beautiful Riviera Maya Beach Club Wedding at Blue Venado. 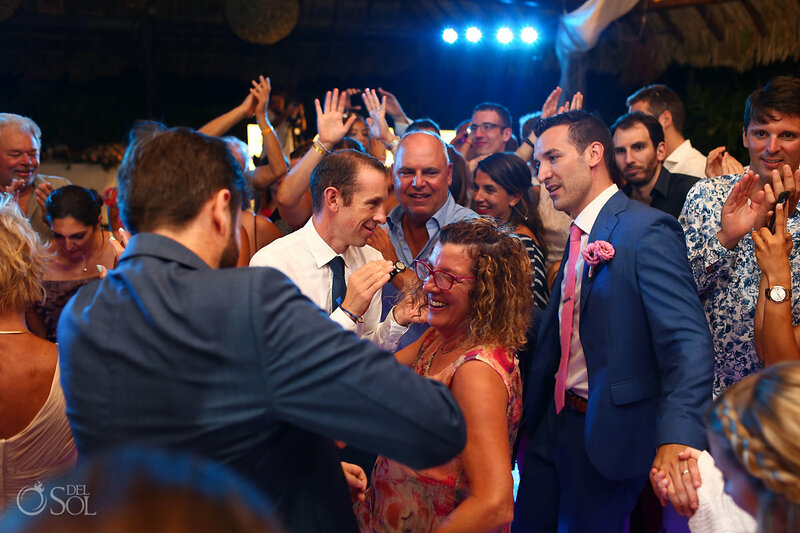 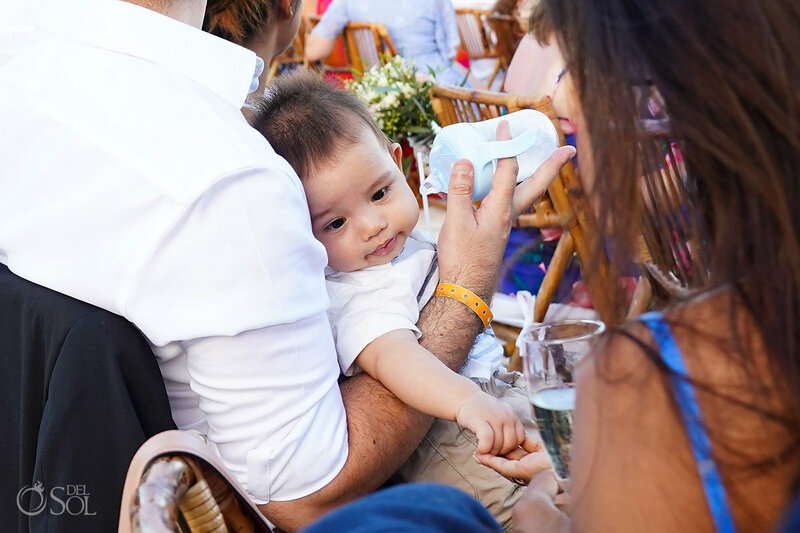 With will over 100 guests and the mix of languages and cultures from Alexis’s US family and Julien’s loved ones from France it was an energy packed day. 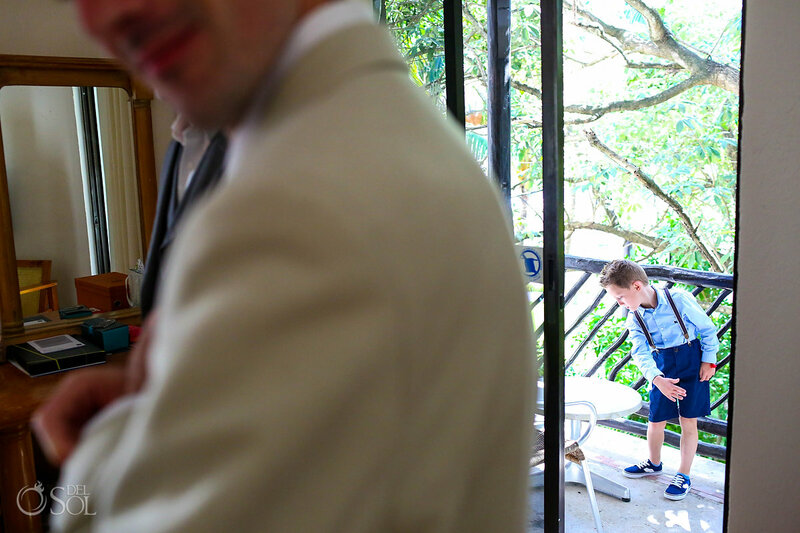 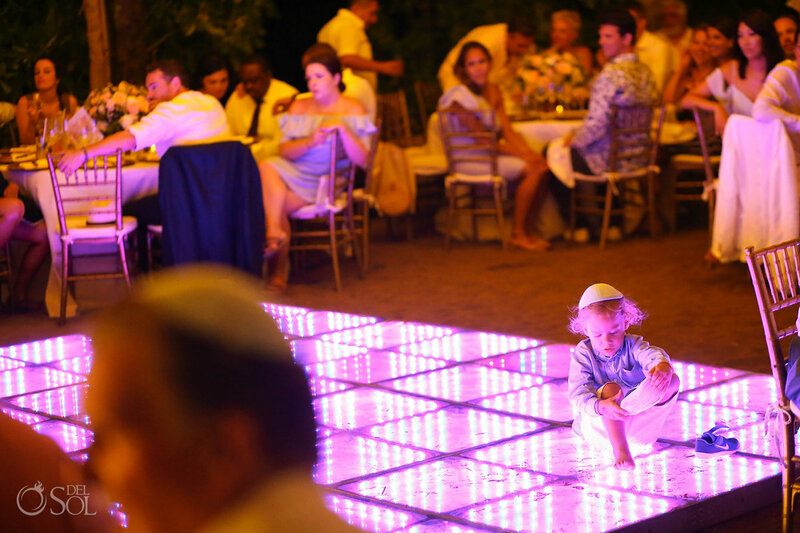 Added to that a collection of adorable children kept us and the whole wedding group entertained. 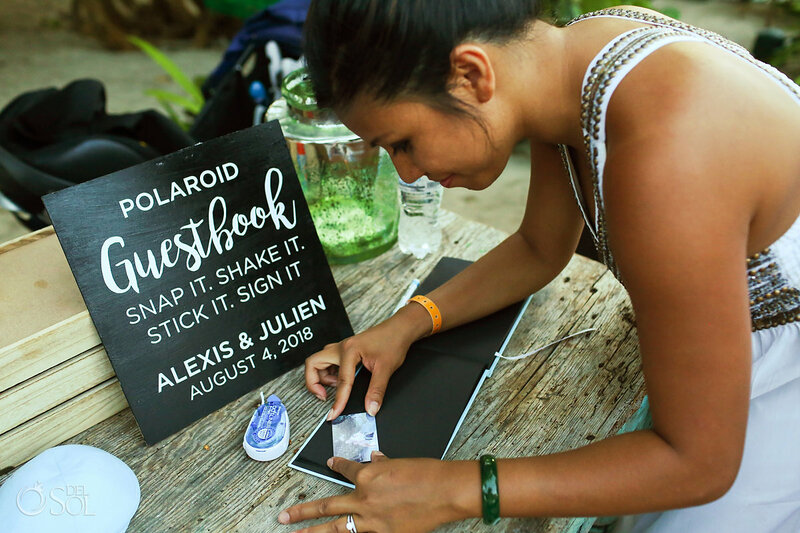 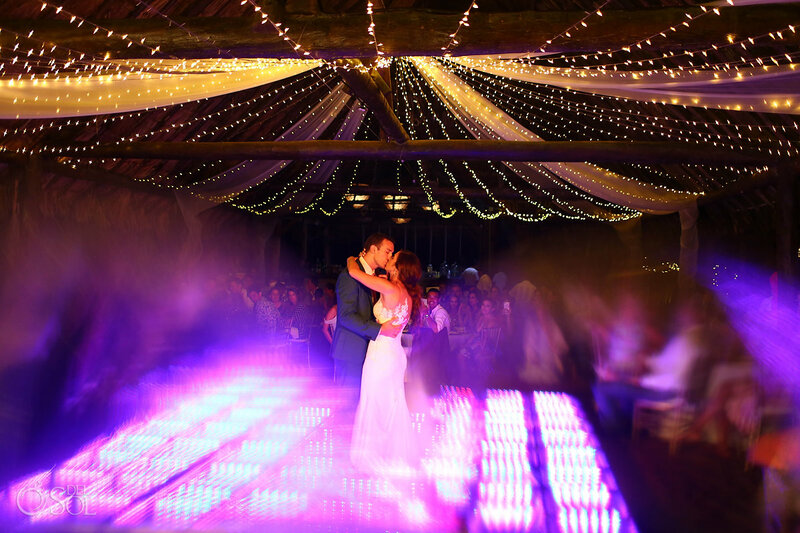 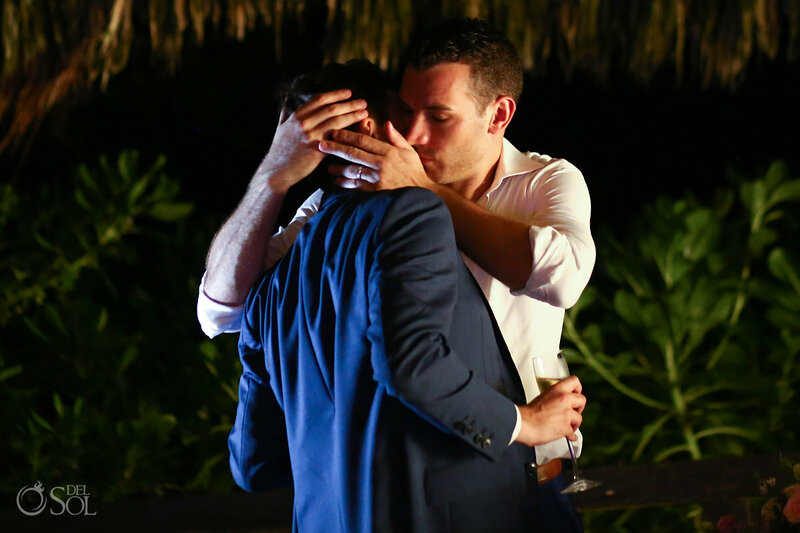 Julien and Alexis were kind enough to share some of their reflections on the day. 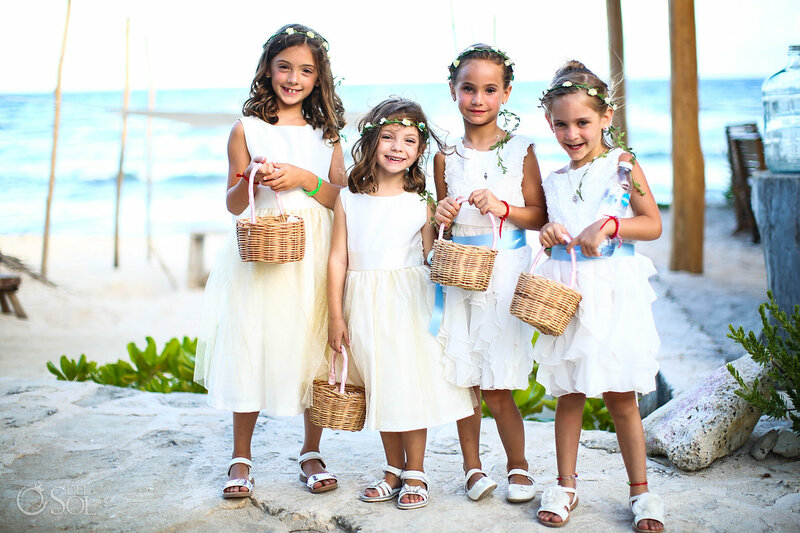 Del Sol: You had a LOT of adorable children be a part of your wedding day! 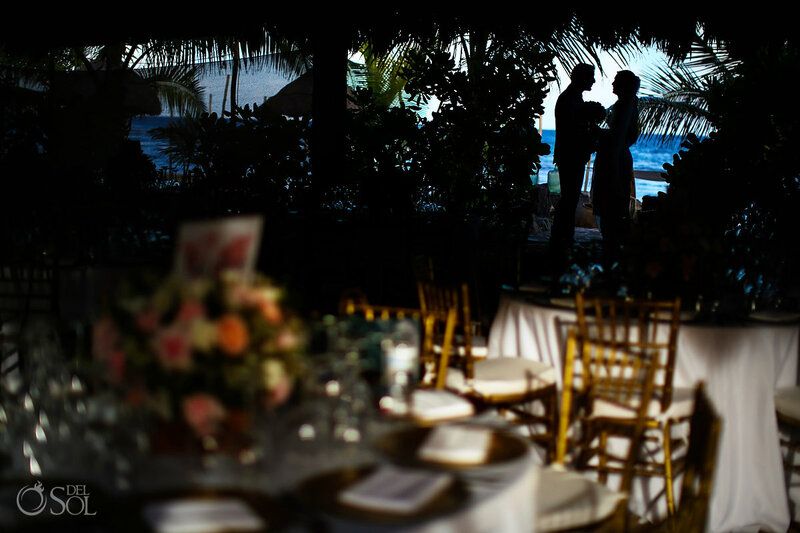 Del Sol: What are the moments of the day that really stood out for you? 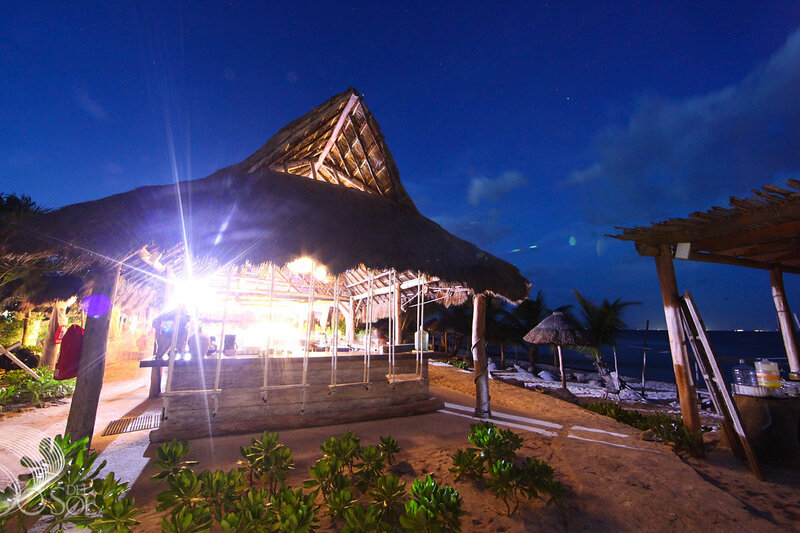 Del Sol: How was your experience with the Del Sol Team? 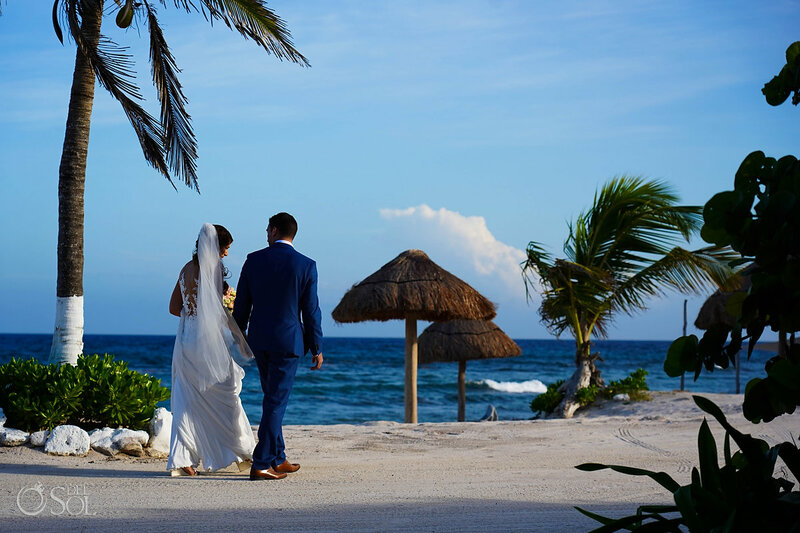 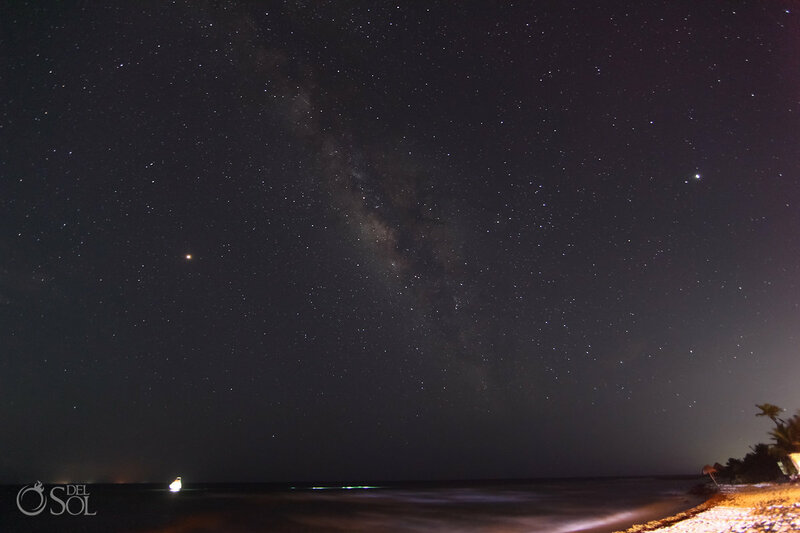 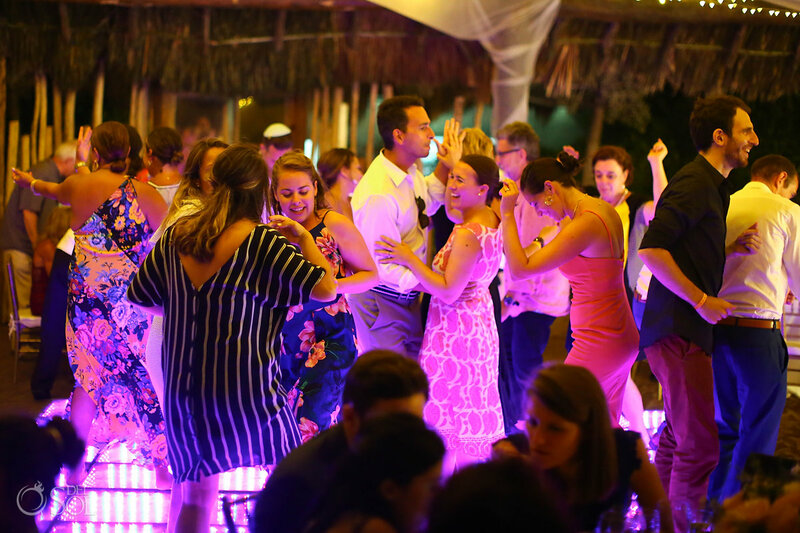 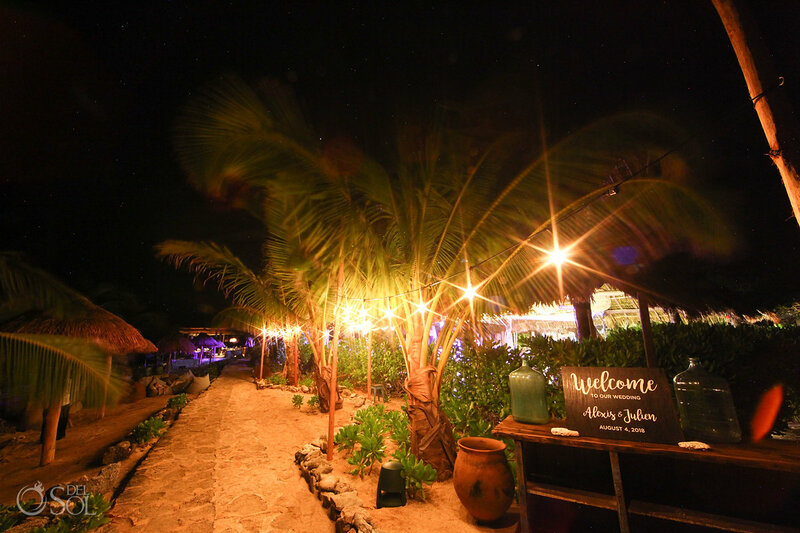 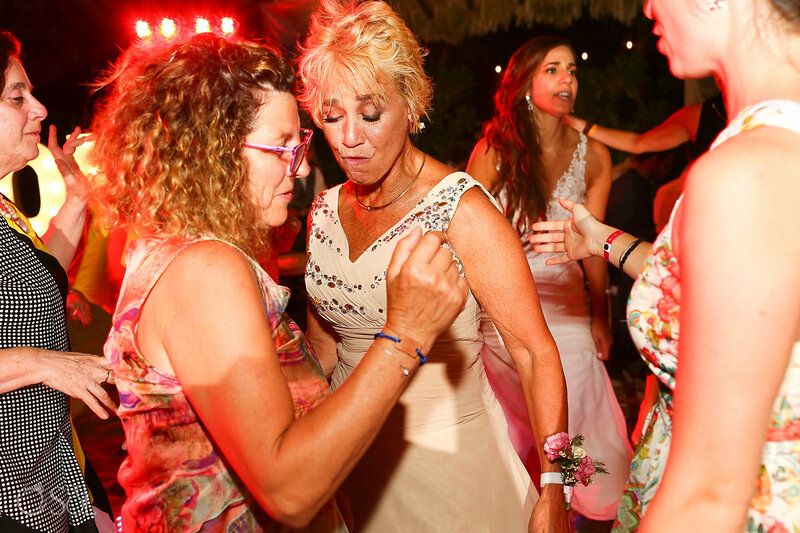 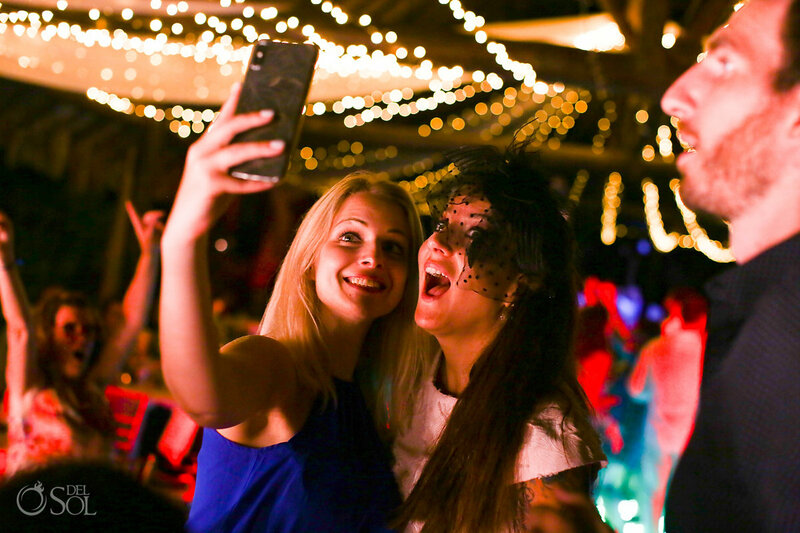 Del Sol: Why did you choose Blue Venado beach Club? 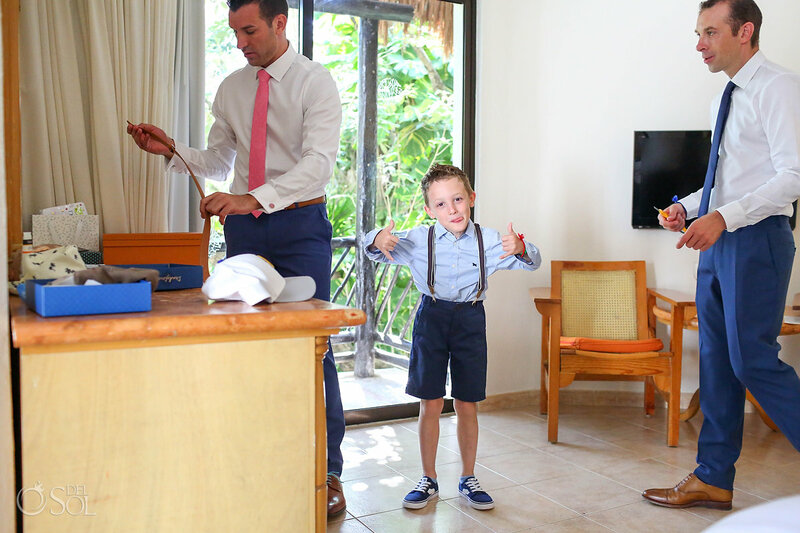 Del Sol: How did you feel about safety in Mexico, considering the travel advisories? 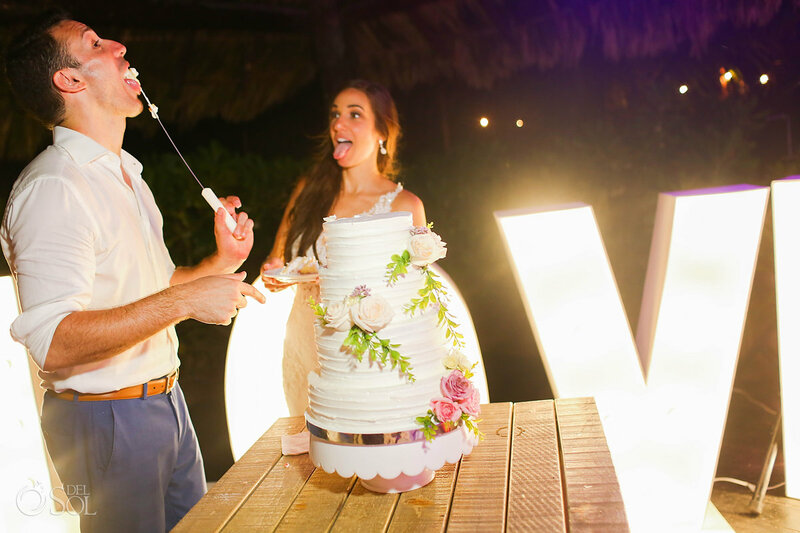 We don’t know the vendor’s name but the last night churro cart was a huge hit! 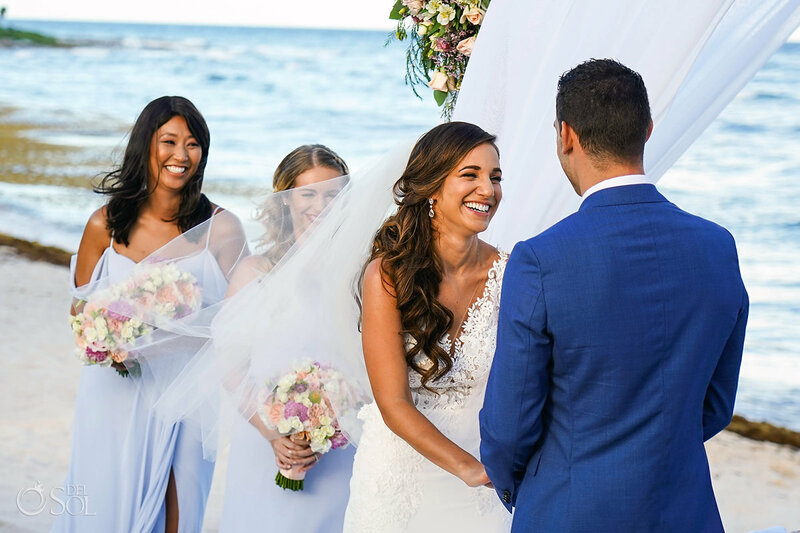 People are still talking about it. 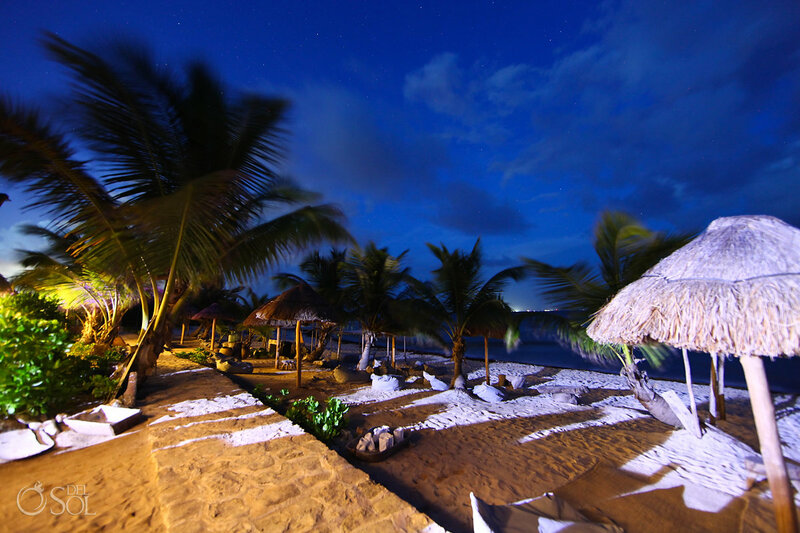 Remember, if you don't know that is ok. We can help you by providing tons of photos of most resorts. 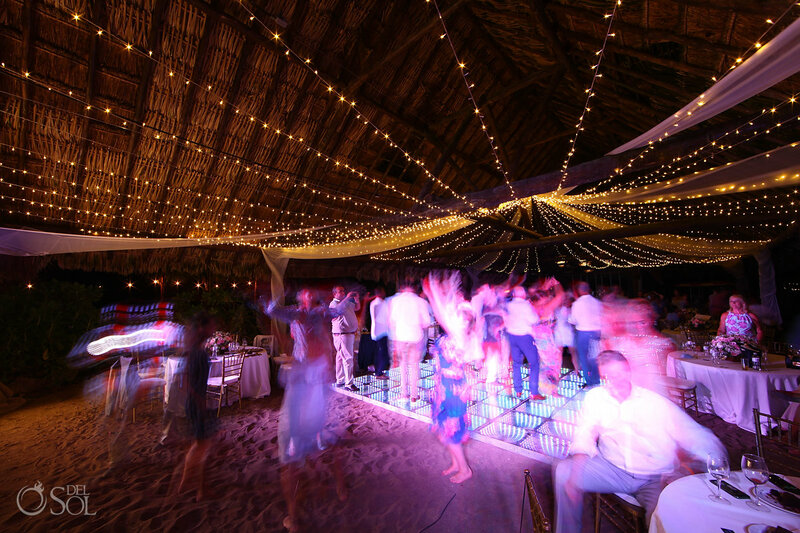 Also we have partnerships with many properties who do not charge fees for us to enter the properties.